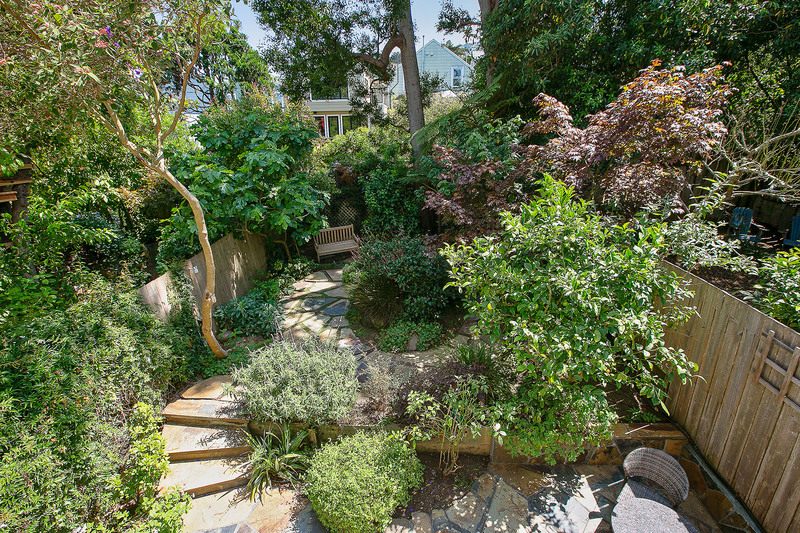 Beautiful & Majestic Noe Edwardian 863 Elizabeth Street Listed: $3,199,000 / SOLD $3,500,000!! 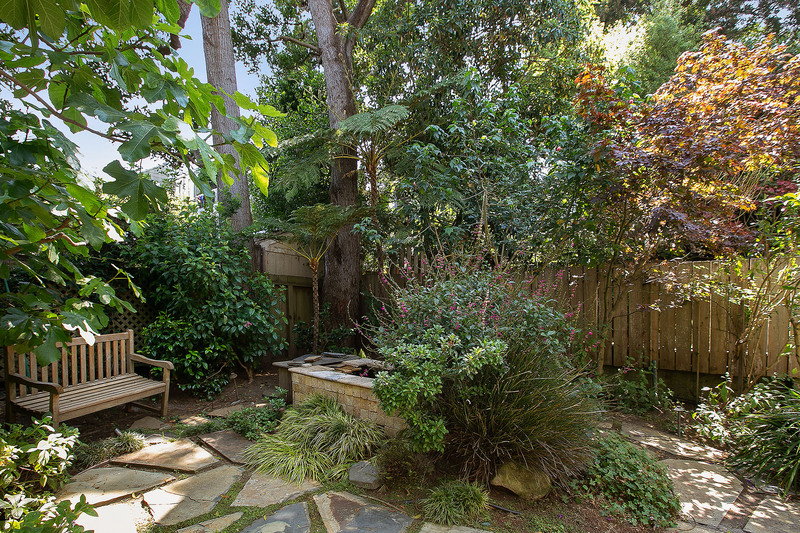 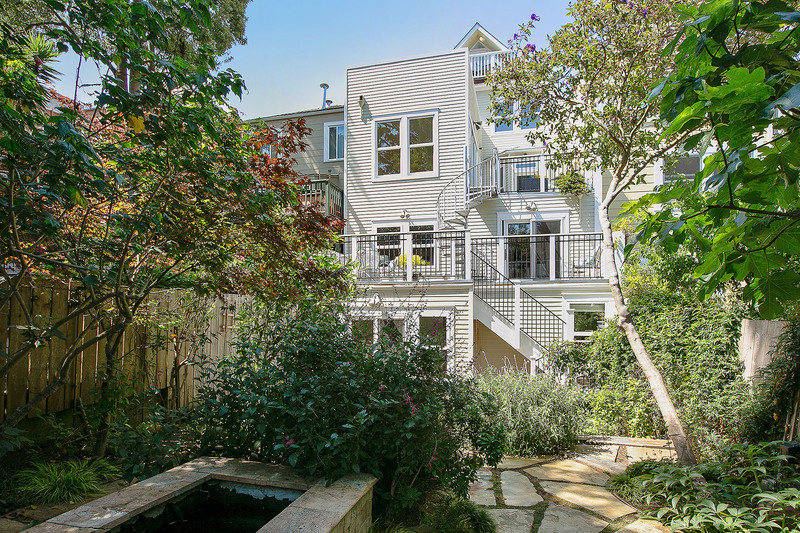 863 Elizabeth Street | Sold for $3,500,000! 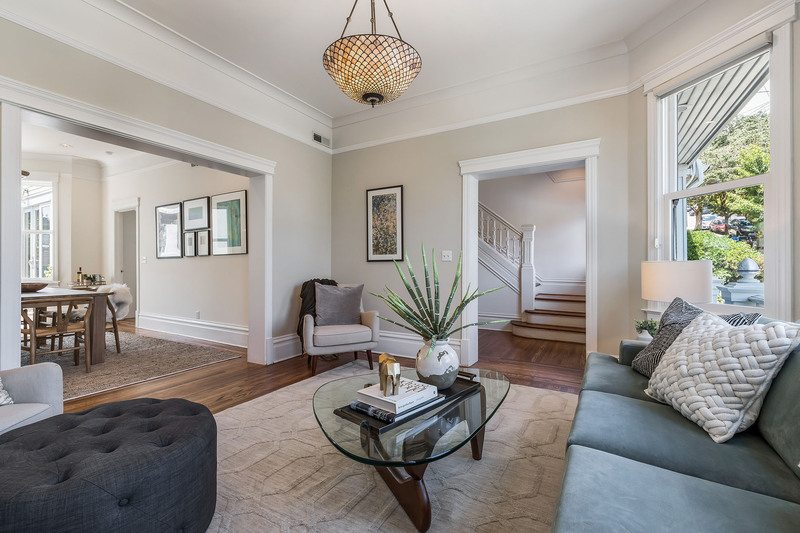 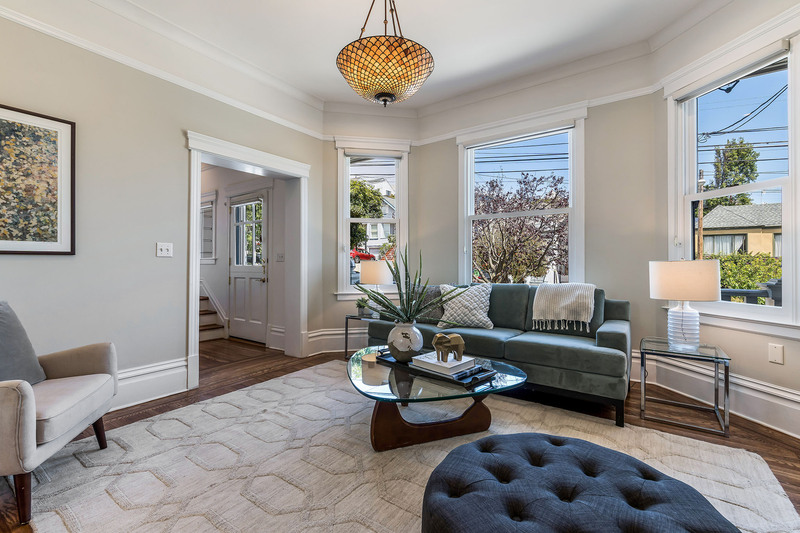 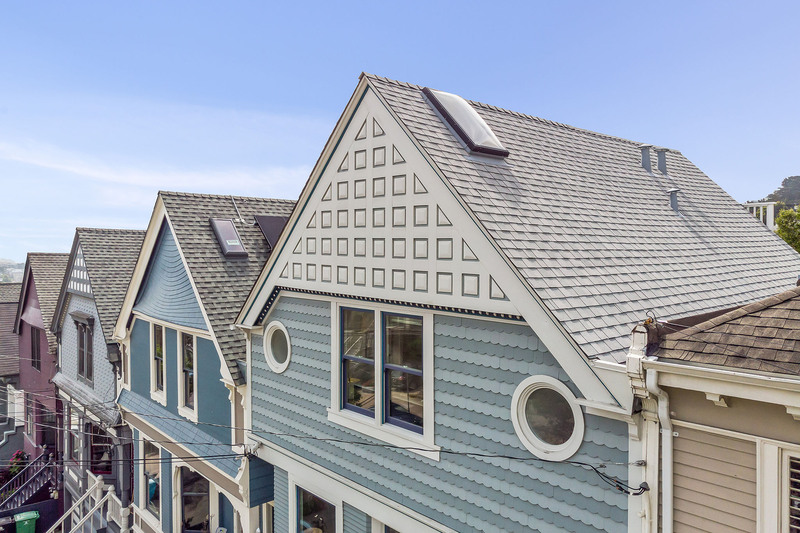 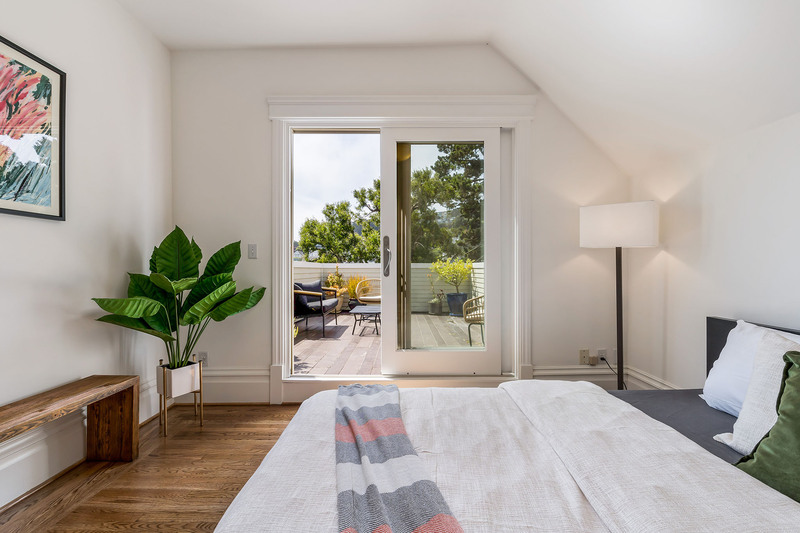 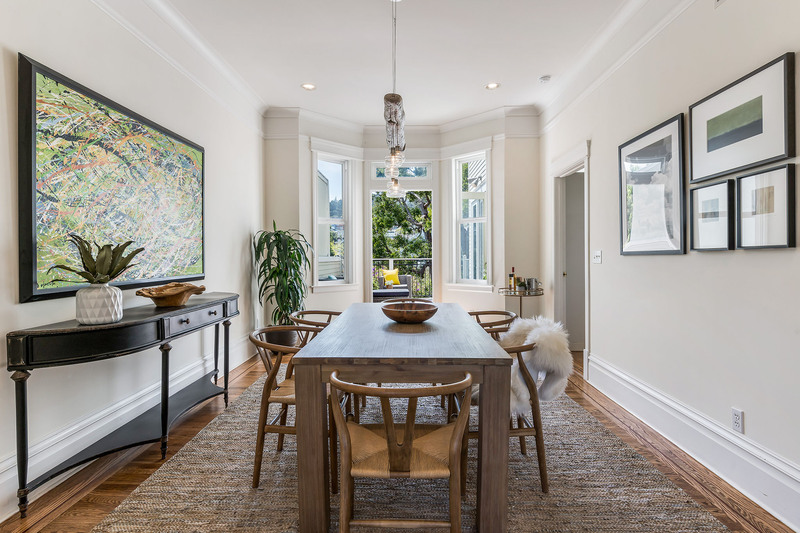 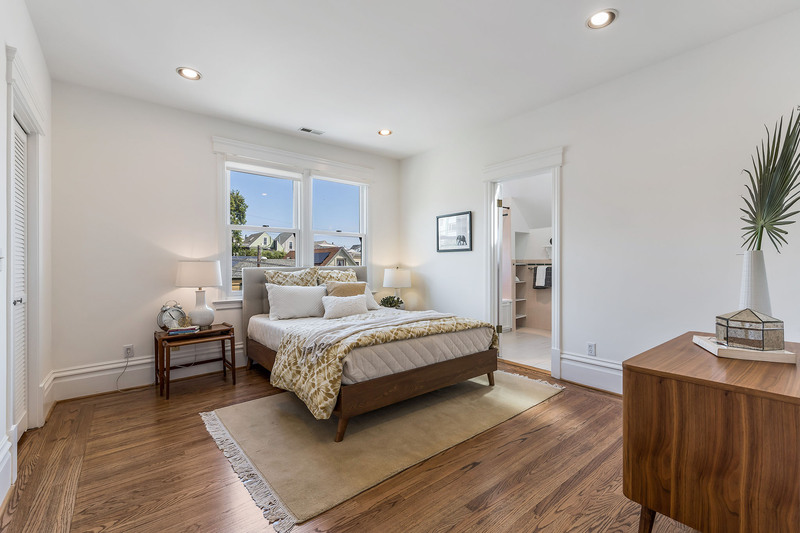 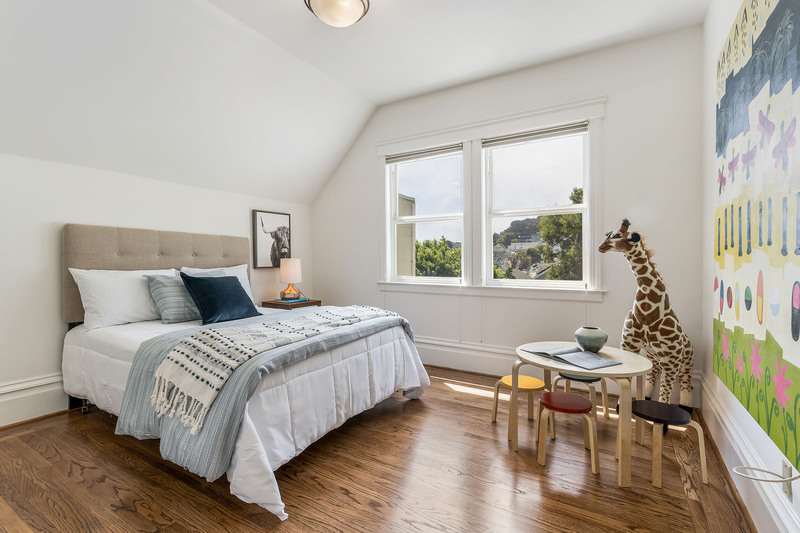 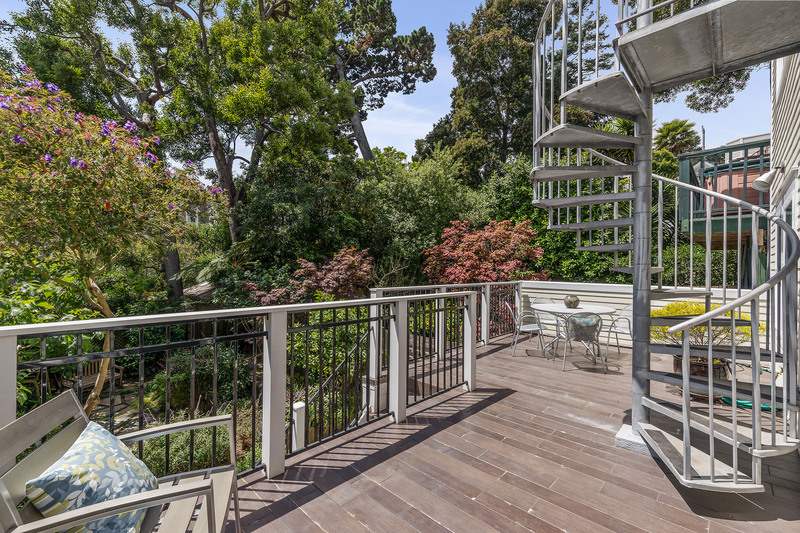 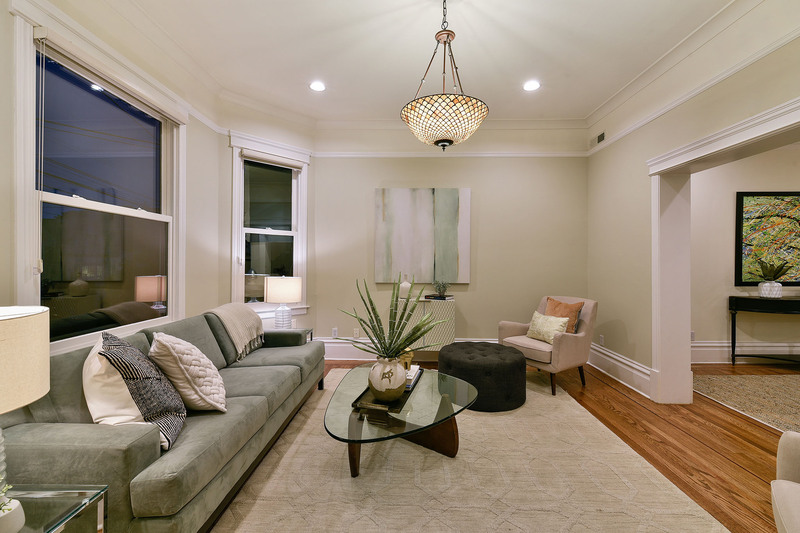 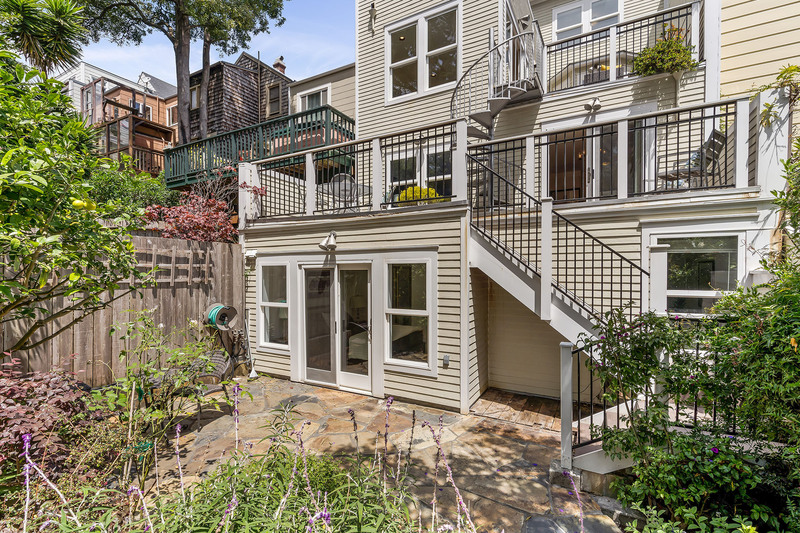 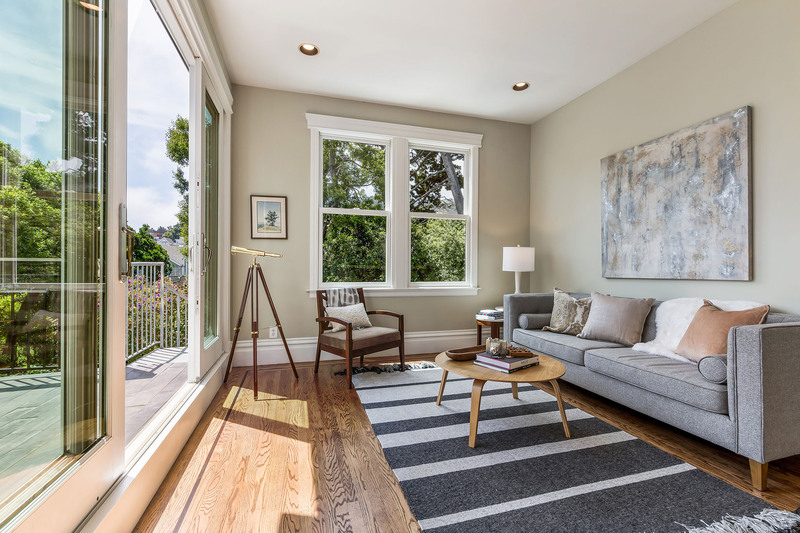 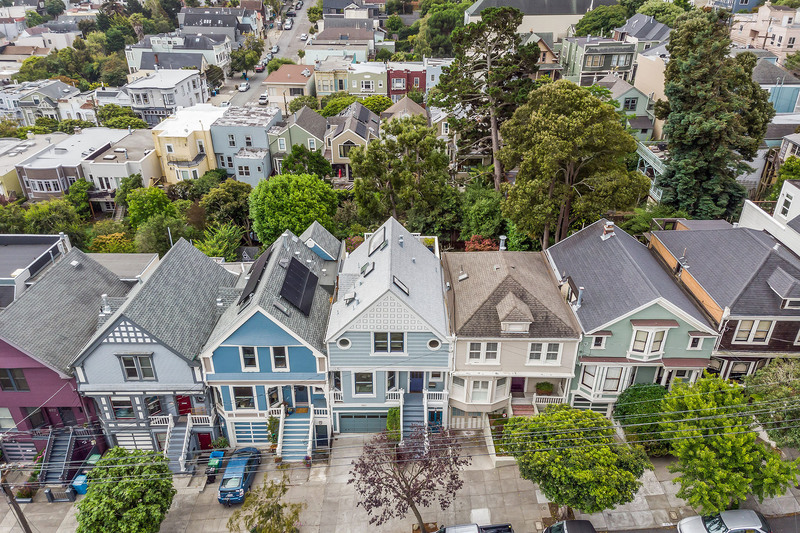 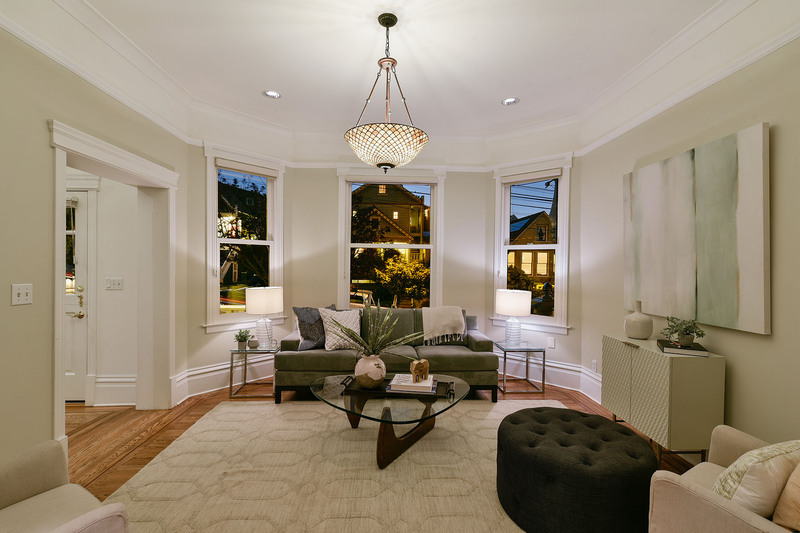 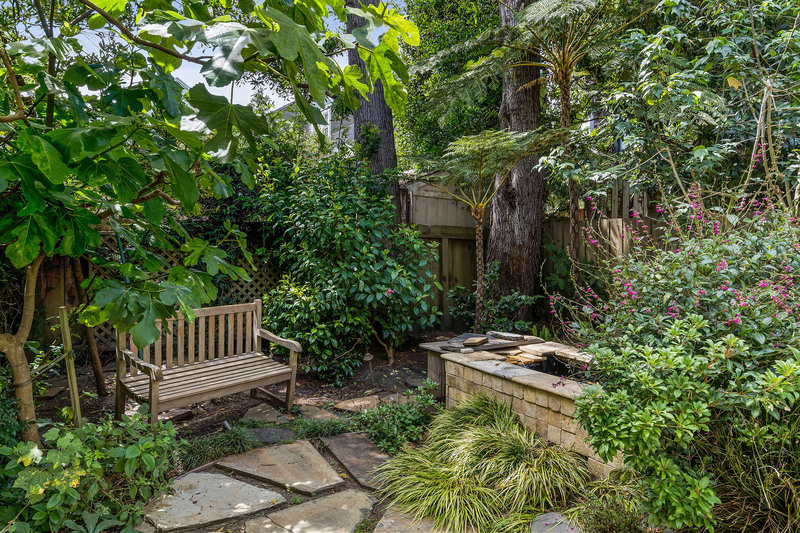 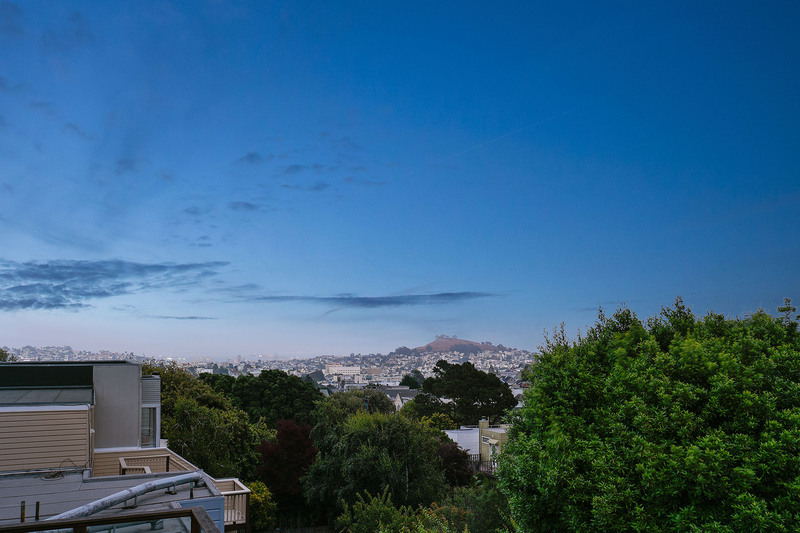 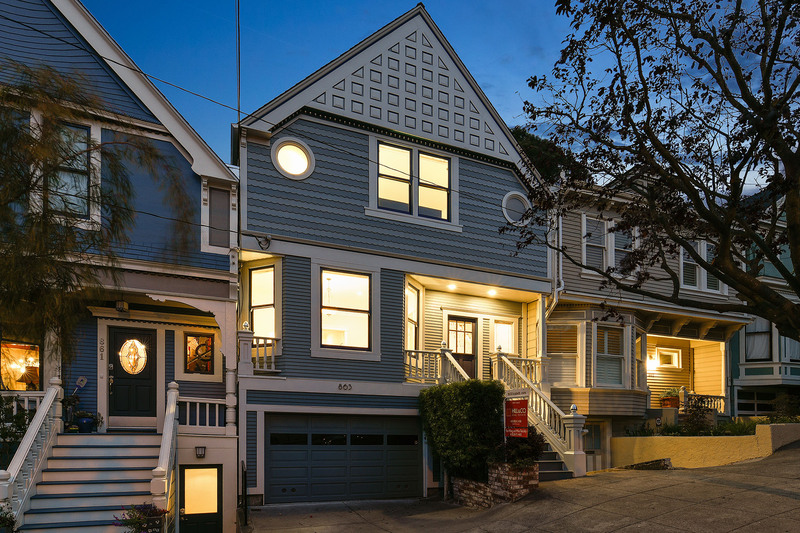 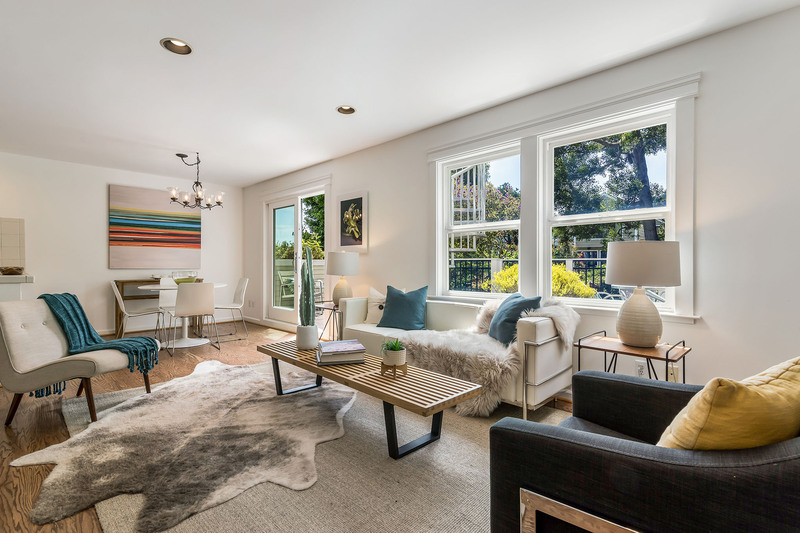 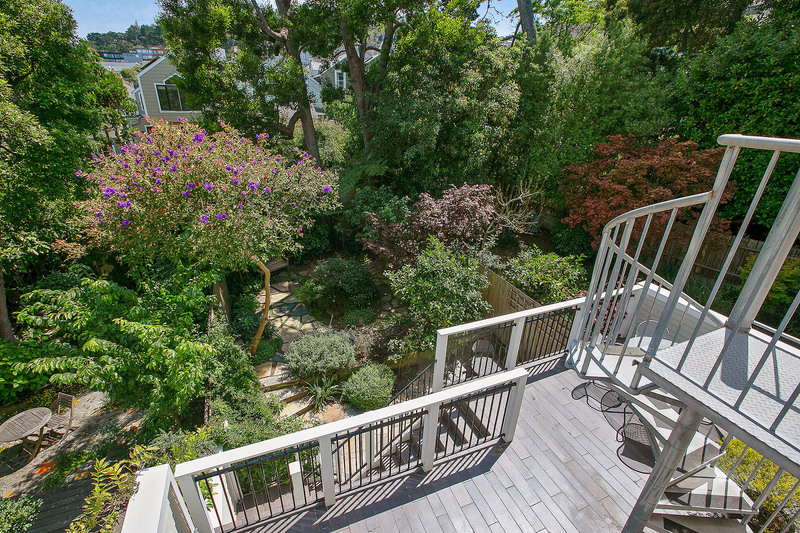 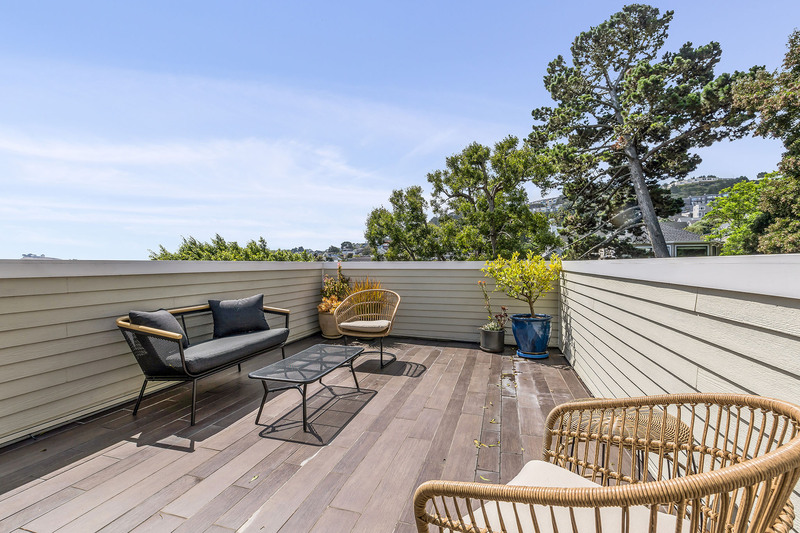 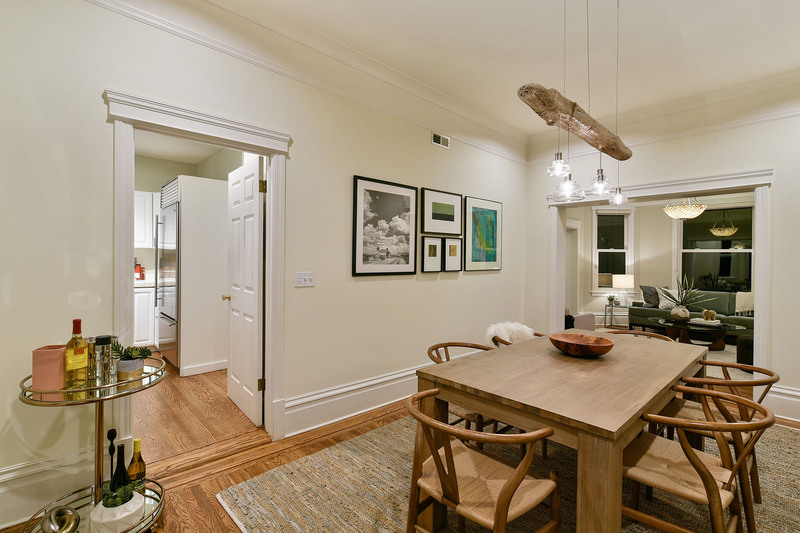 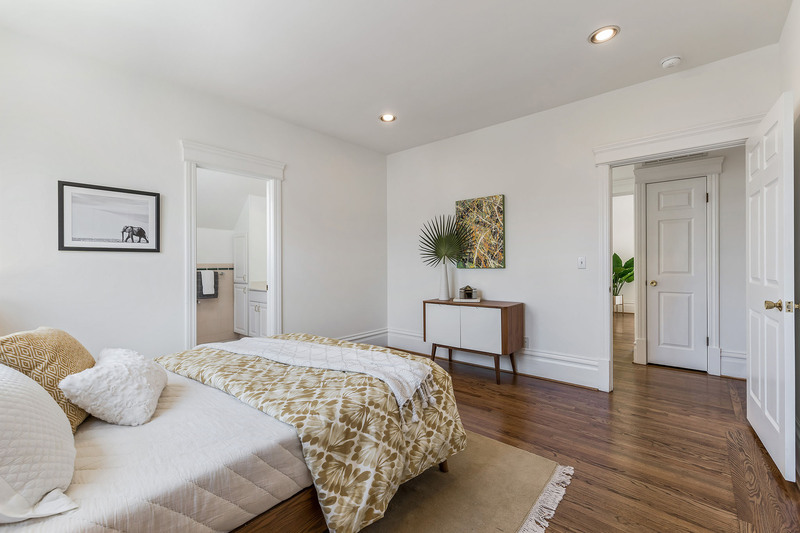 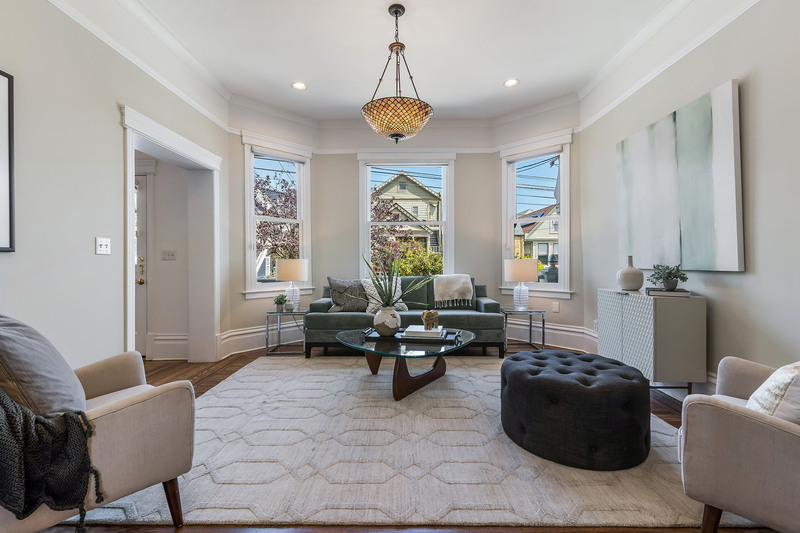 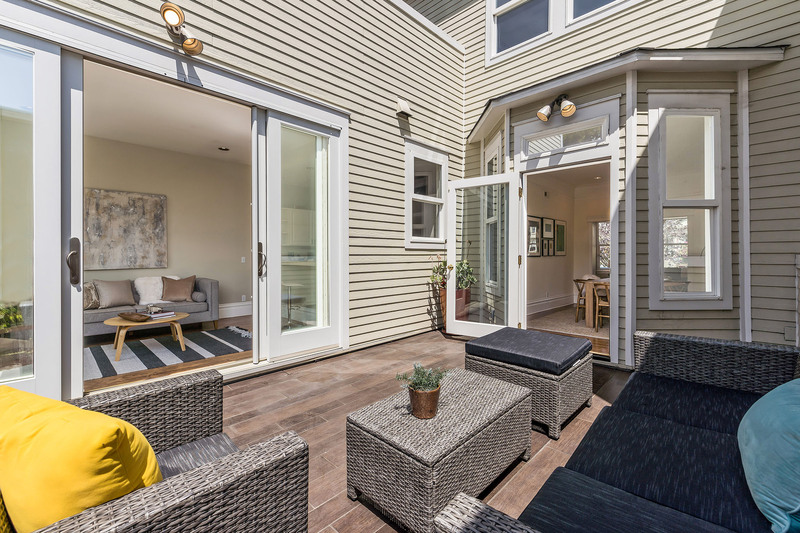 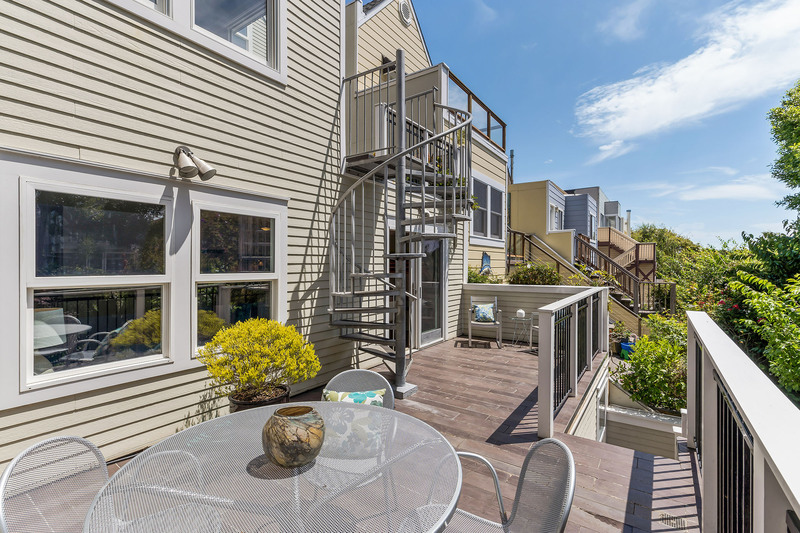 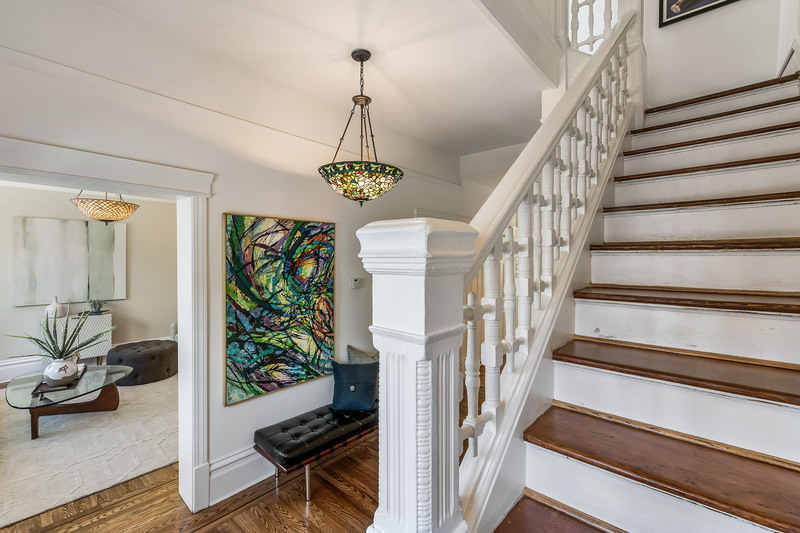 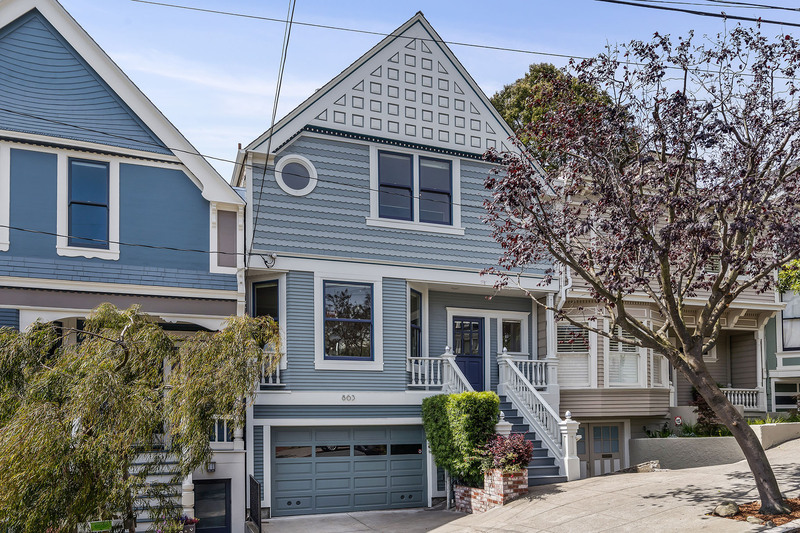 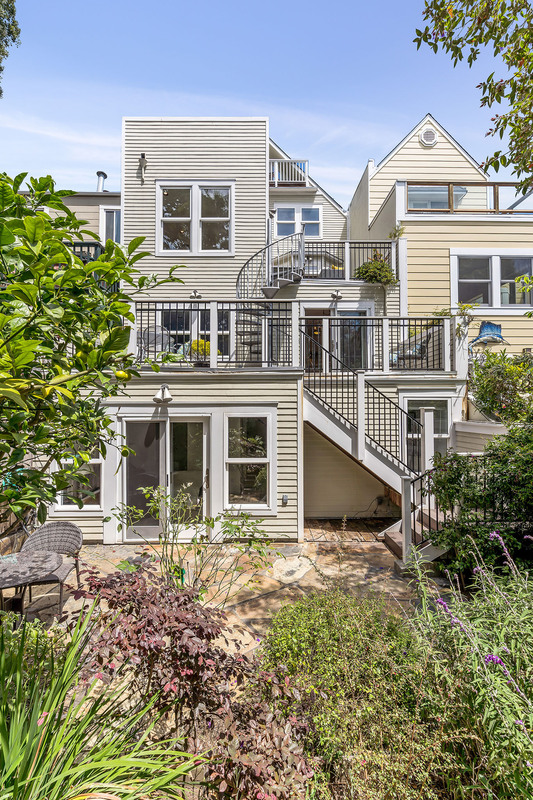 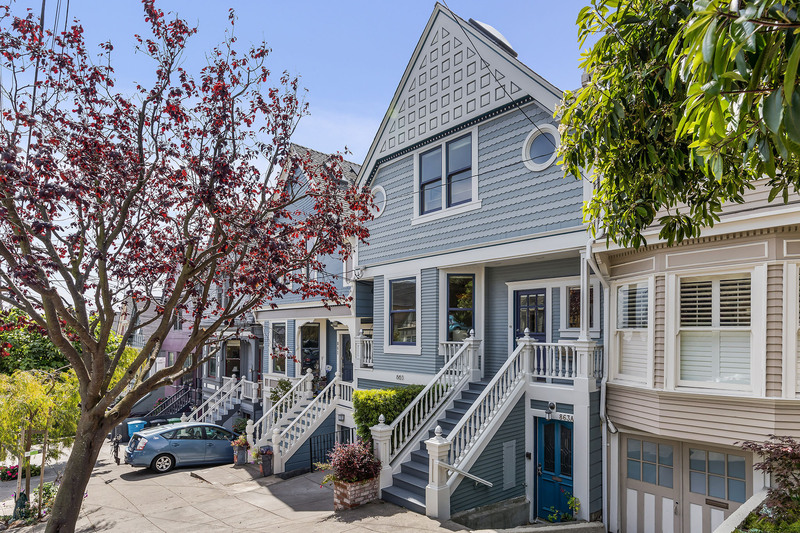 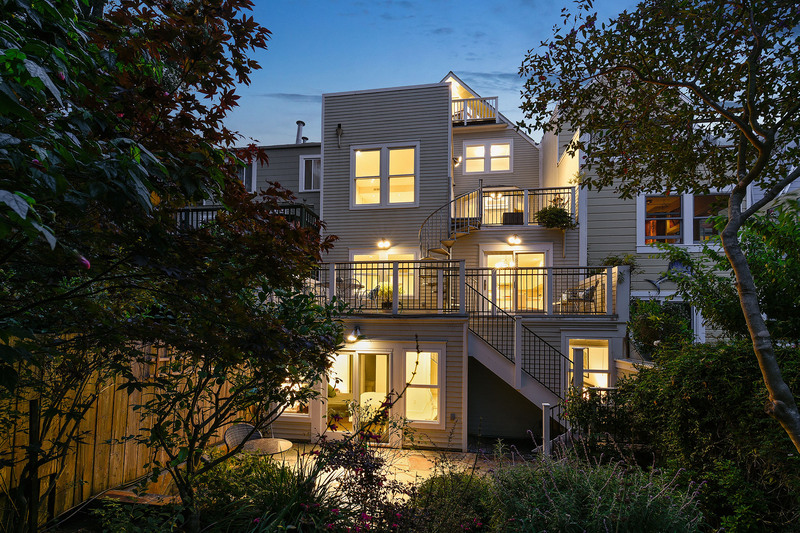 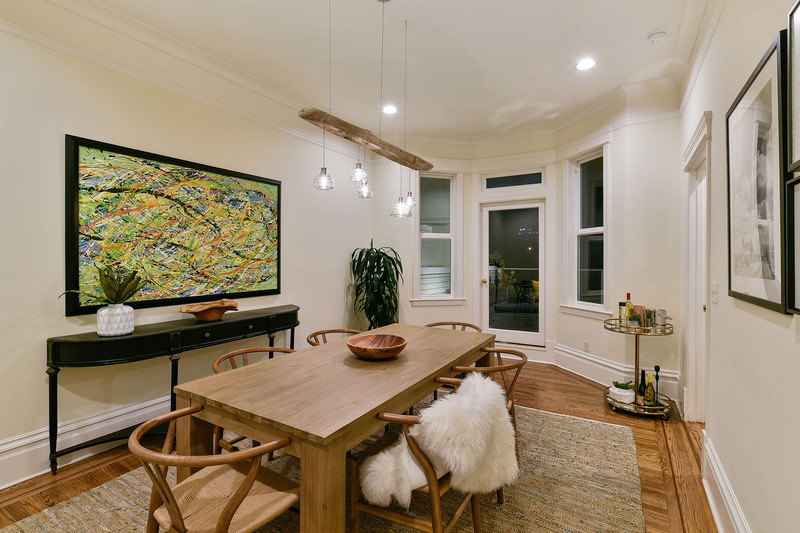 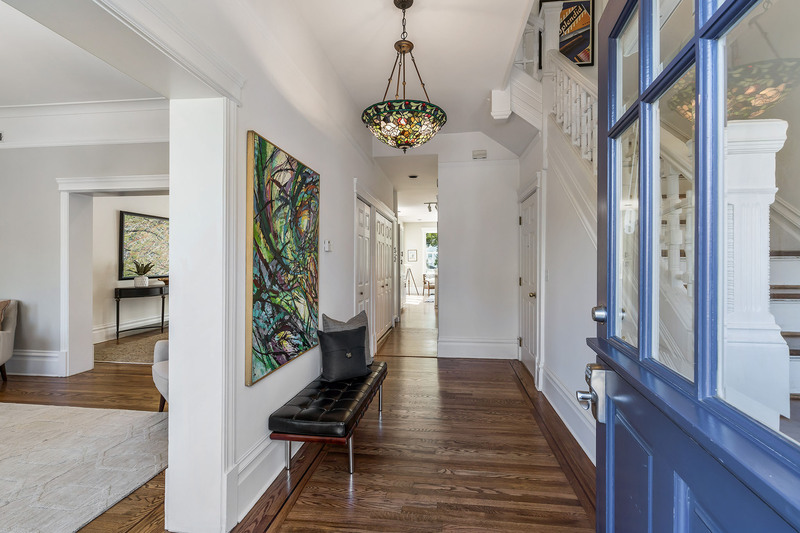 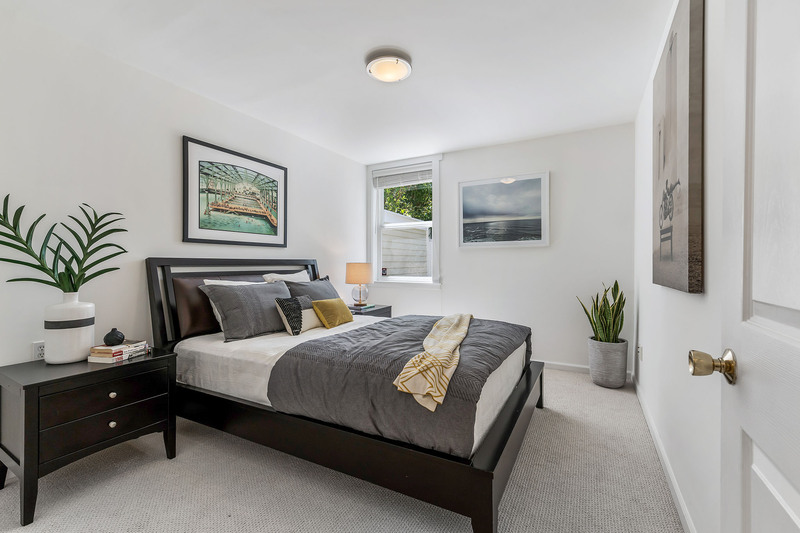 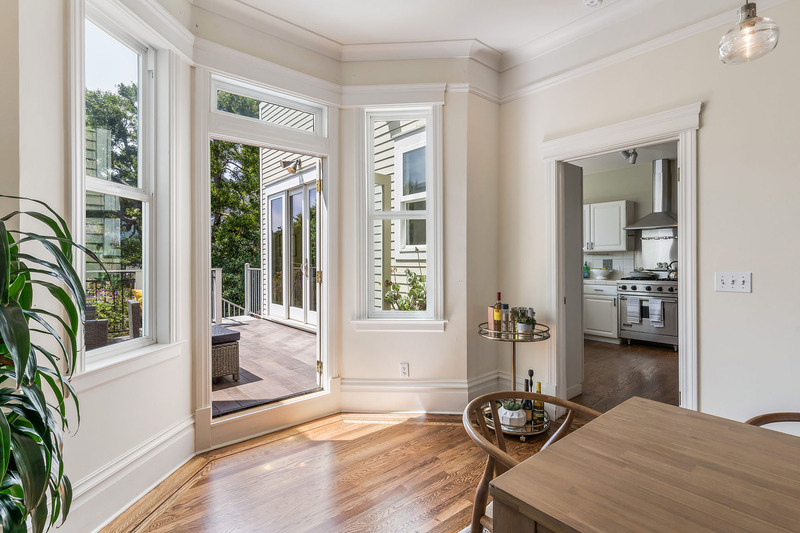 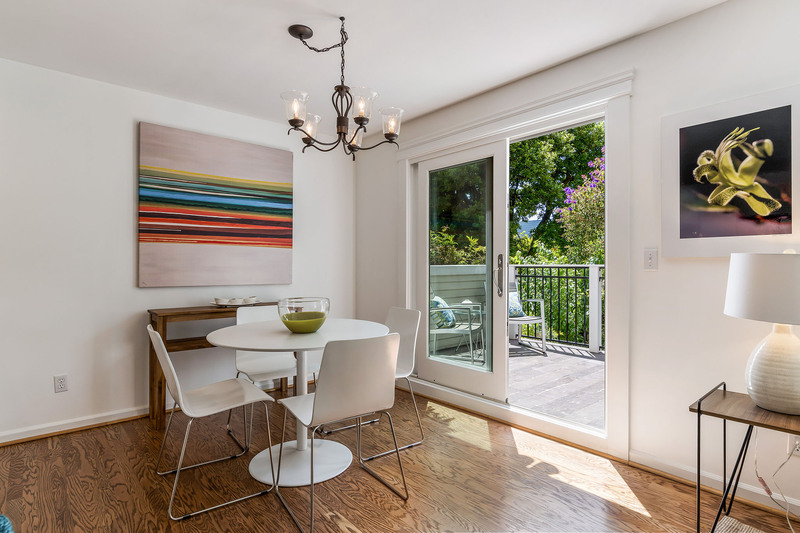 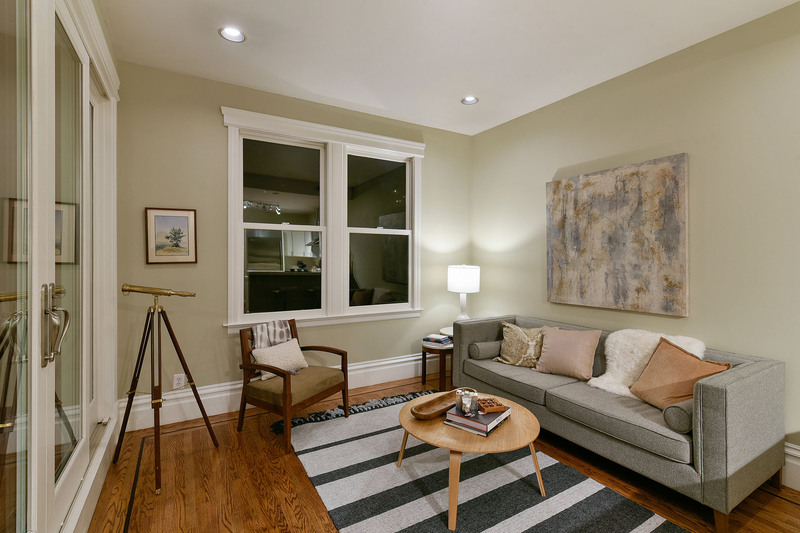 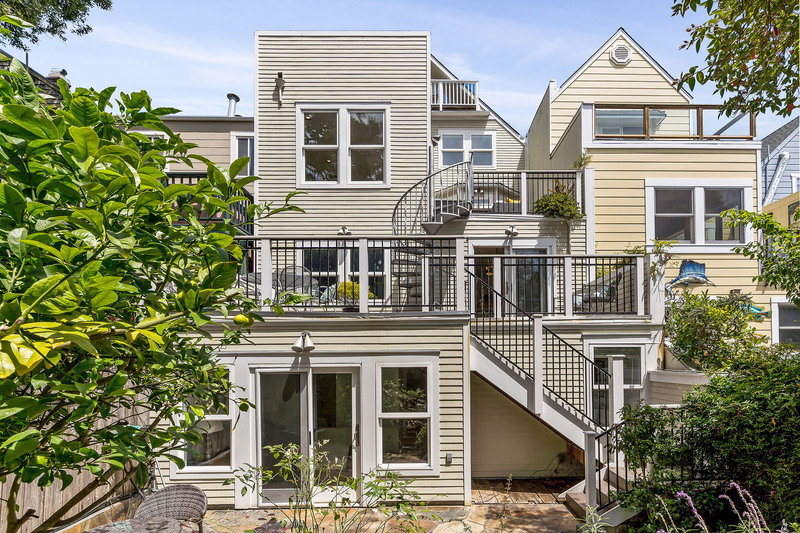 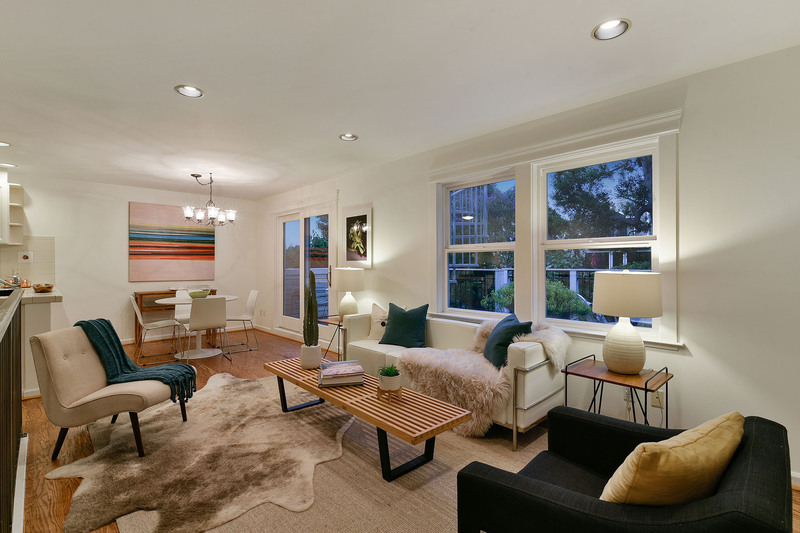 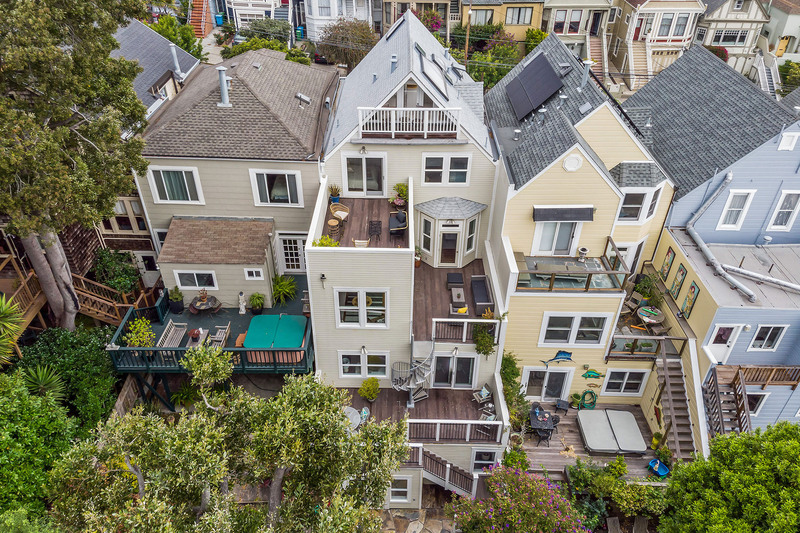 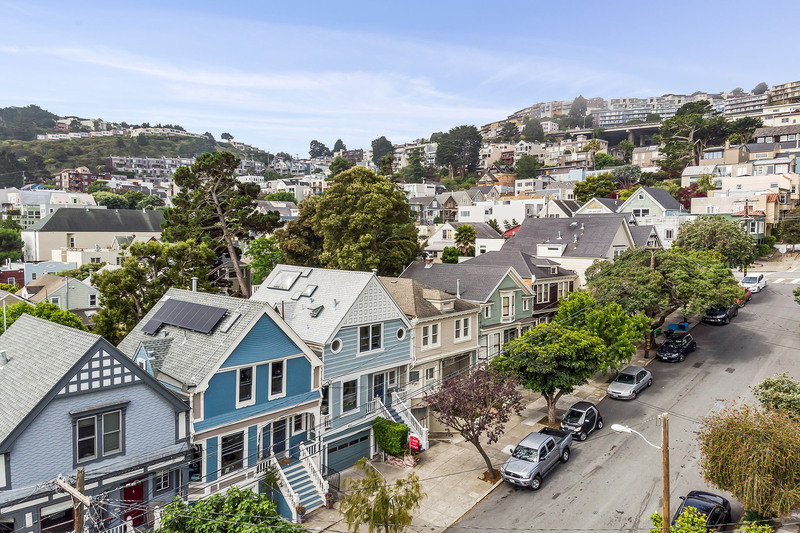 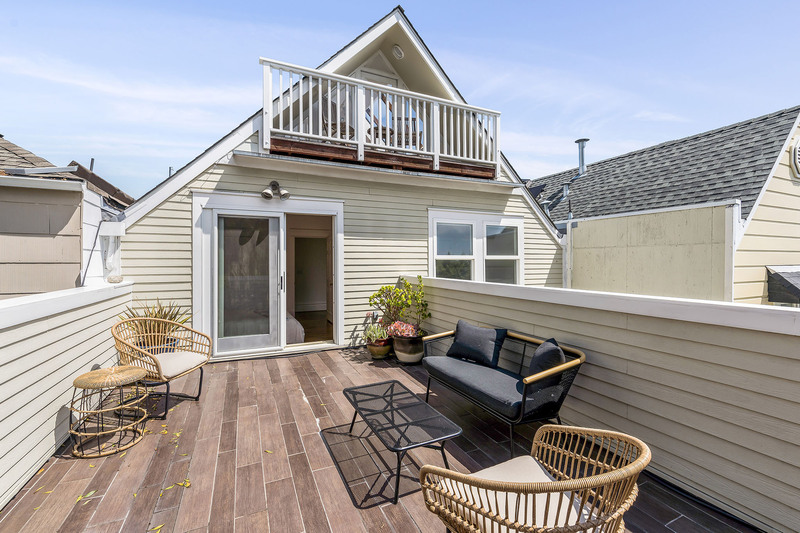 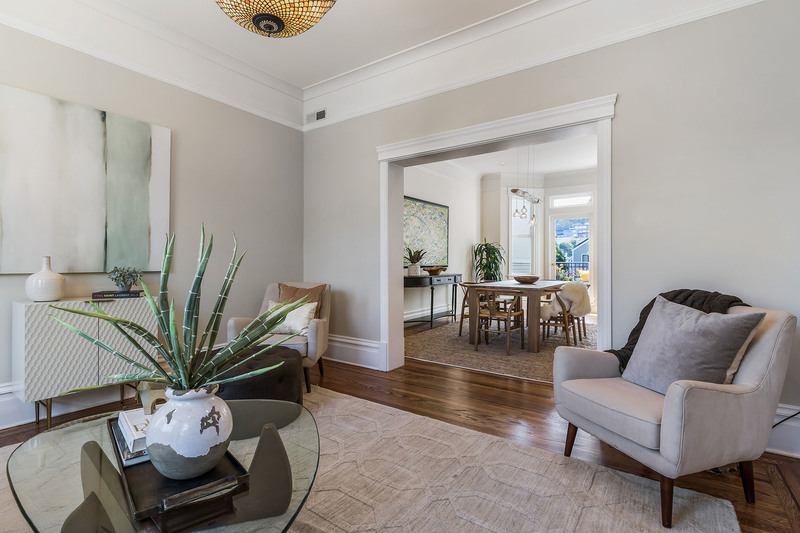 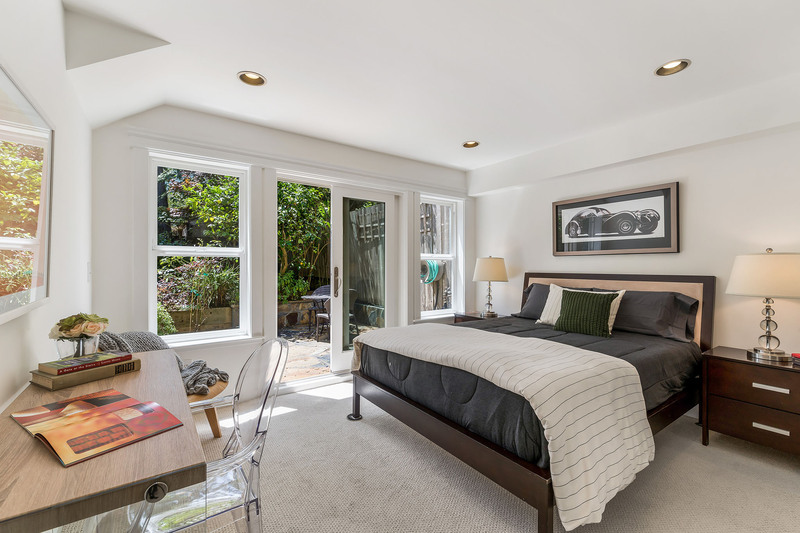 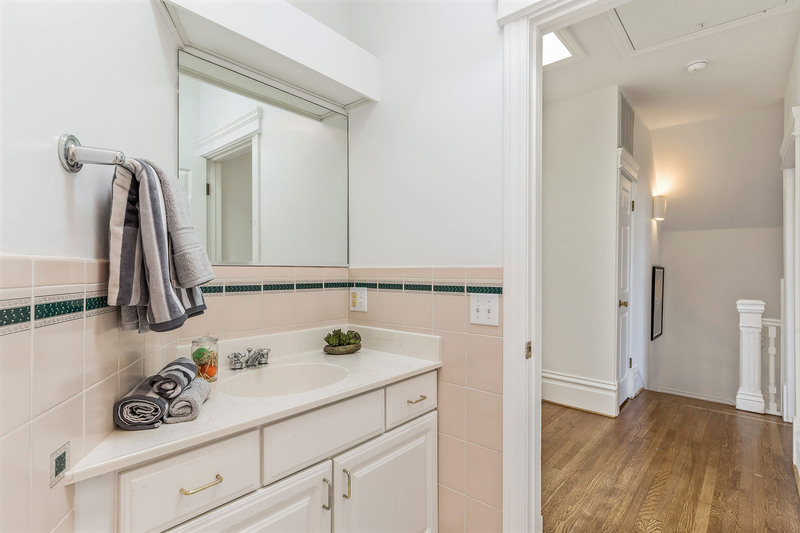 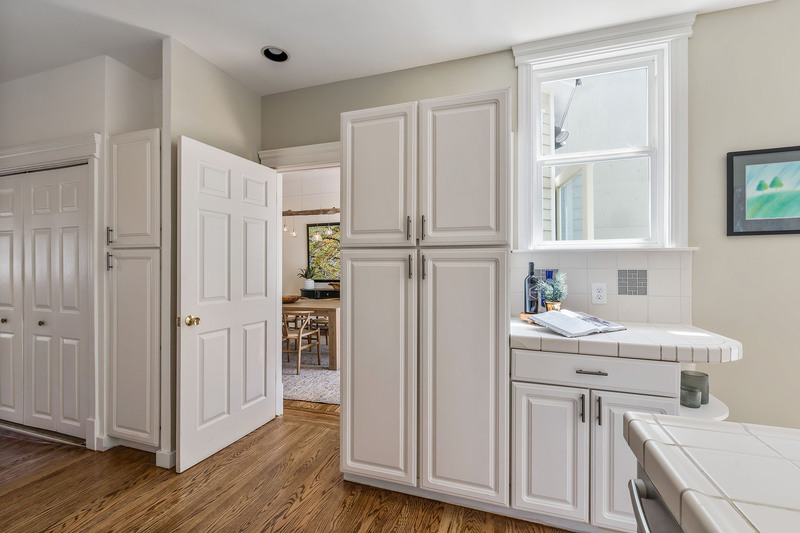 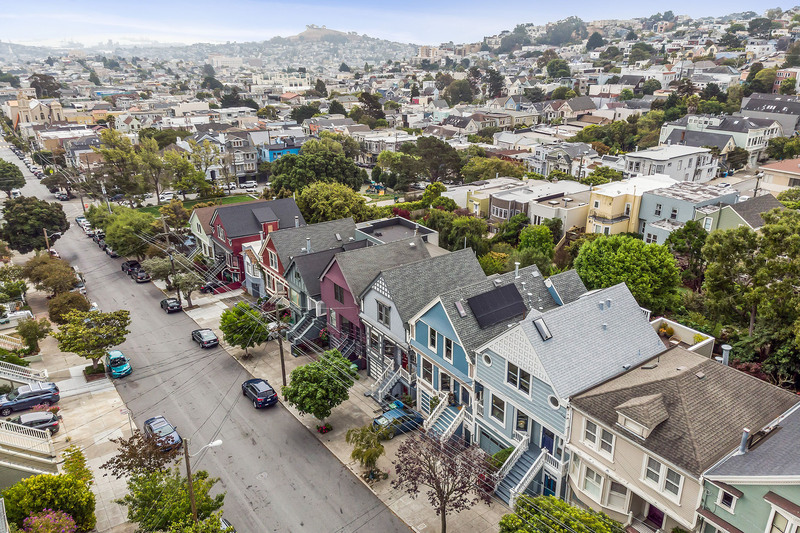 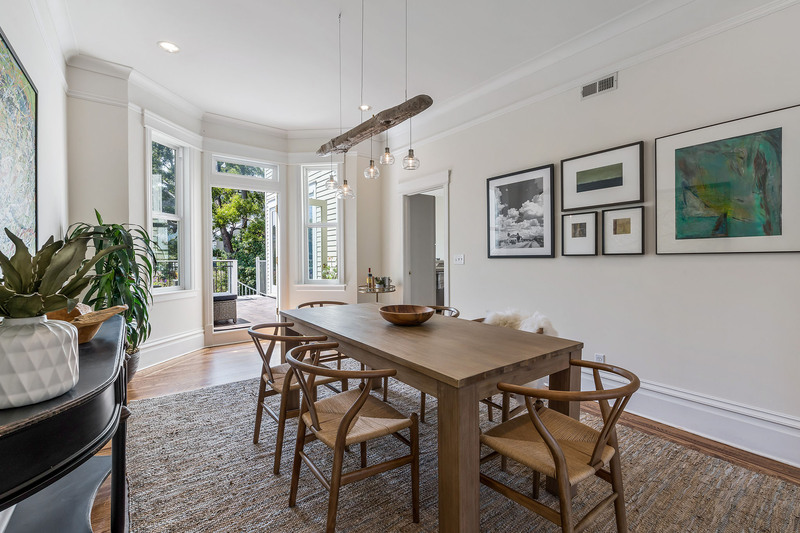 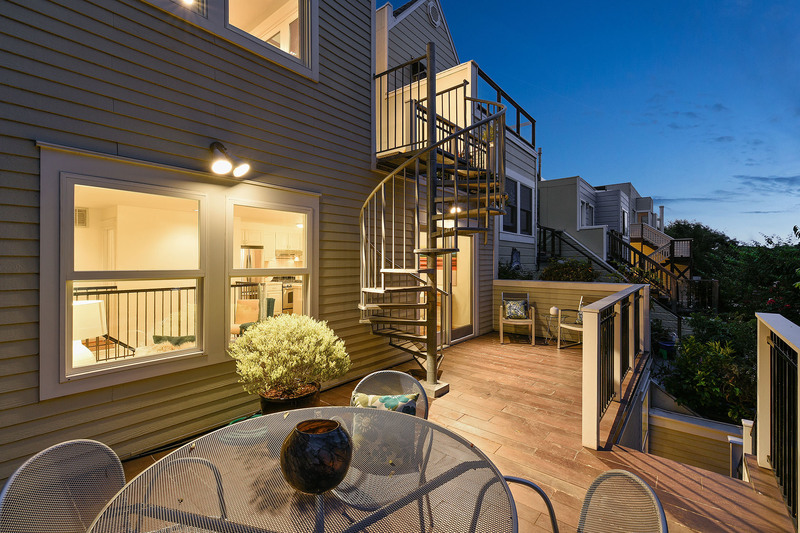 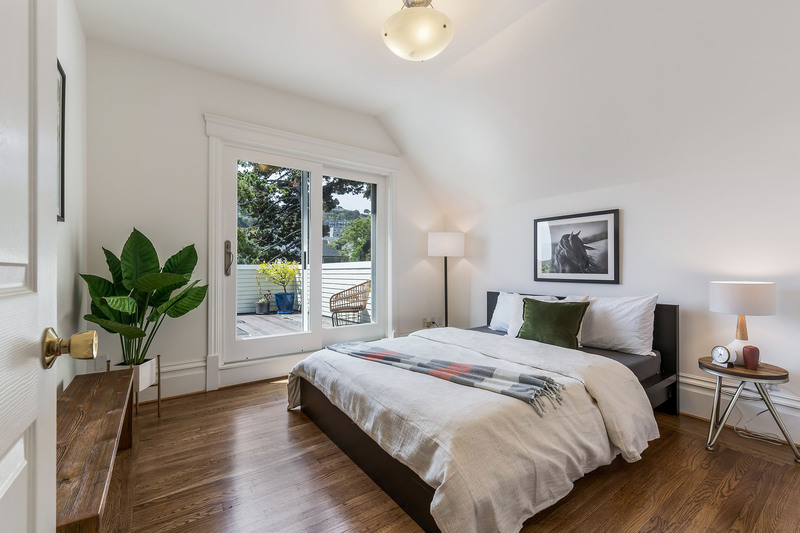 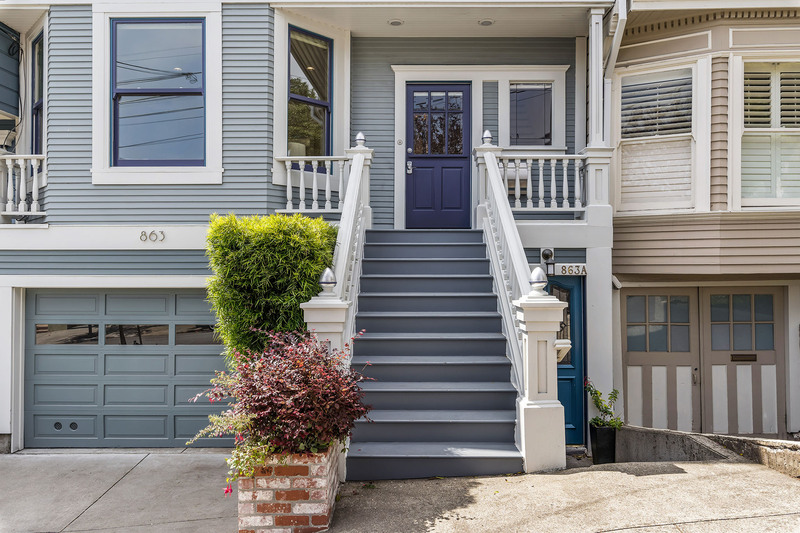 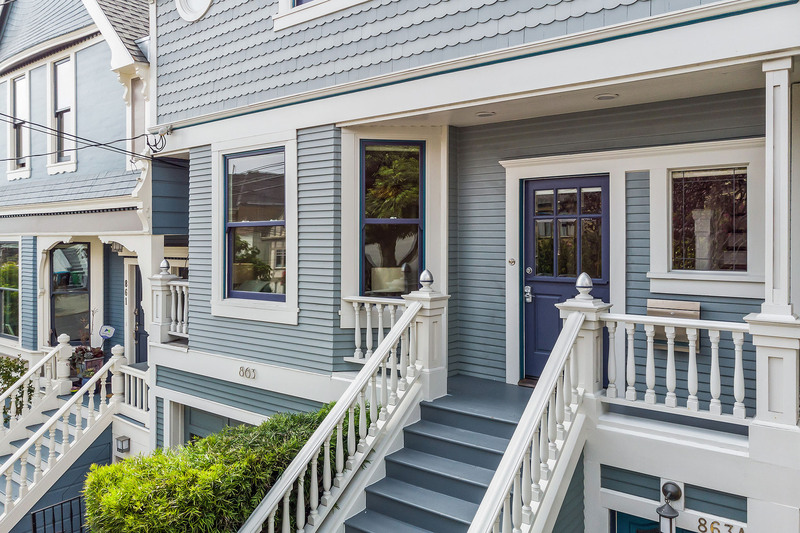 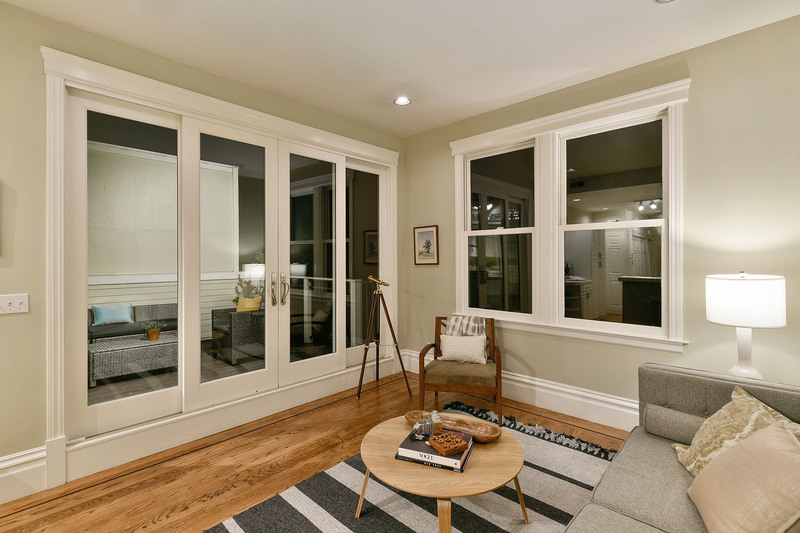 Welcome to this splendid Noe Valley home, a delightfully detailed Edwardian situated in the heart of the neighborhood voted Most Desirable in San Francisco! 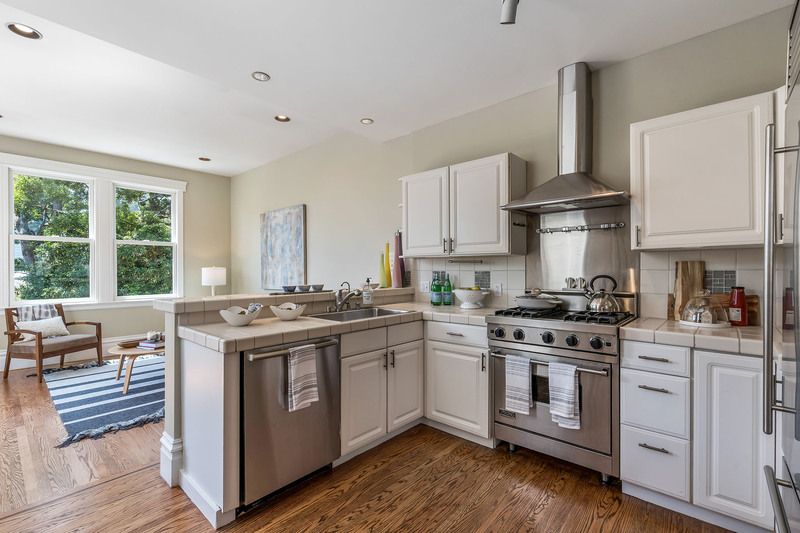 This fabulous and bright 5 bedroom, 5 bathroom home offers lovely character plus convenience. 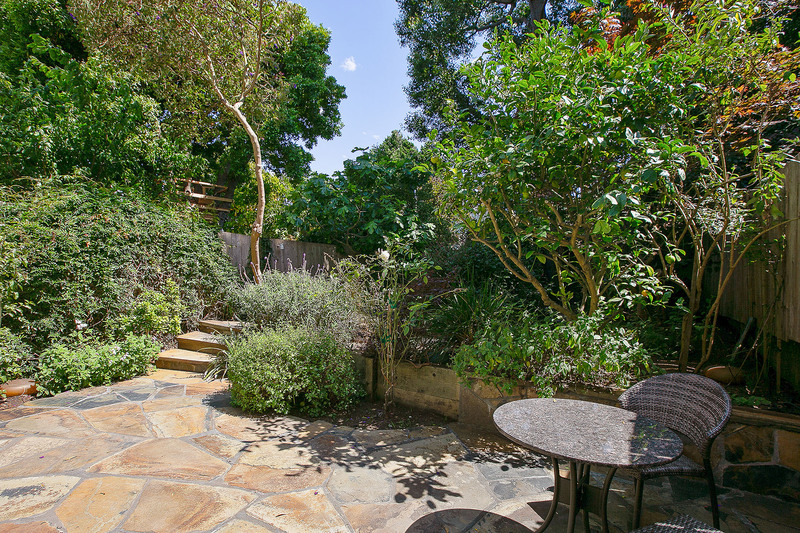 The 4 decks have wonderful verdant vistas to make you feel like you’re in the middle of a spectacular park-like setting. 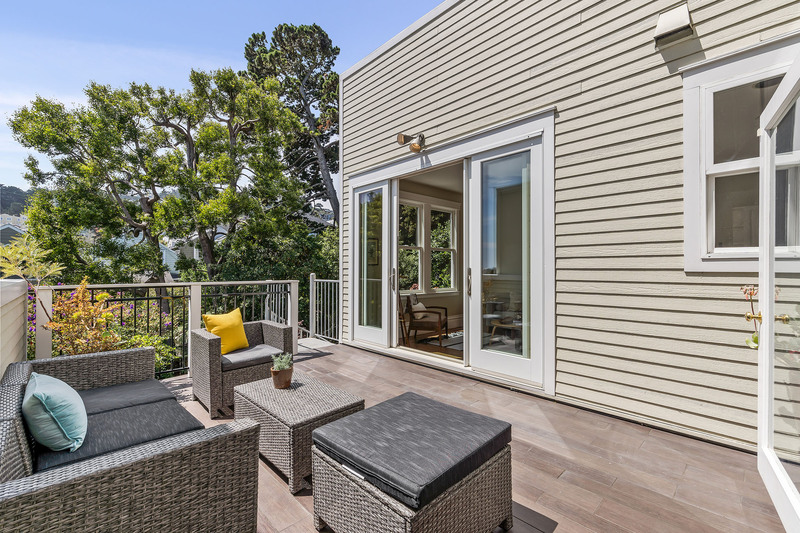 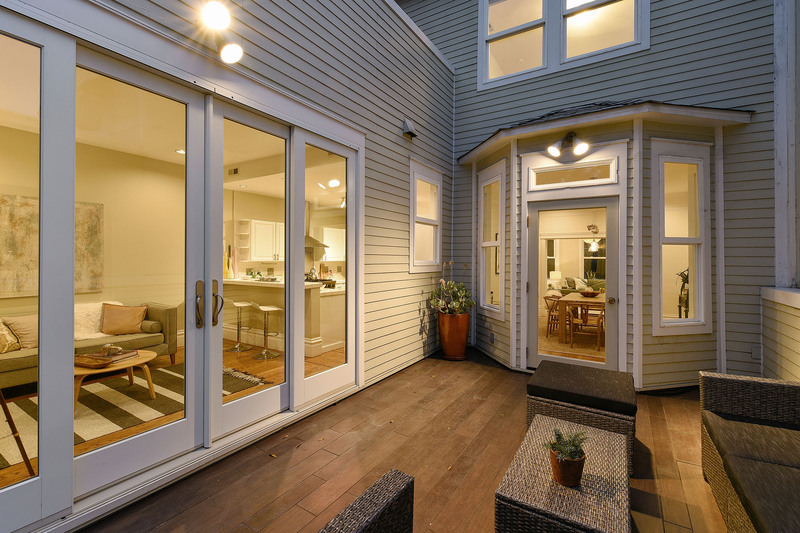 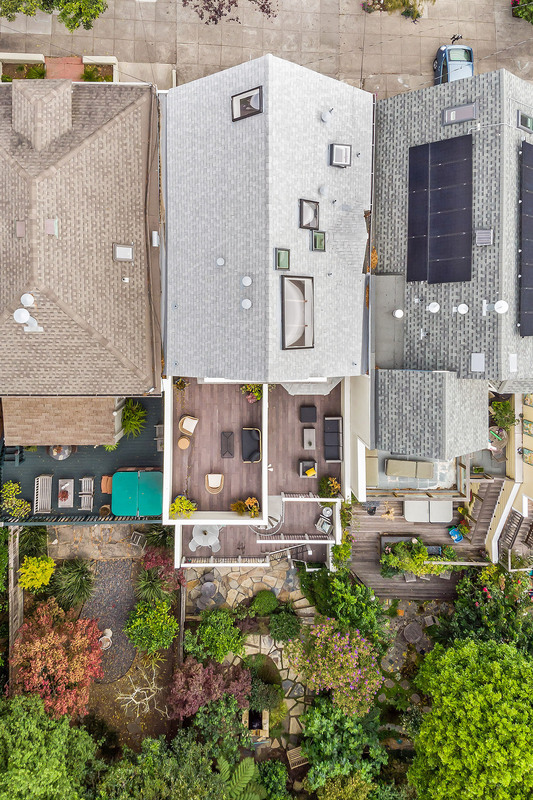 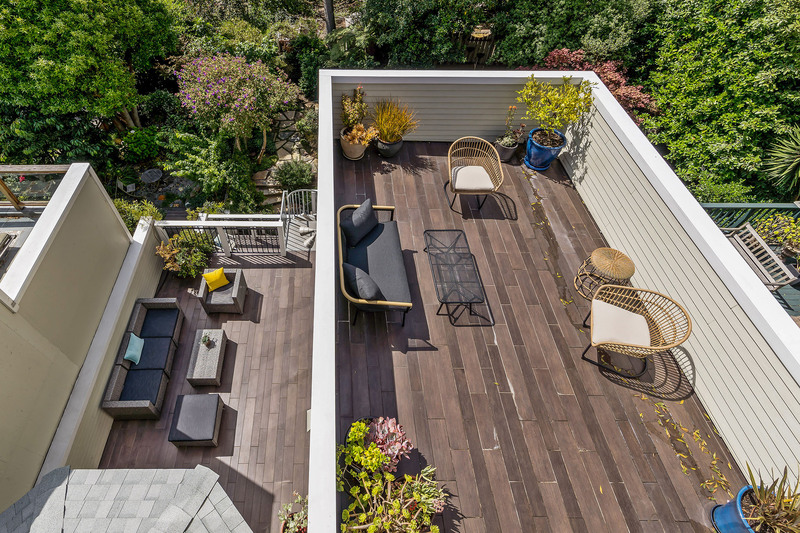 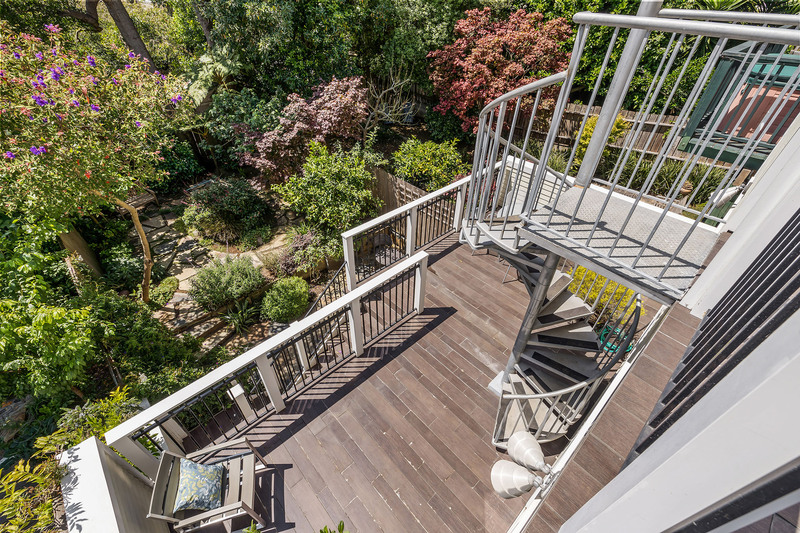 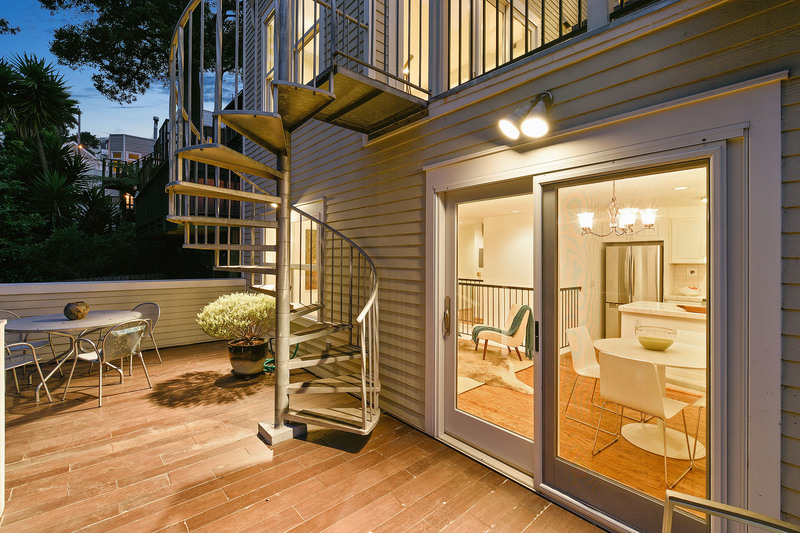 The upper south-facing decks afford southeast views and capture plenty of daylight. 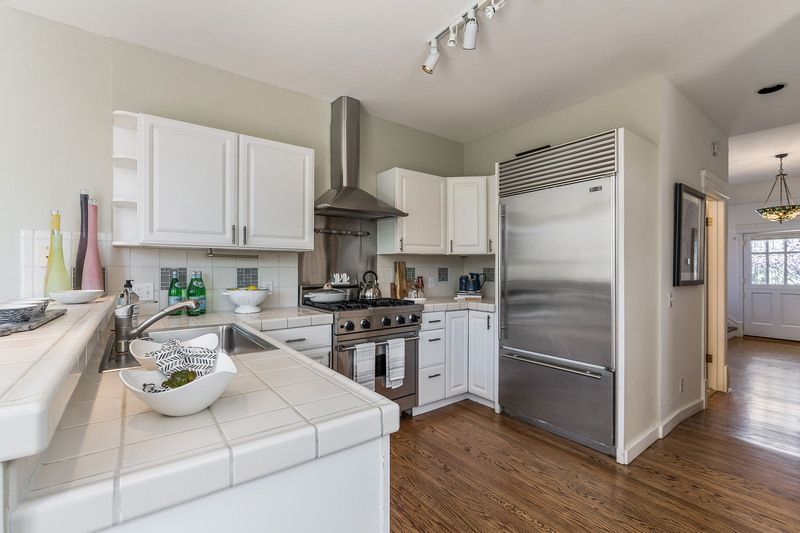 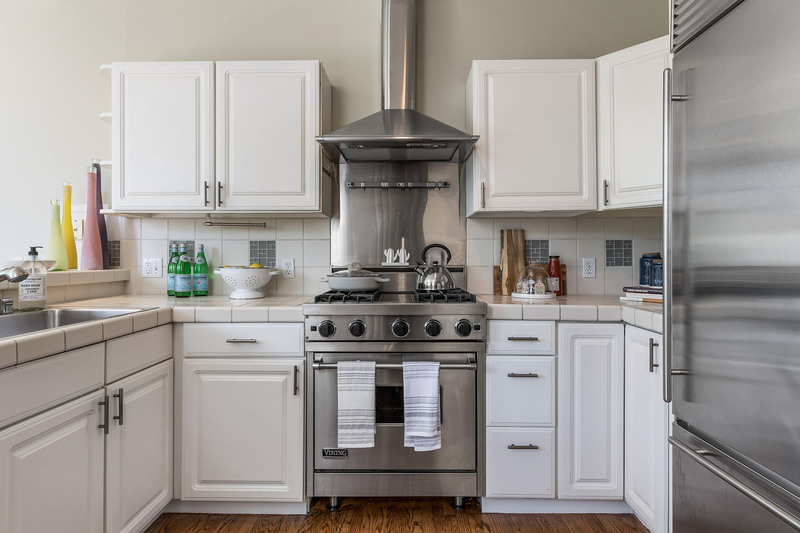 The open plan chef’s kitchen has high-end stainless steel appliances, stylish tile countertop, seating bar, and is where you’ll create comfortable gatherings that spill into the family room and out through sliding glass doors to the private deck. 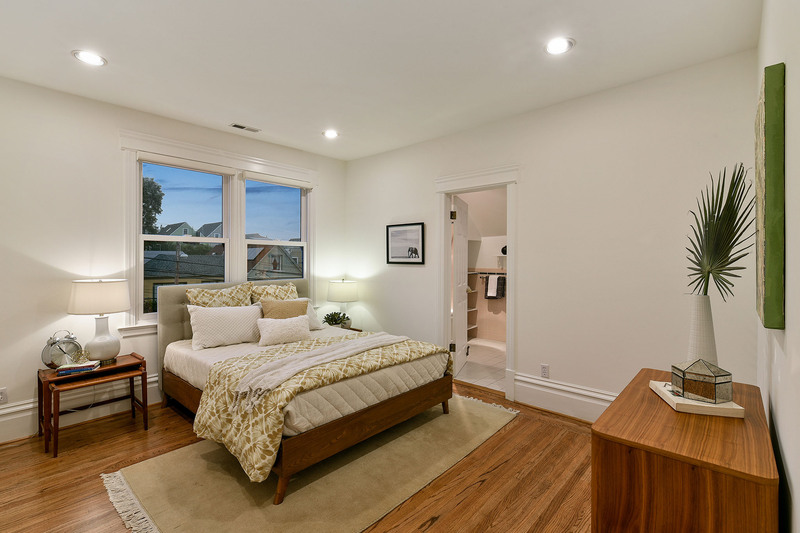 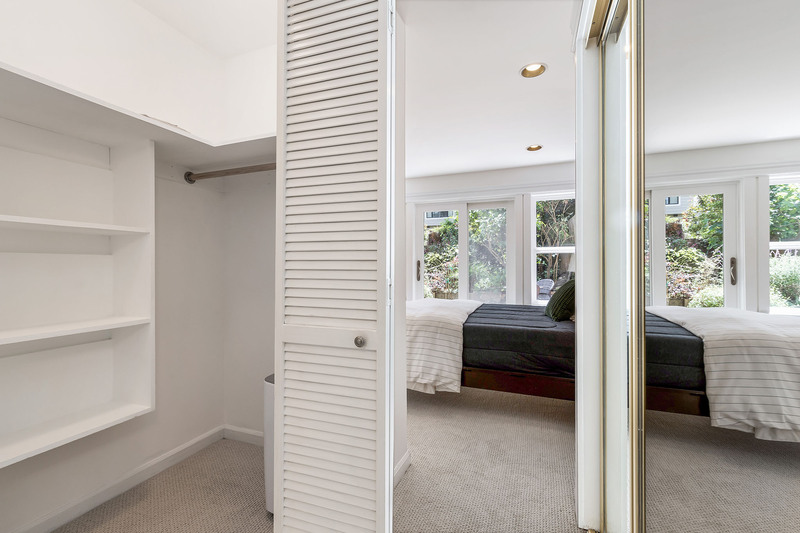 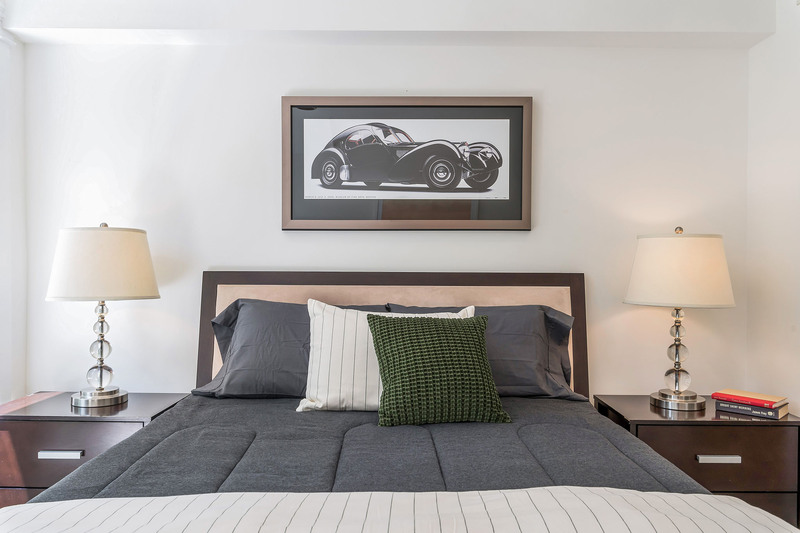 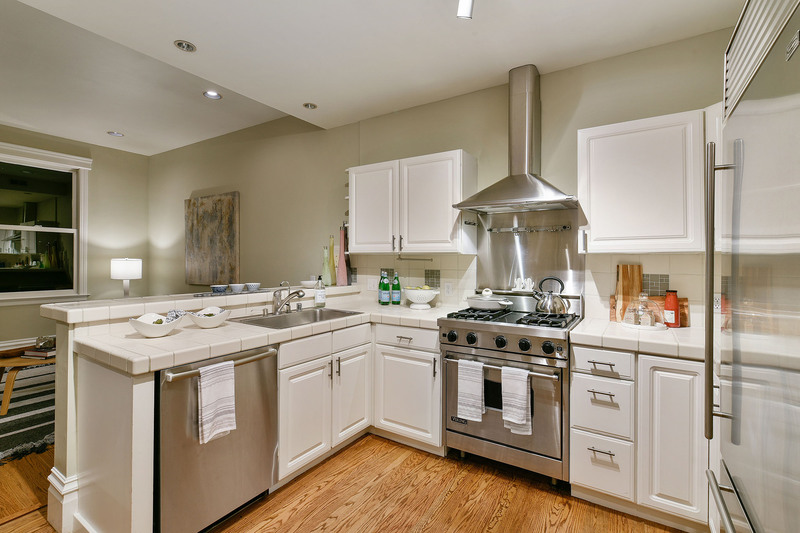 The top floor has 3 generous-sized bedrooms, plus a master bath and hall bath. 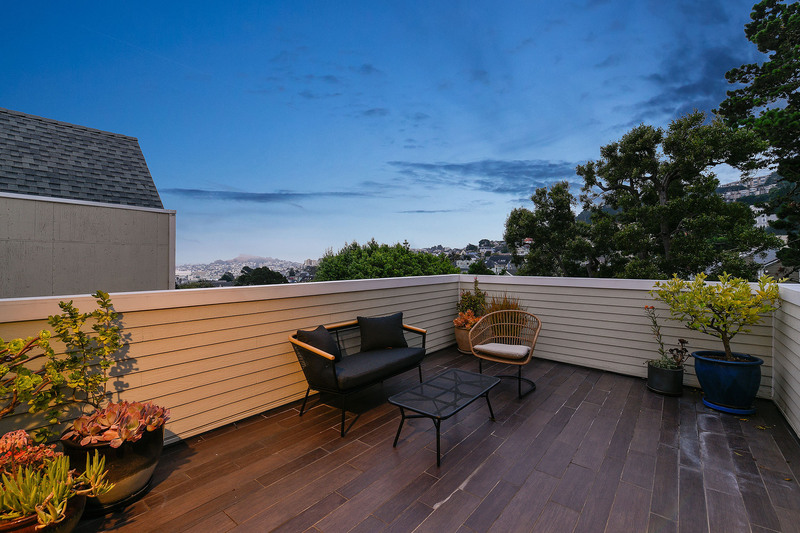 At the back is a large private deck with panoramic views to relax after a busy day. 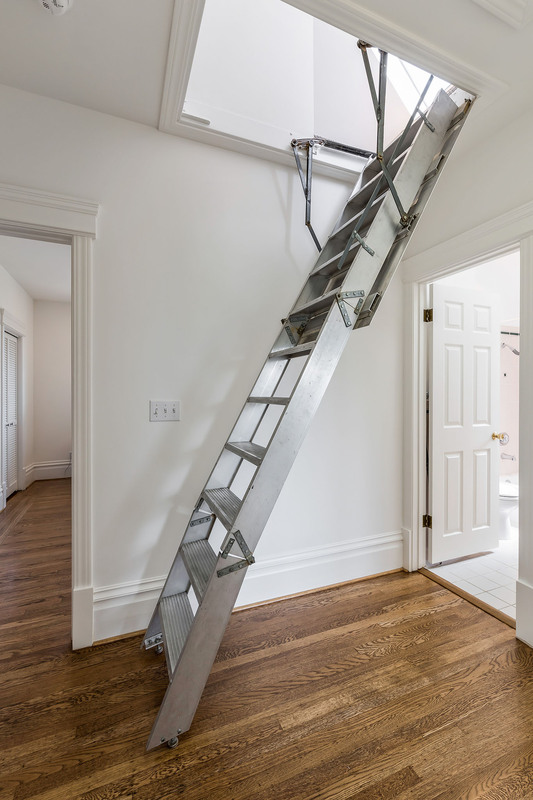 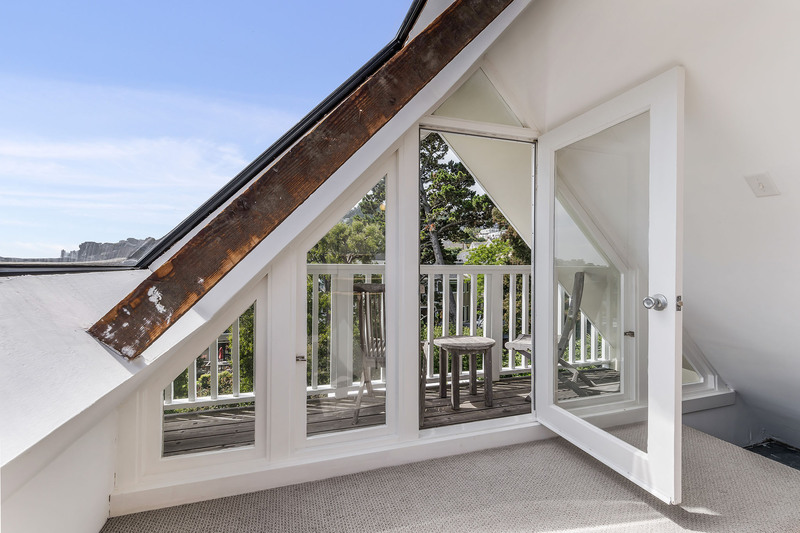 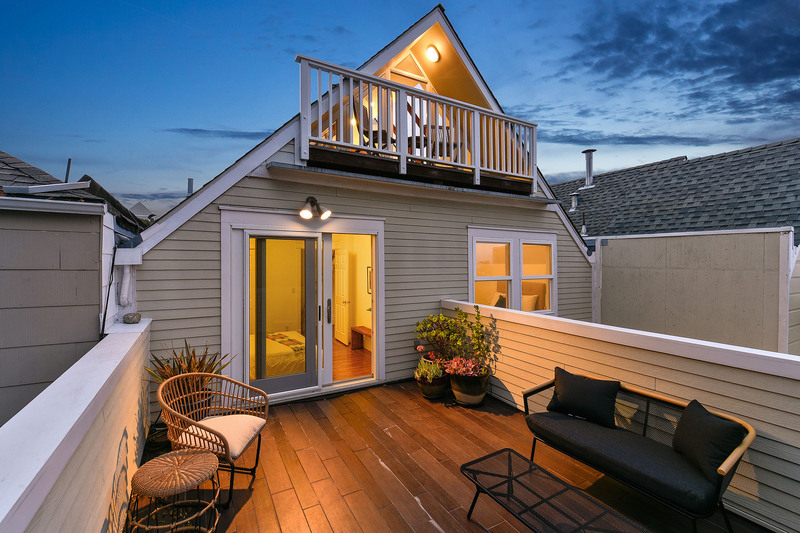 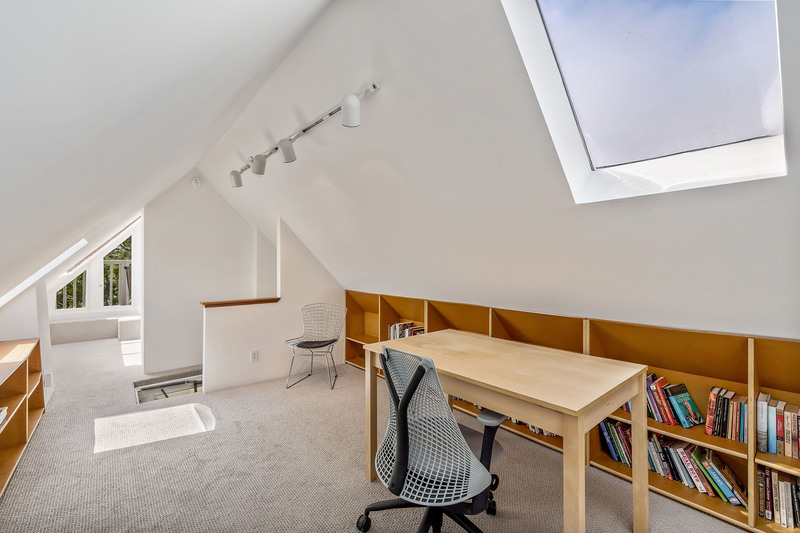 The light-filled attic space provides extra storage space with dormer windows and a small deck. 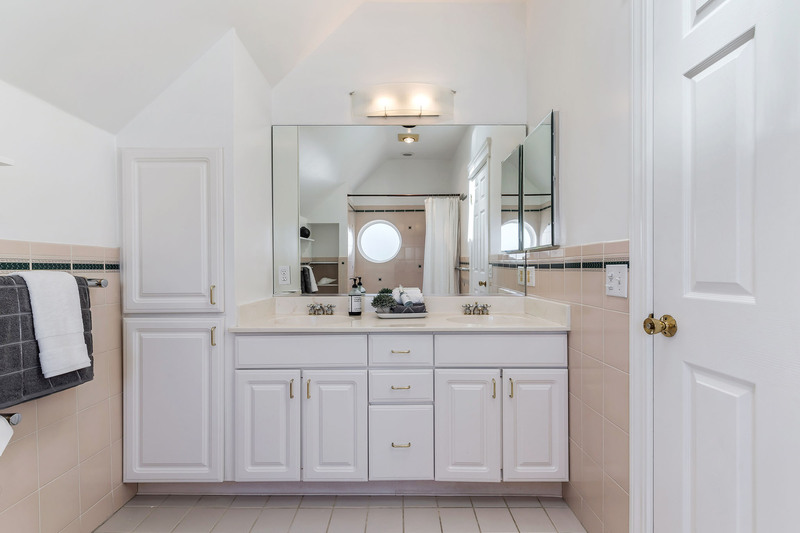 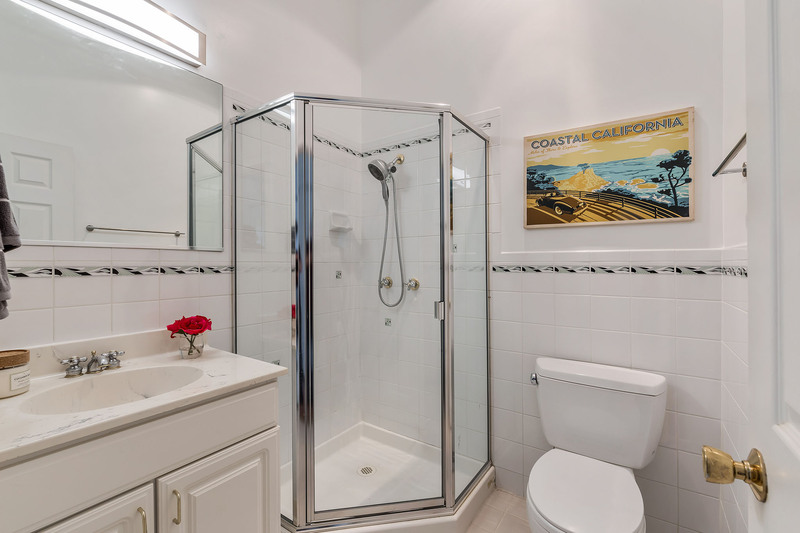 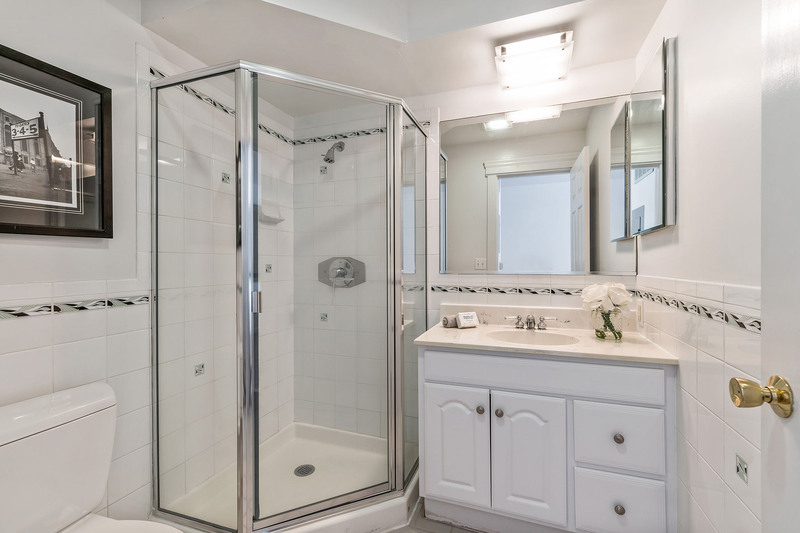 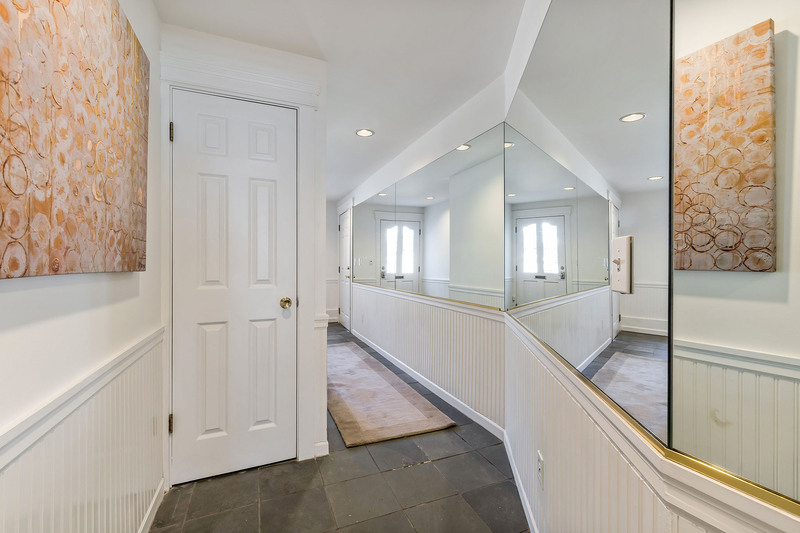 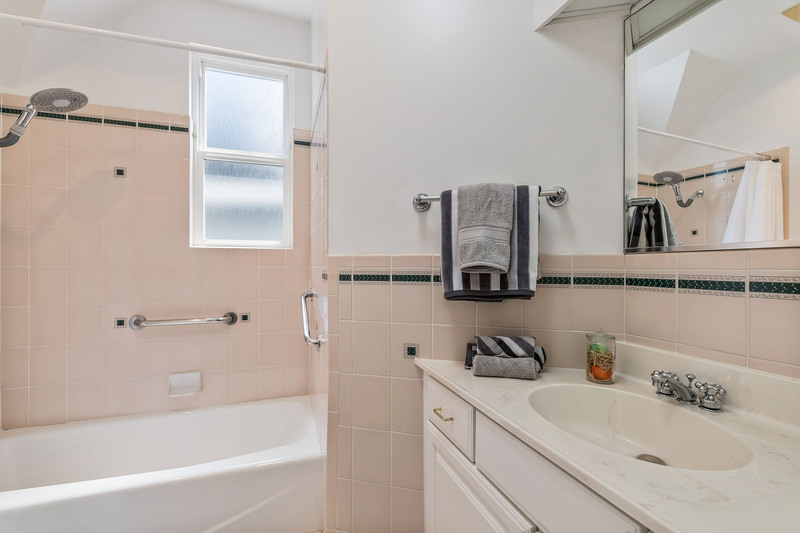 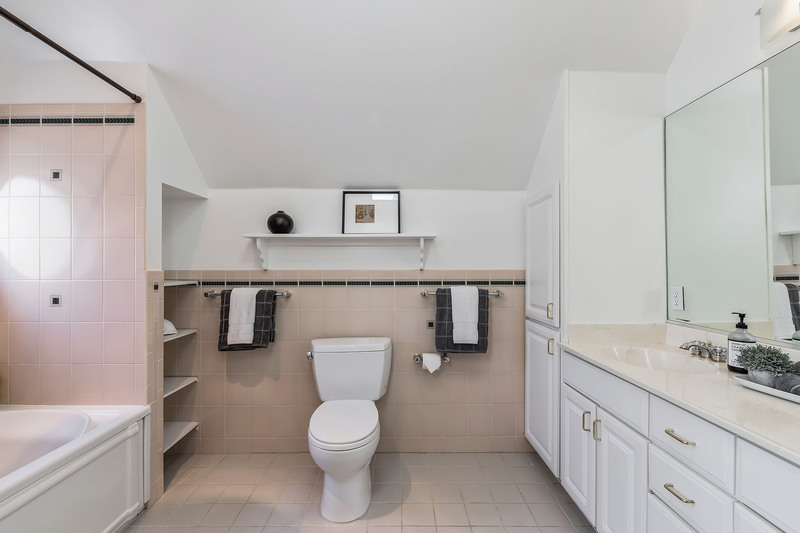 The main level has a 3rd full bathroom and convenient washer/dryer in the hallway closet. 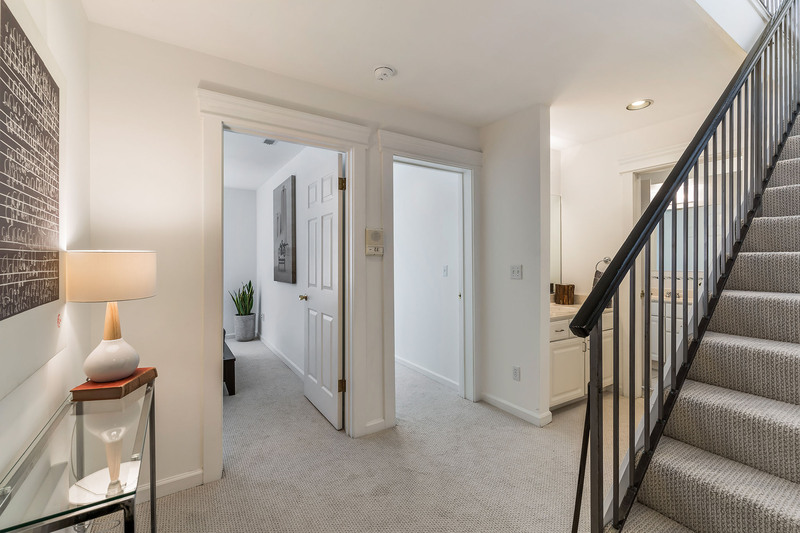 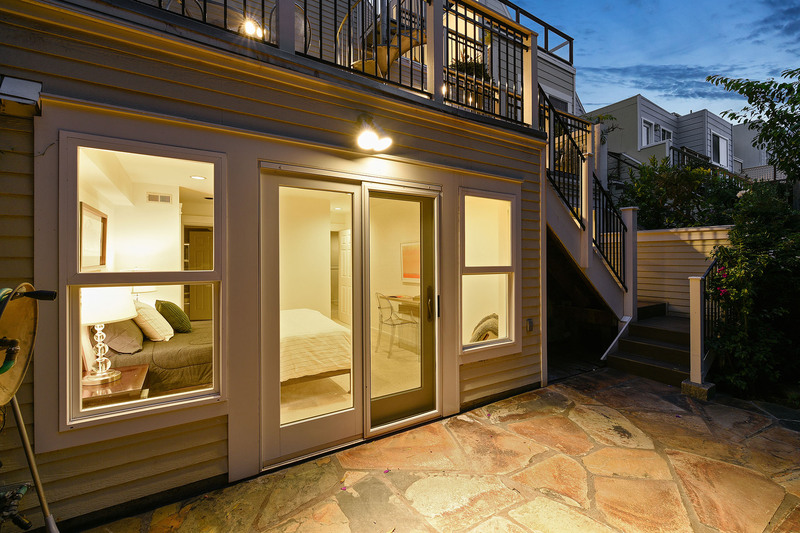 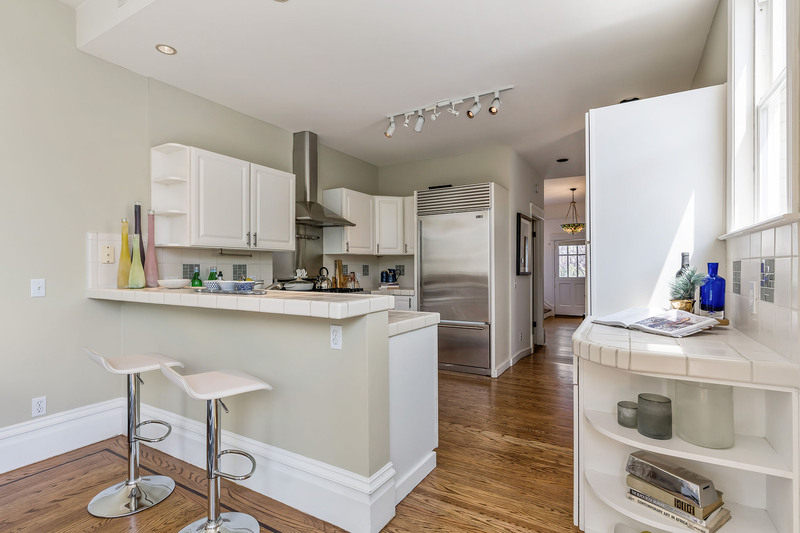 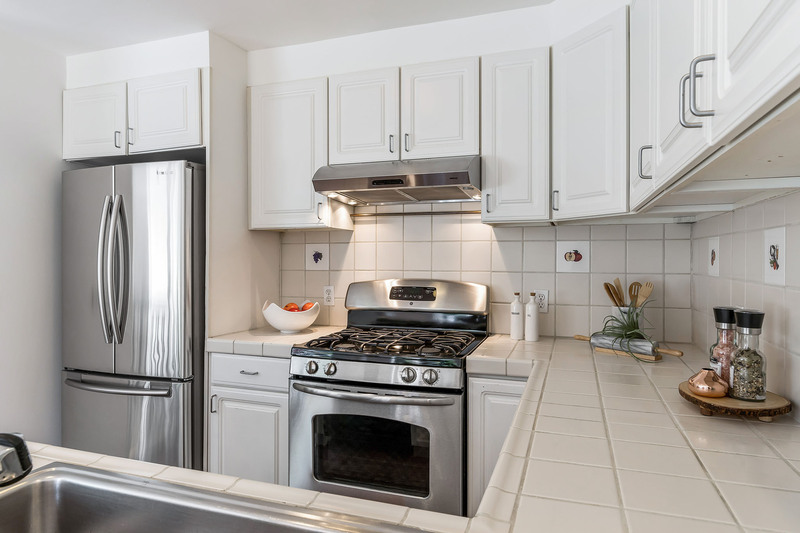 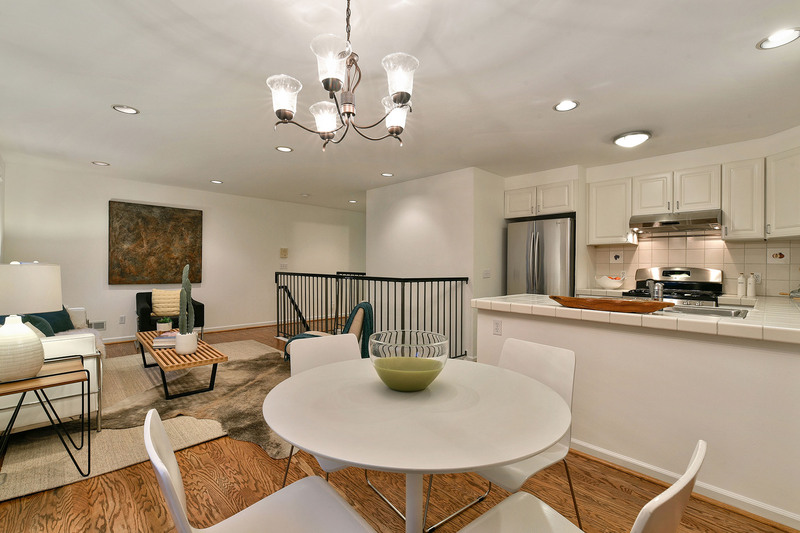 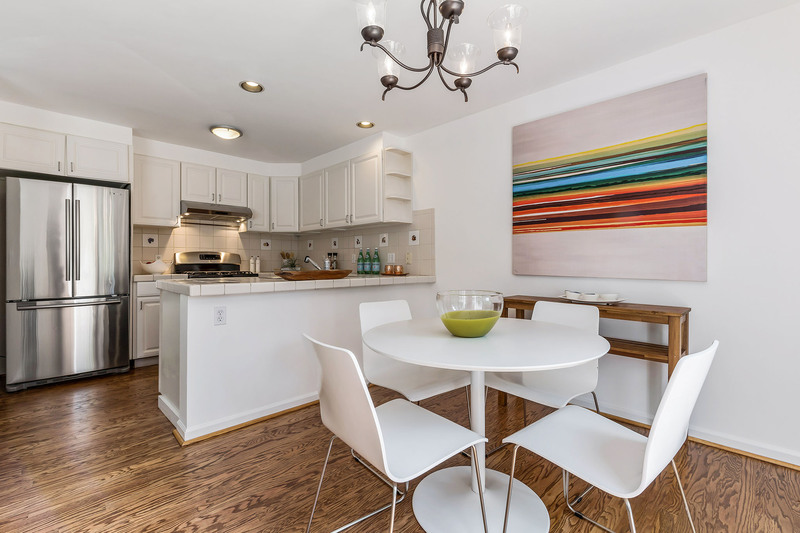 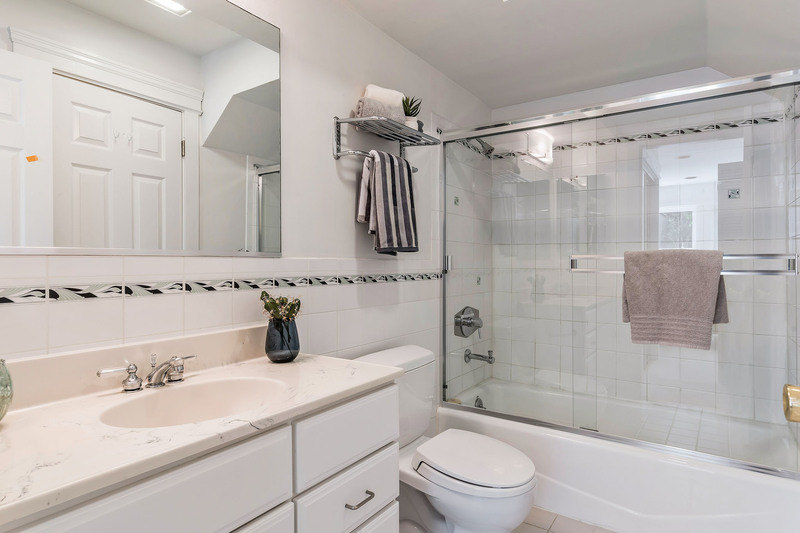 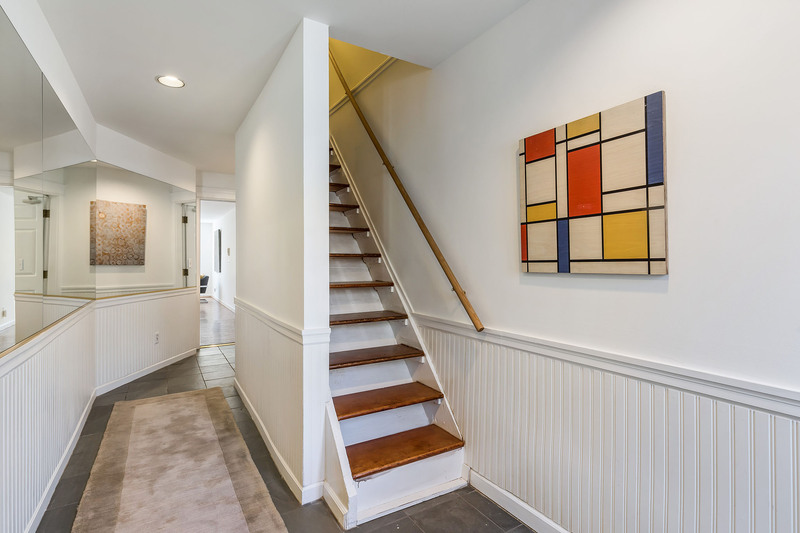 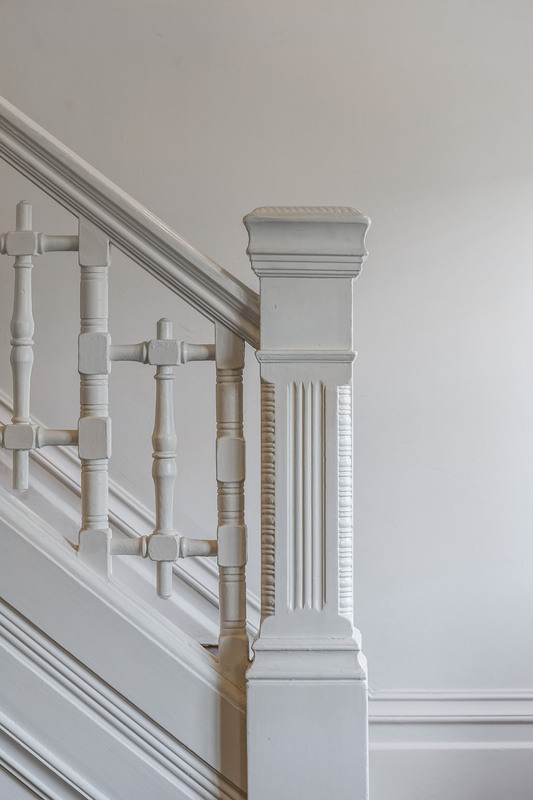 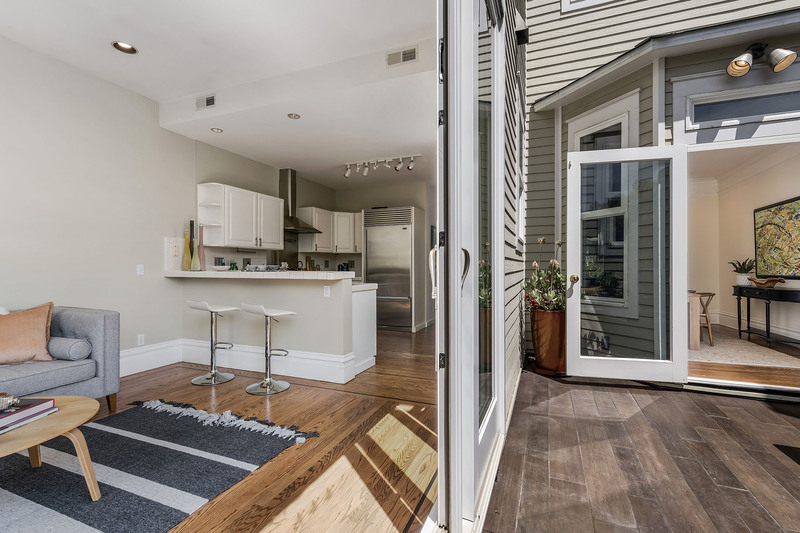 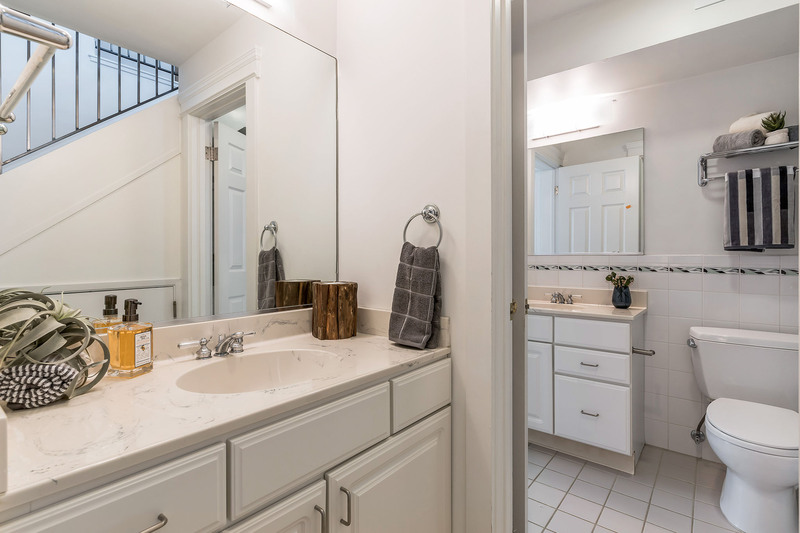 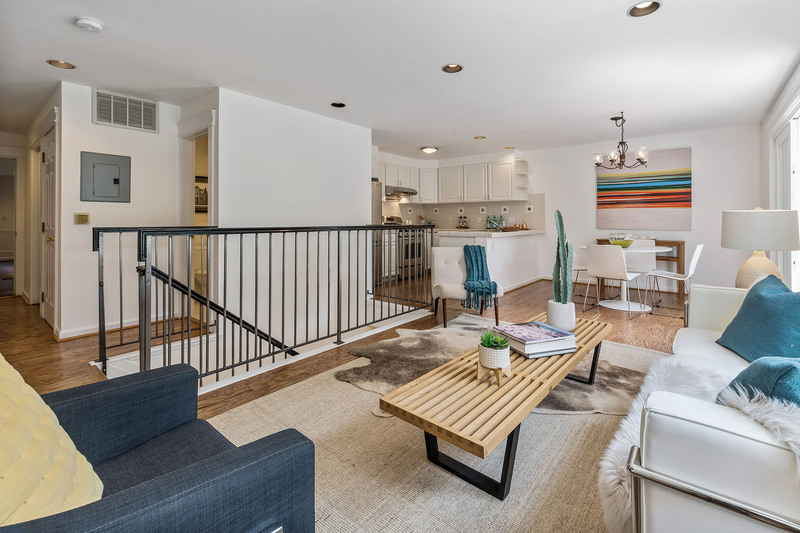 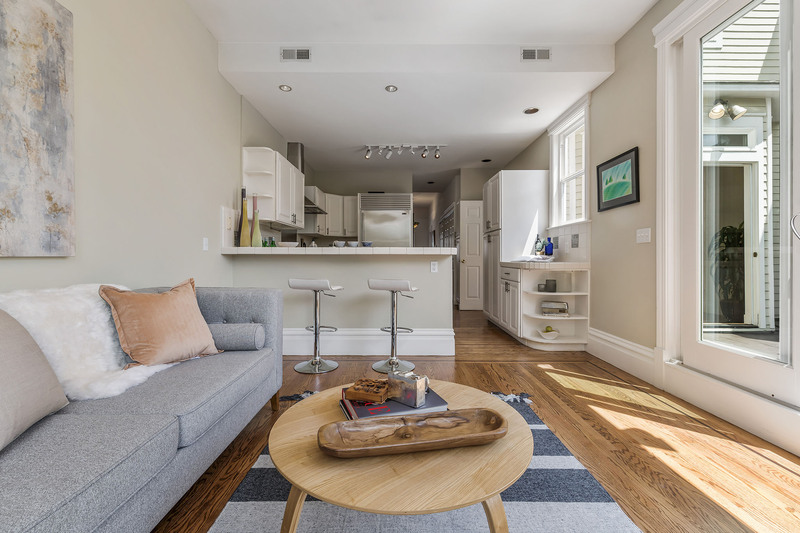 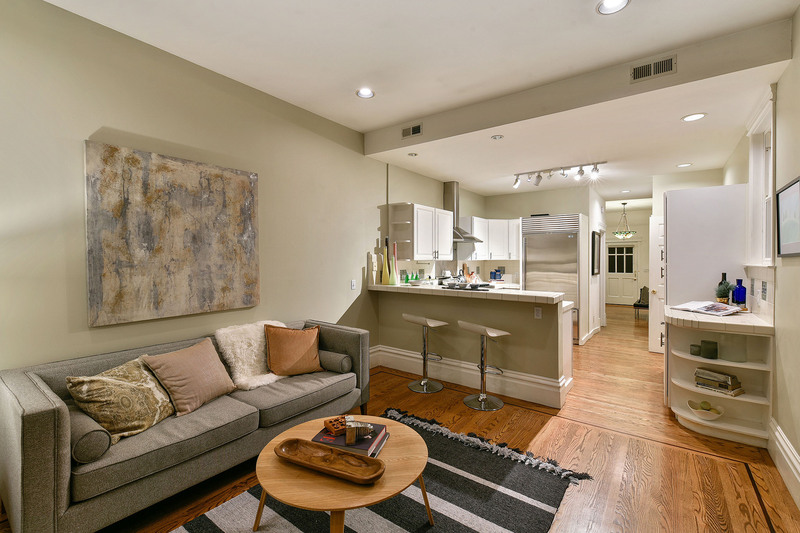 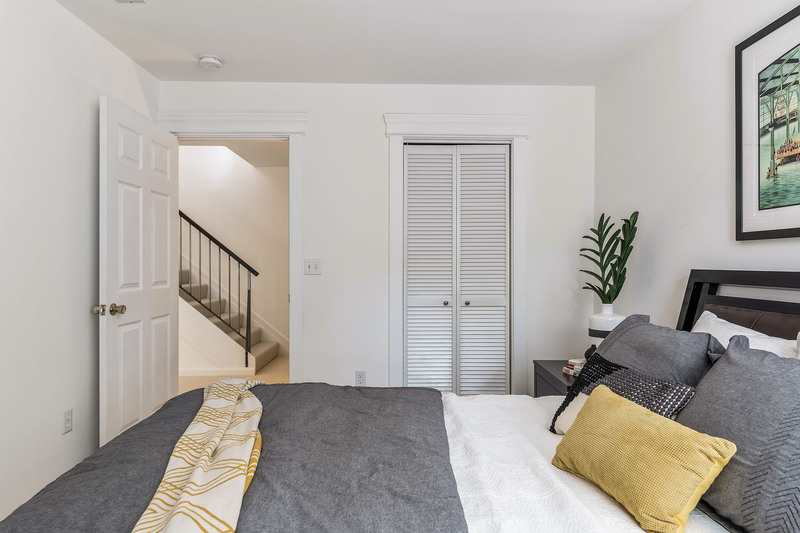 Connected by a convenient staircase and behind the garage, you have a 2 bedroom, 2 bath apartment that could be part of your home as guest quarters or as a rental. 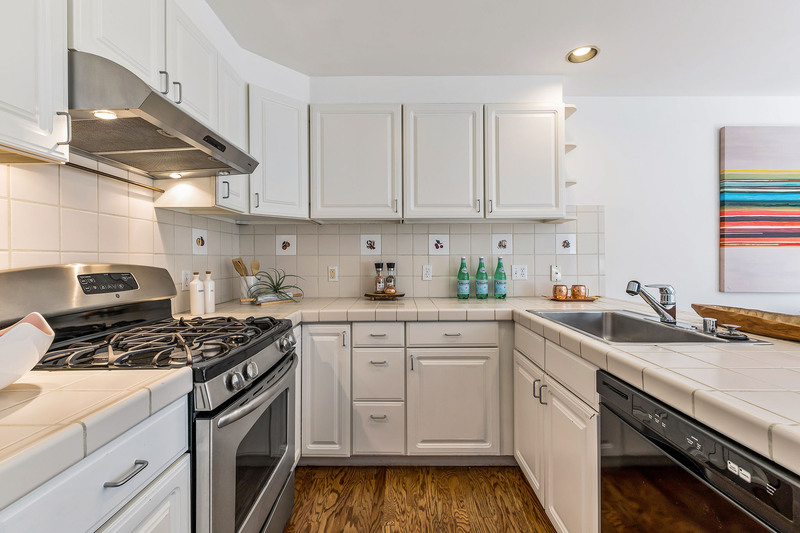 This unit has a private entrance, open updated kitchen, combination dining/living room with easy access to a huge deck, ample closets, and washer and dryer. 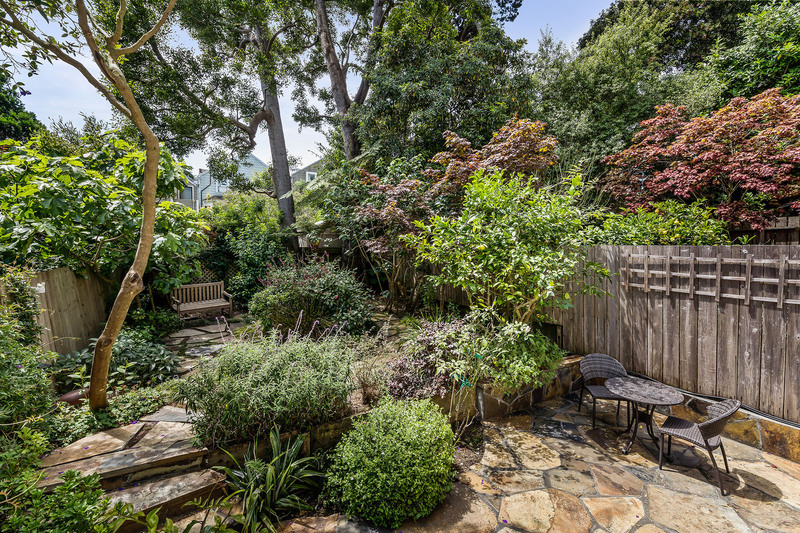 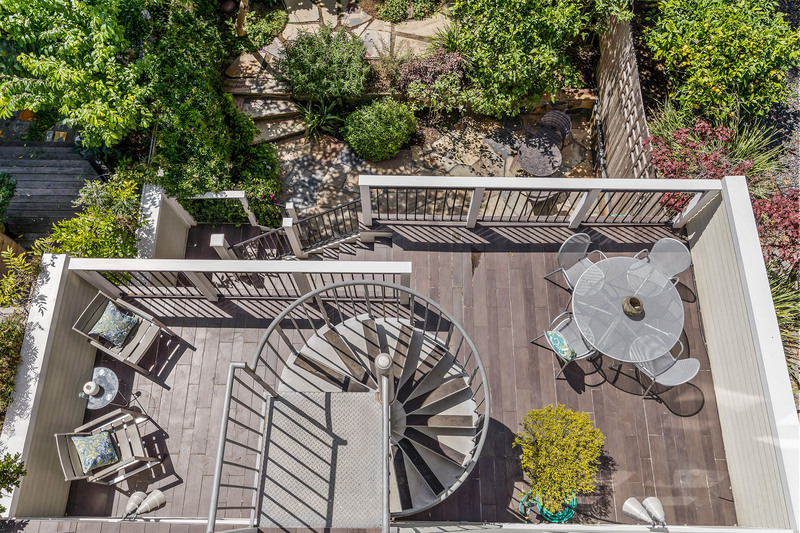 Both units have easy access to the colorful and mature garden where you can grill, dine al fresco, enjoy sounds of the flowing pond, and pick fresh Meyer lemons. 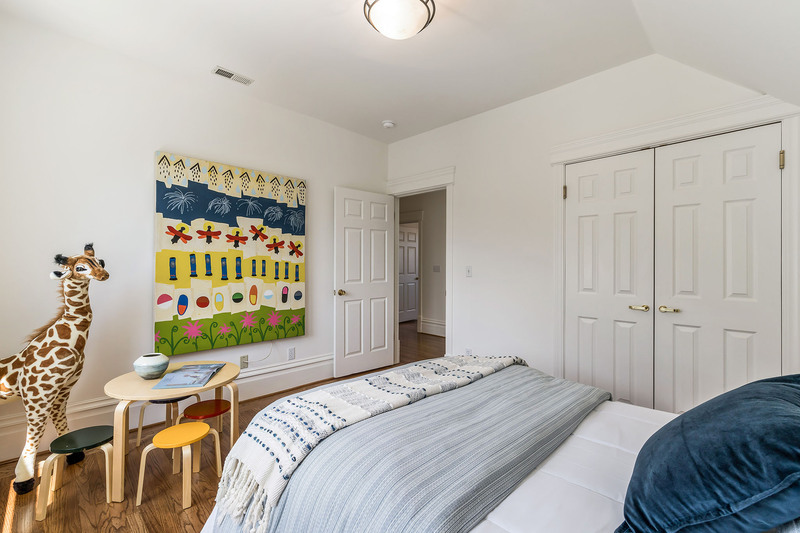 * Floor plan renderings by Open Homes Photography and all square footage measurements are approximate. 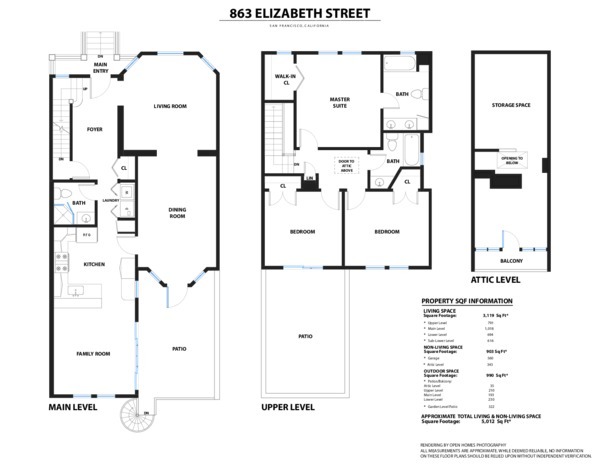 While deemed reliable, no information on these floor plans should be relied upon without independent verification by buyer. 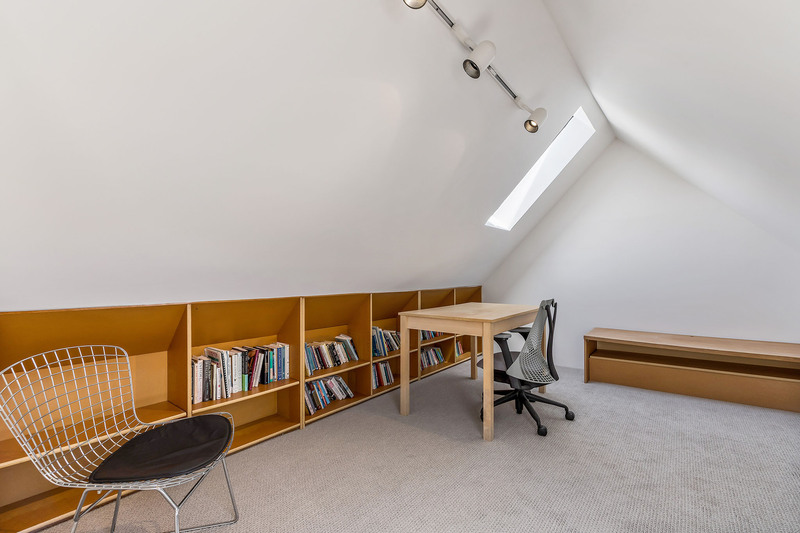 Attic is not warranted as legal living space. 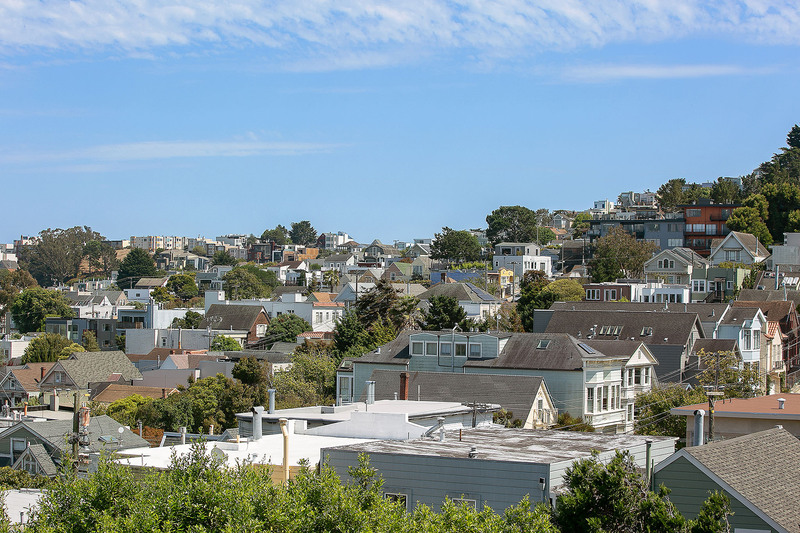 Where do San Francisco hipsters move when they grow up? 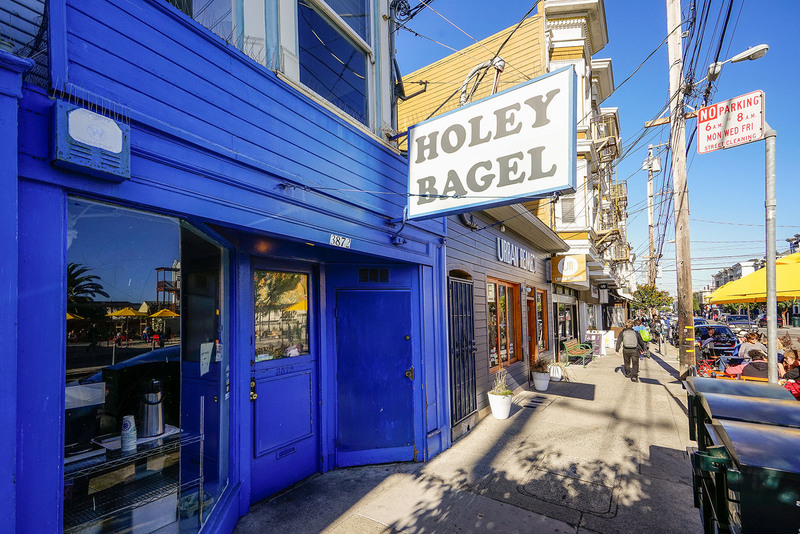 Noe Valley. 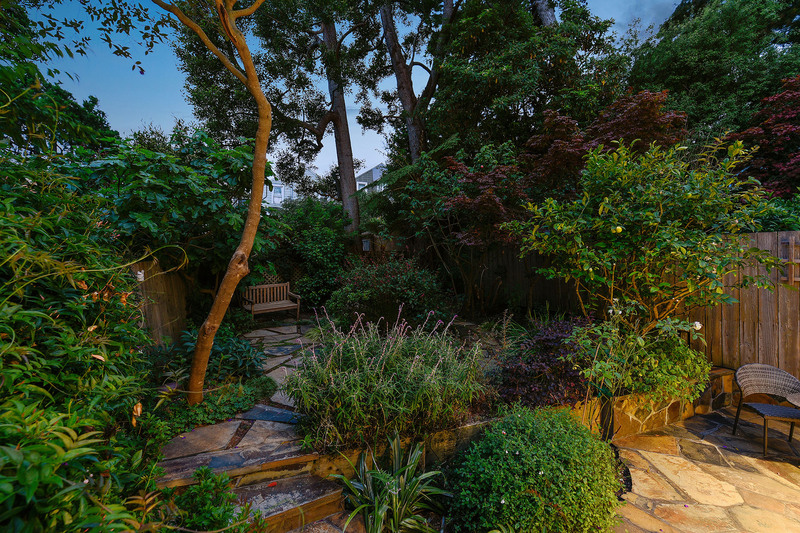 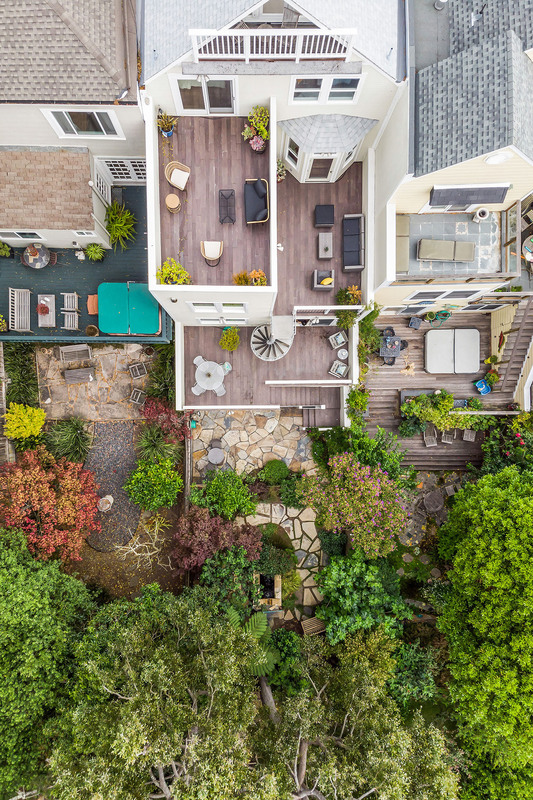 This small enclave nestled in the hills above San Francisco Bay is proof positive you don’t have to leave the city when you transition from Stoli to stroller. 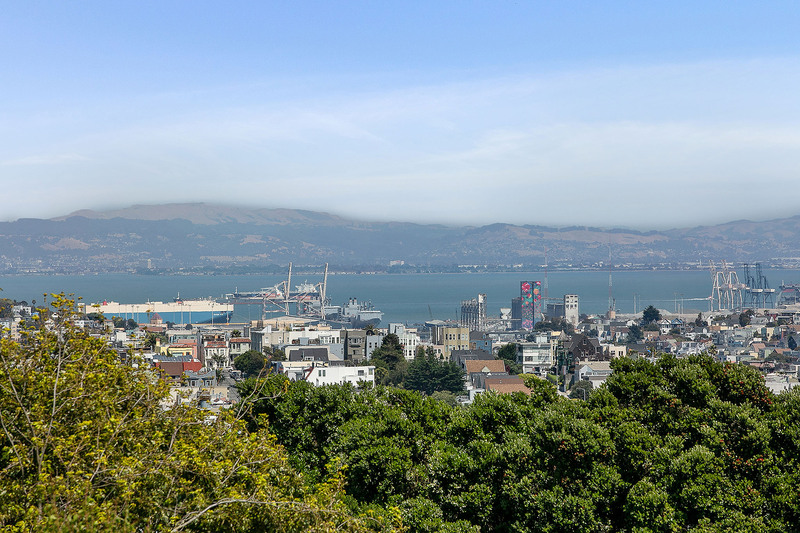 Jaw-dropping views of the bay looking east toward Oakland greet you from almost any street corner. 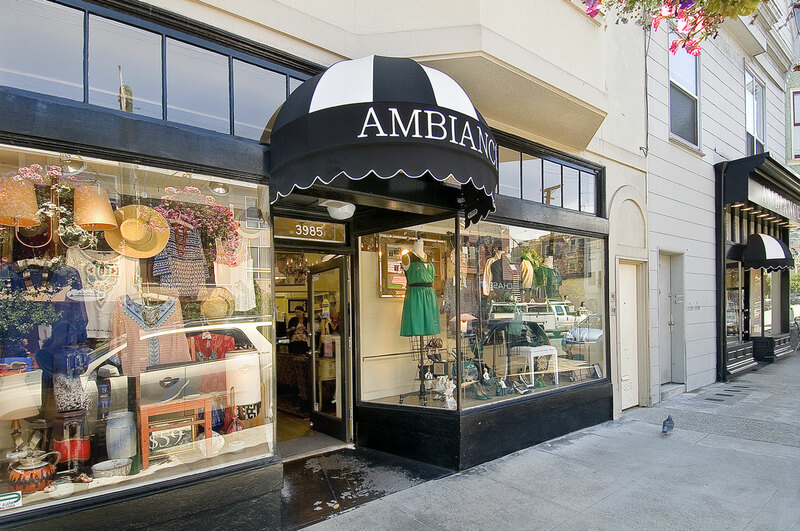 Boutiques are chockablock here. 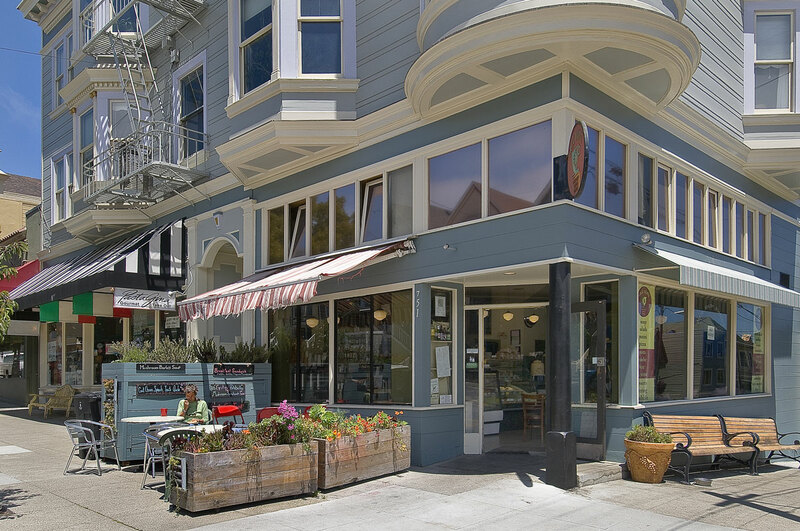 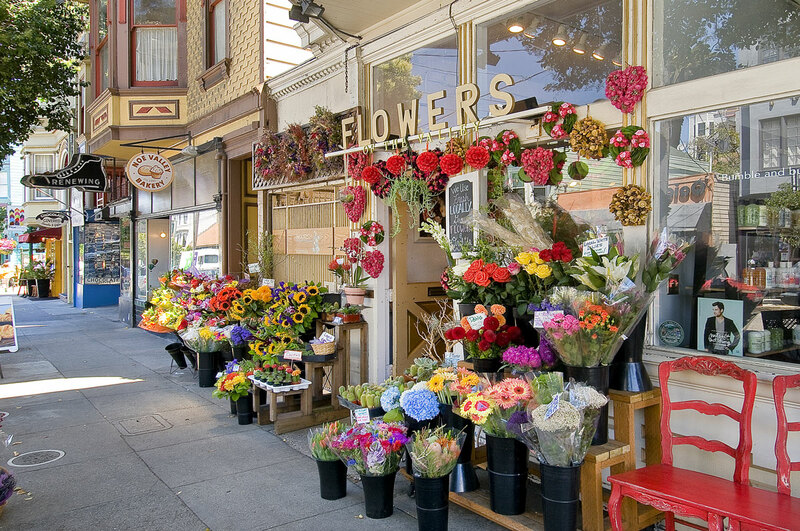 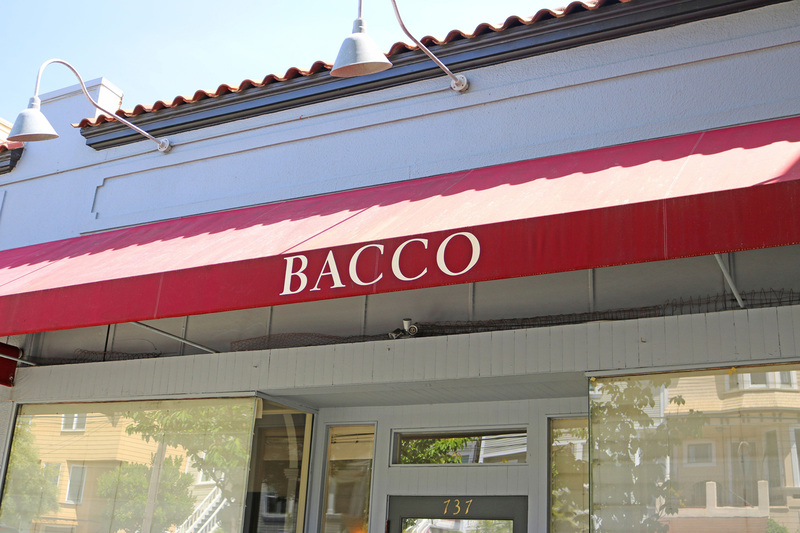 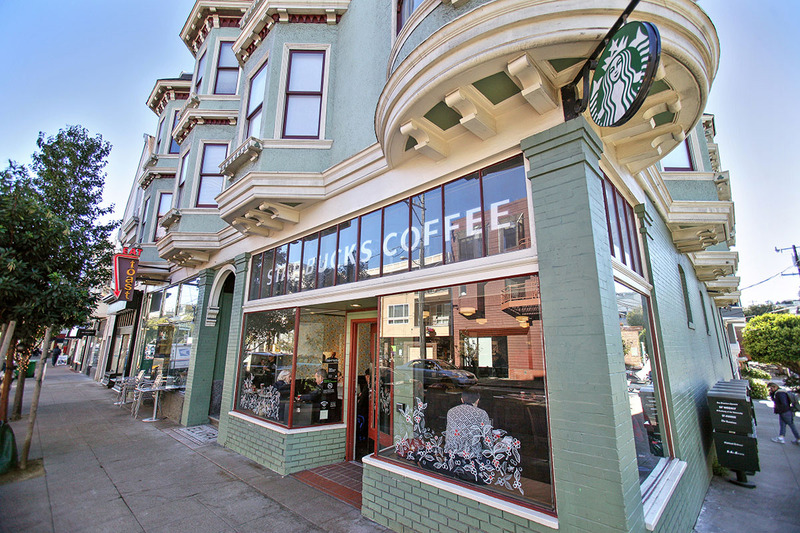 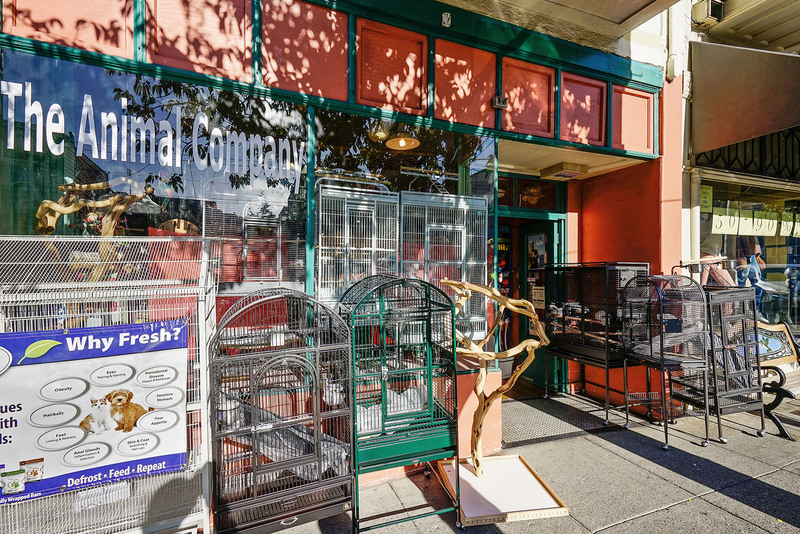 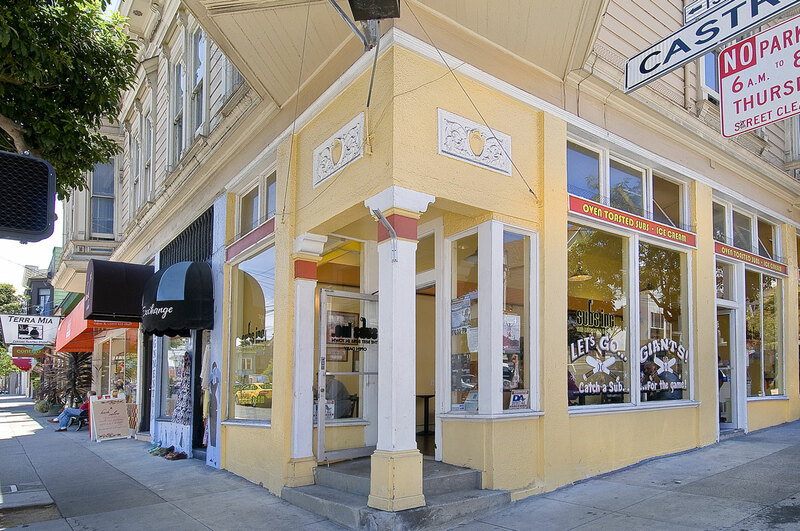 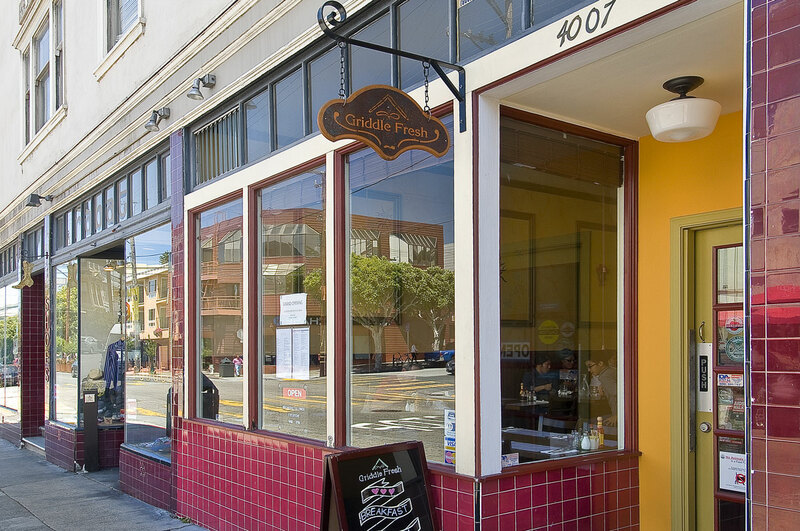 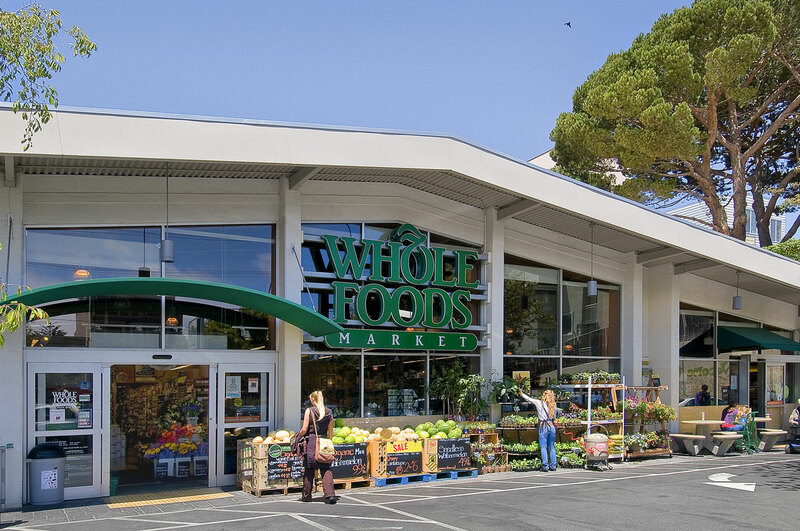 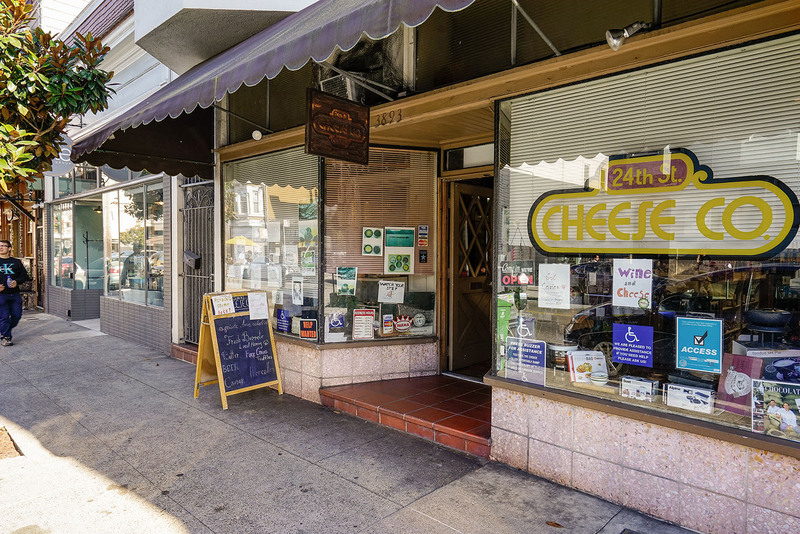 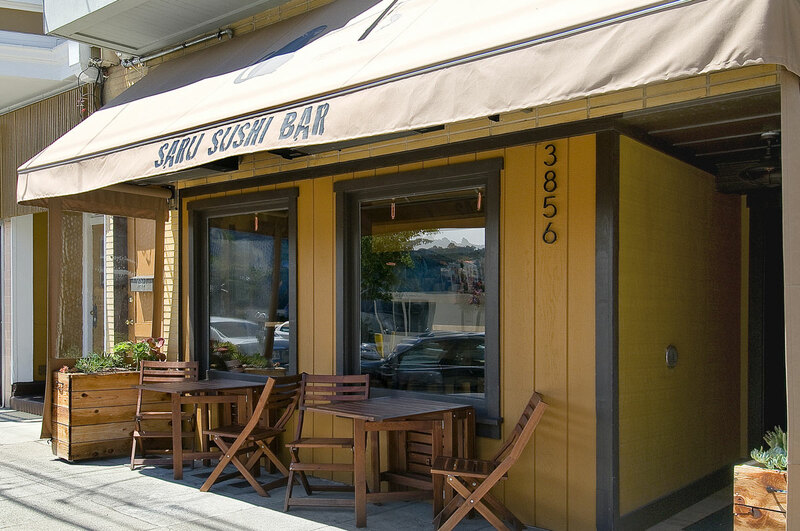 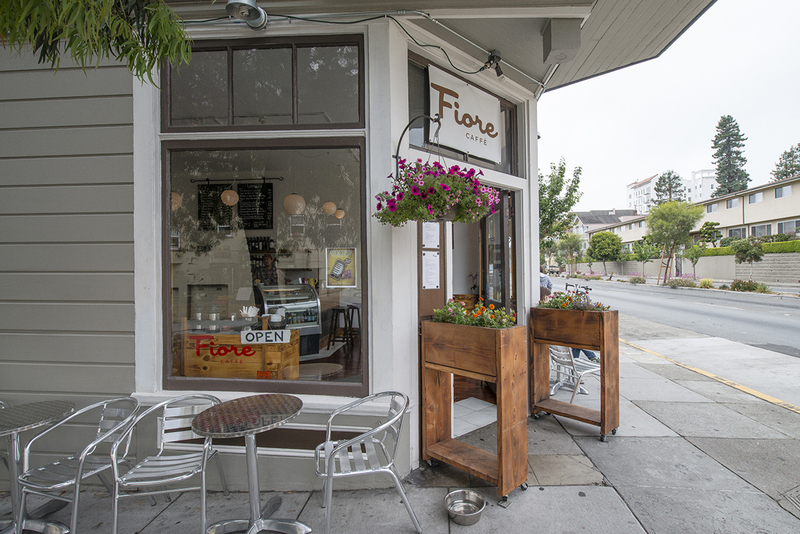 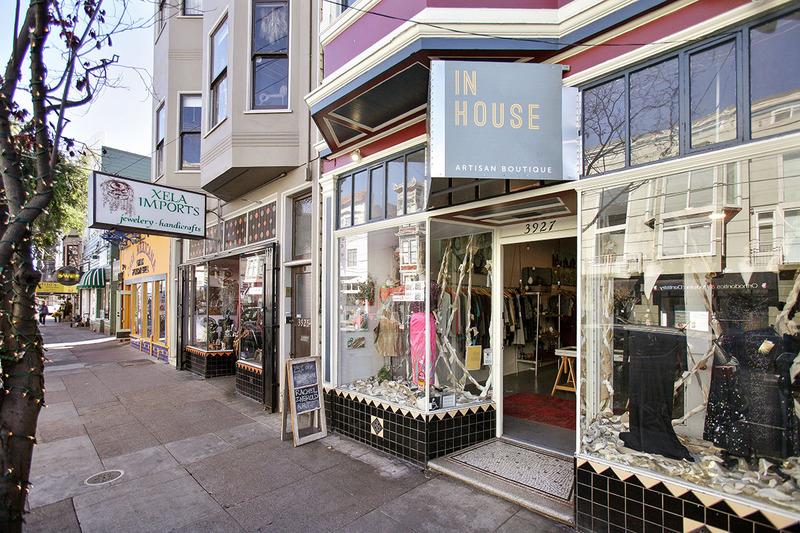 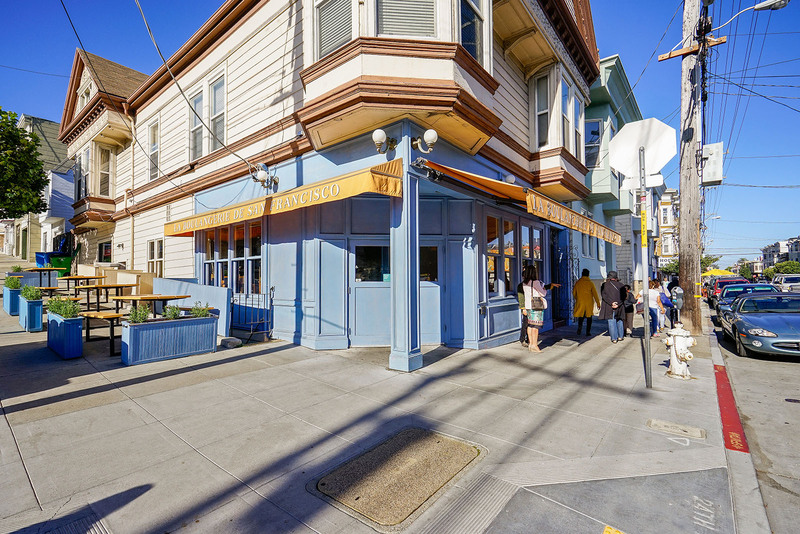 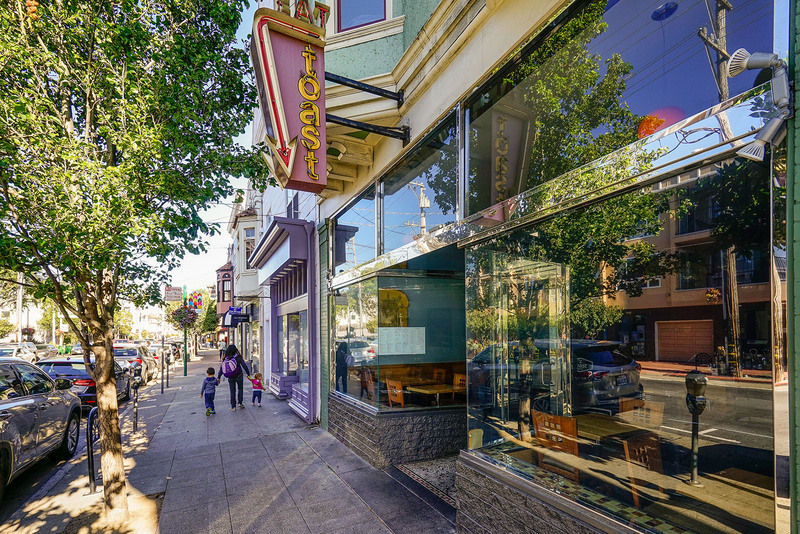 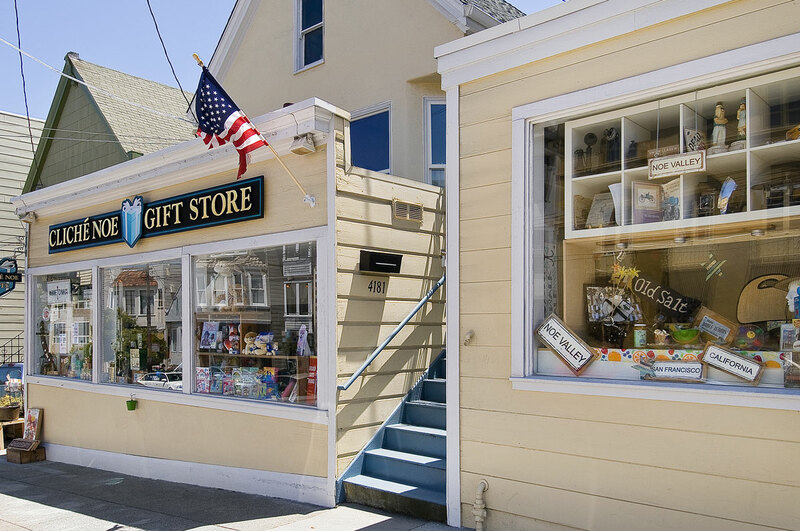 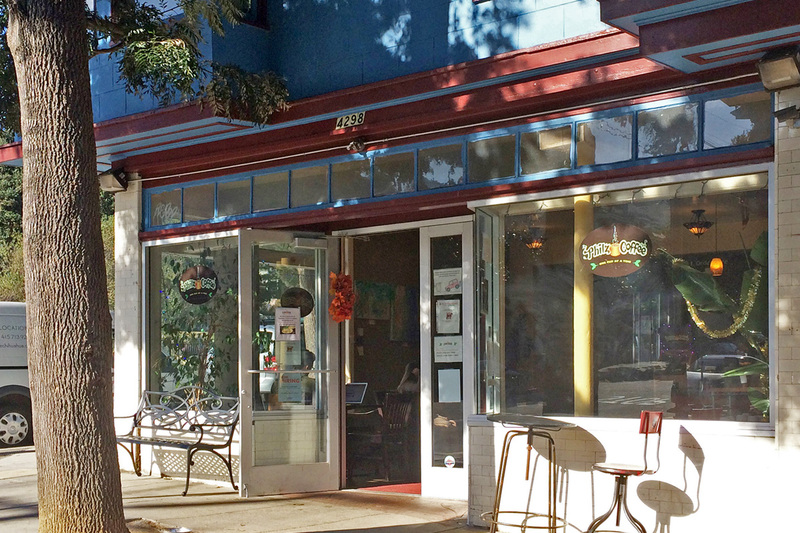 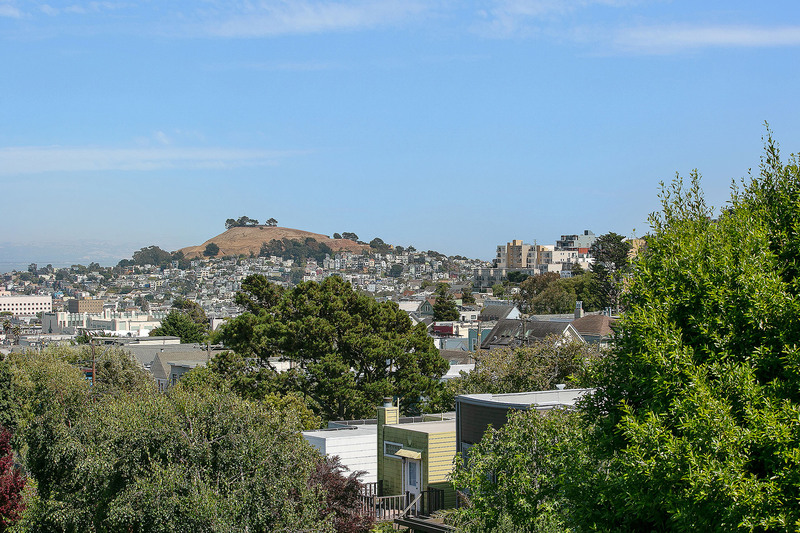 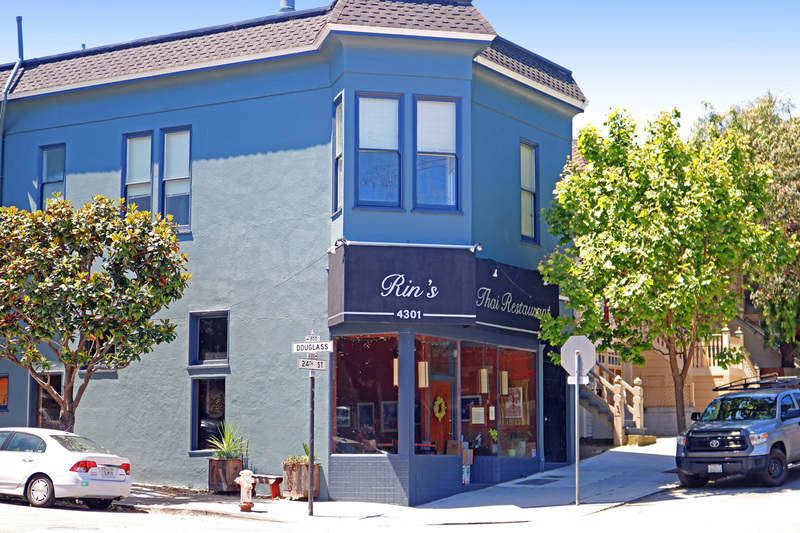 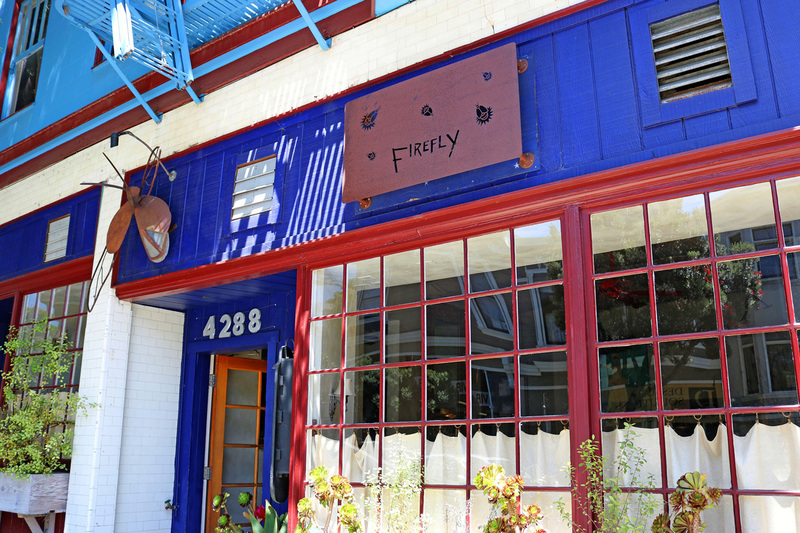 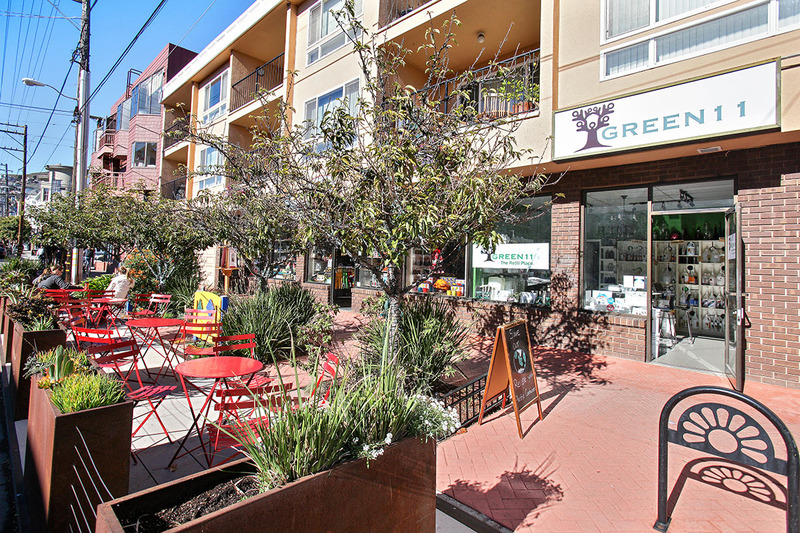 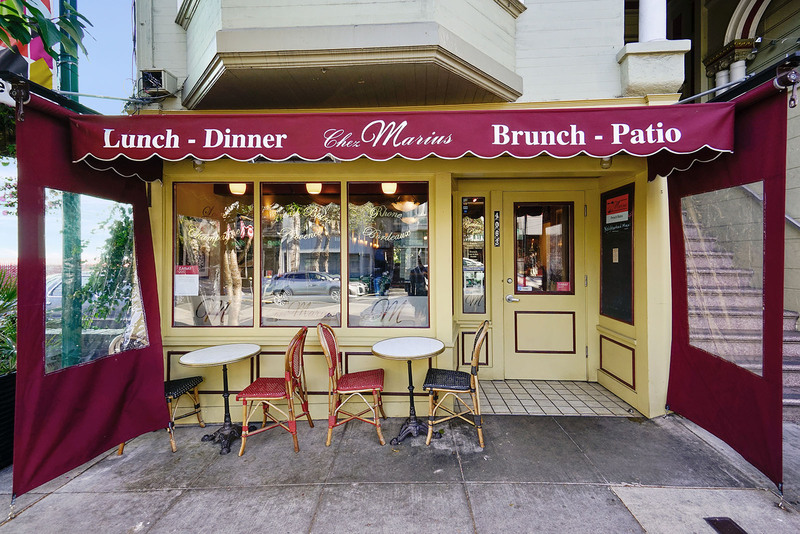 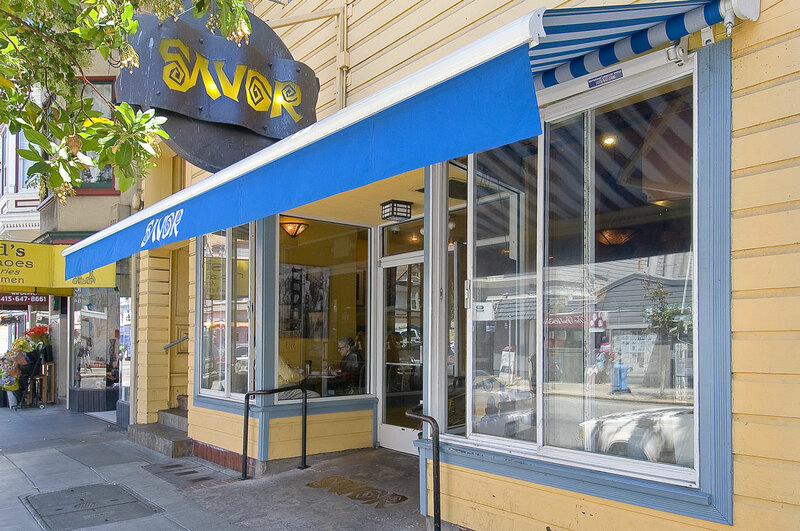 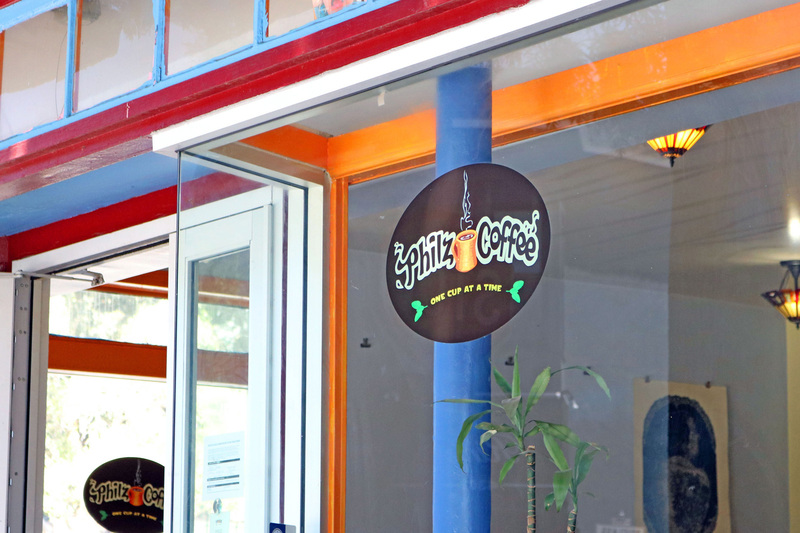 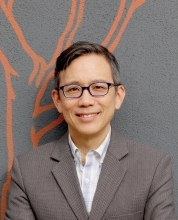 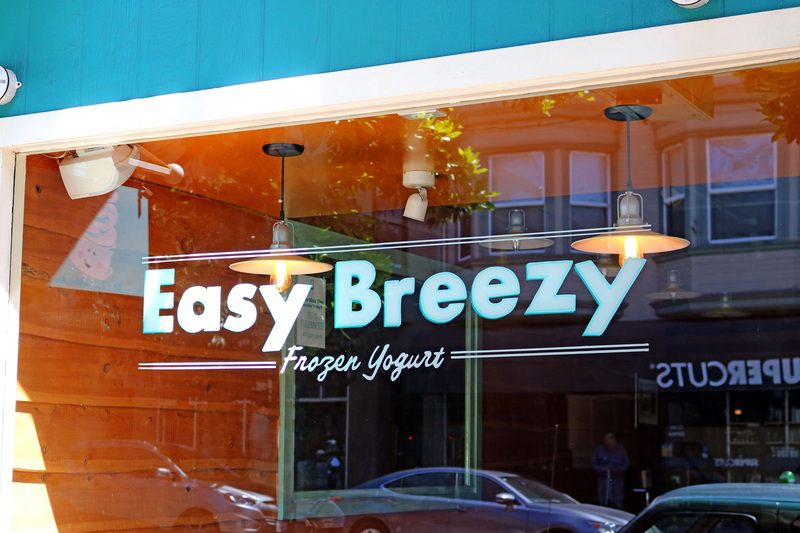 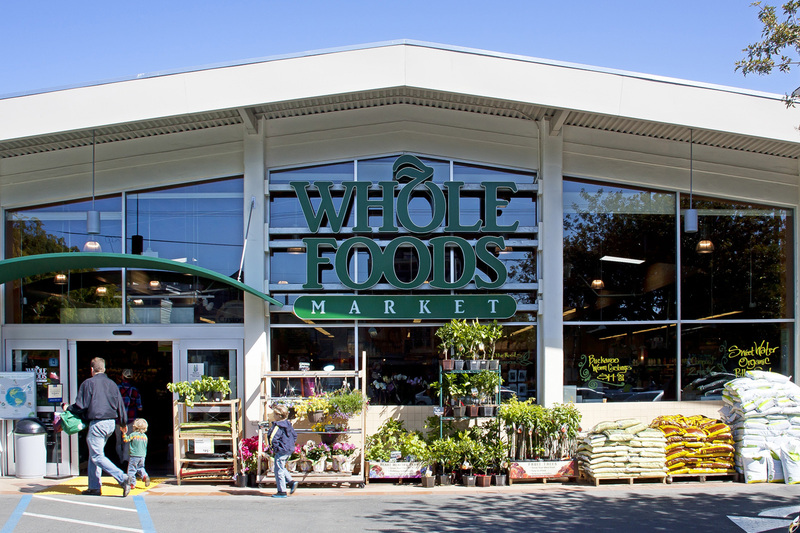 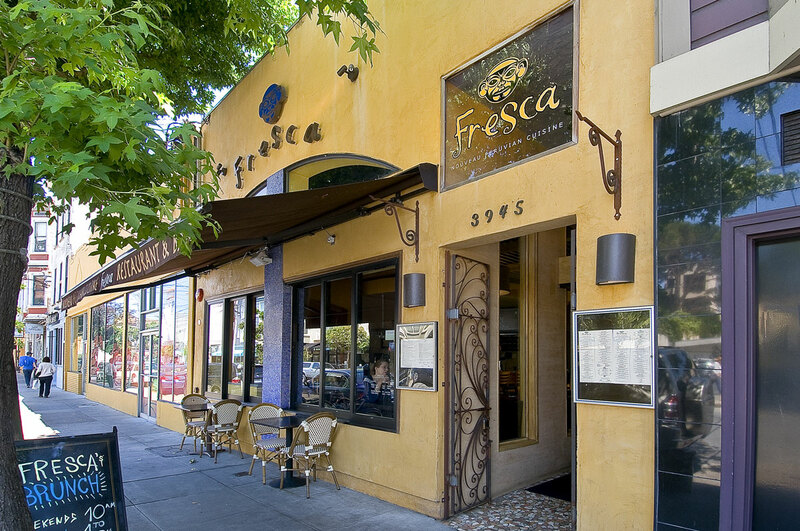 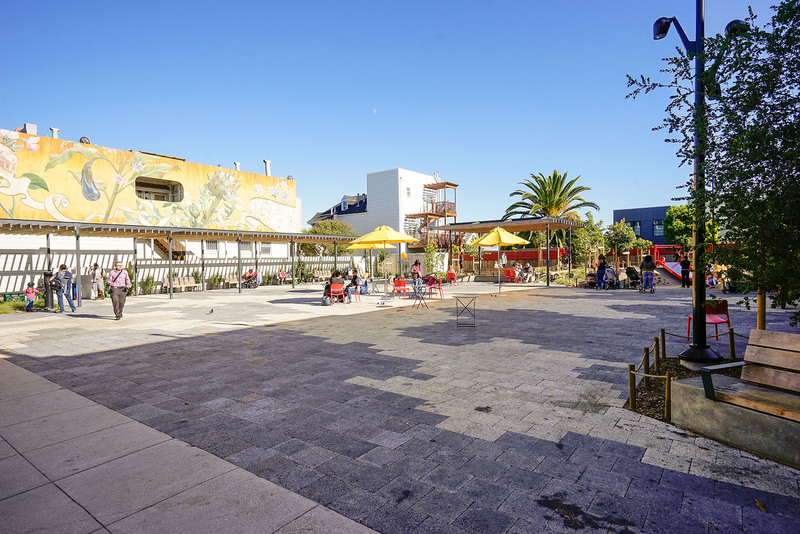 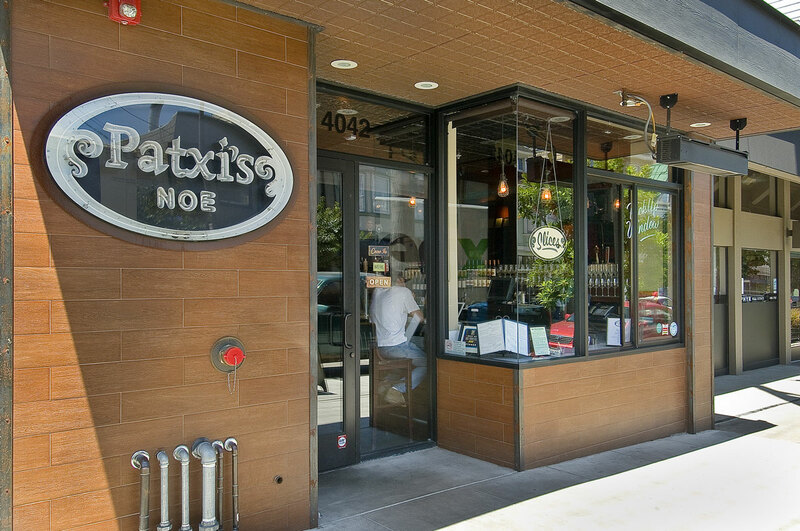 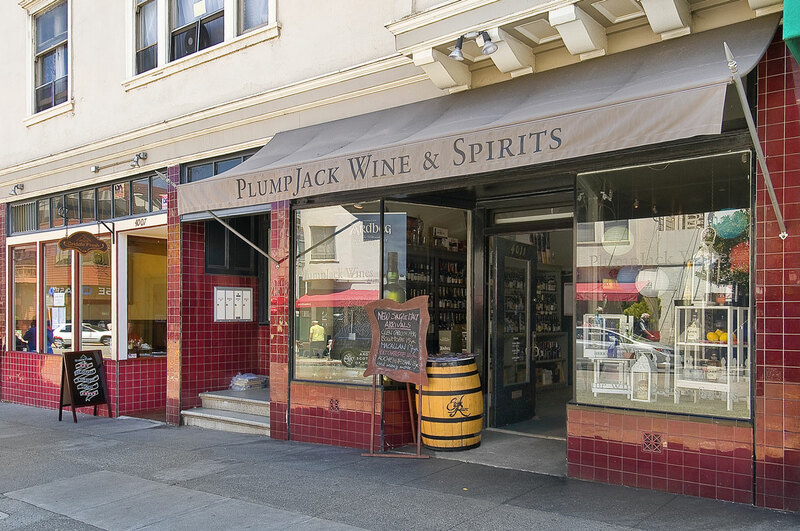 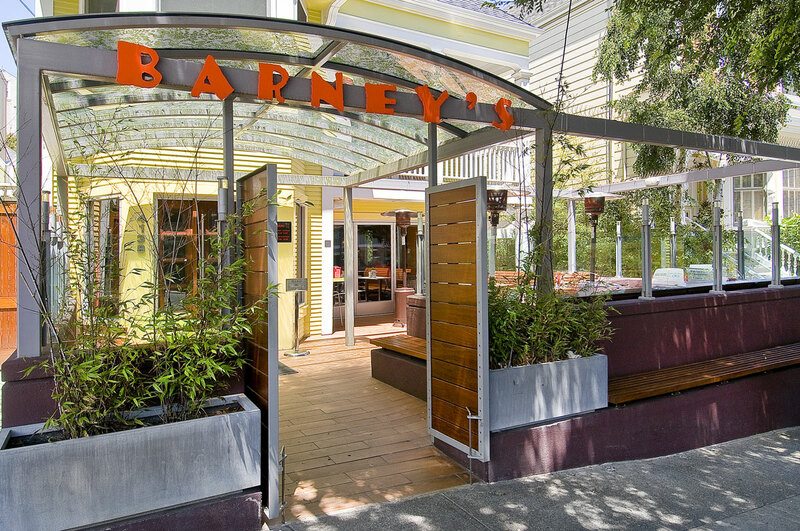 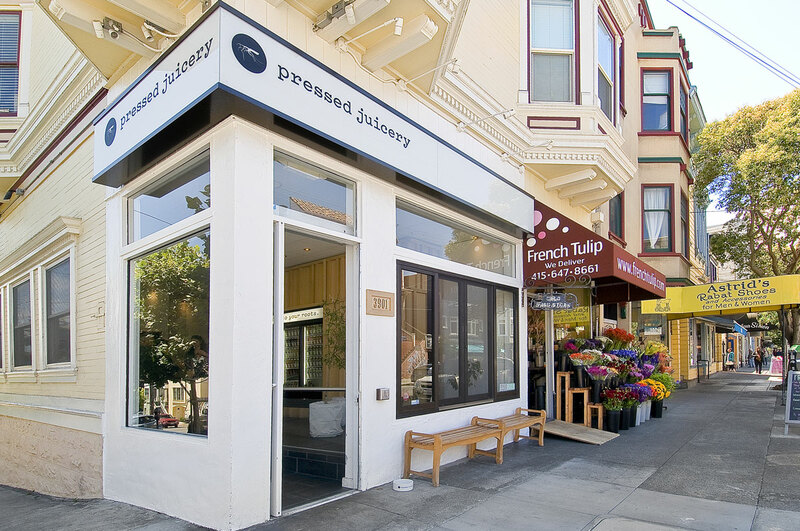 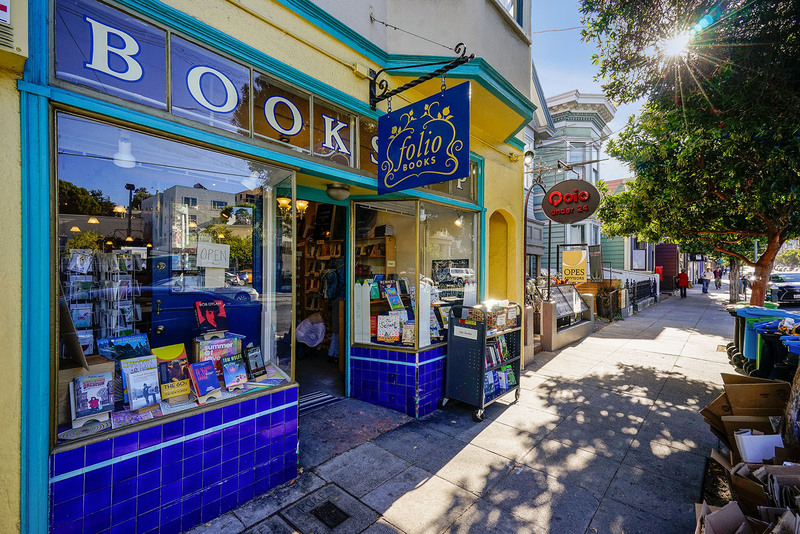 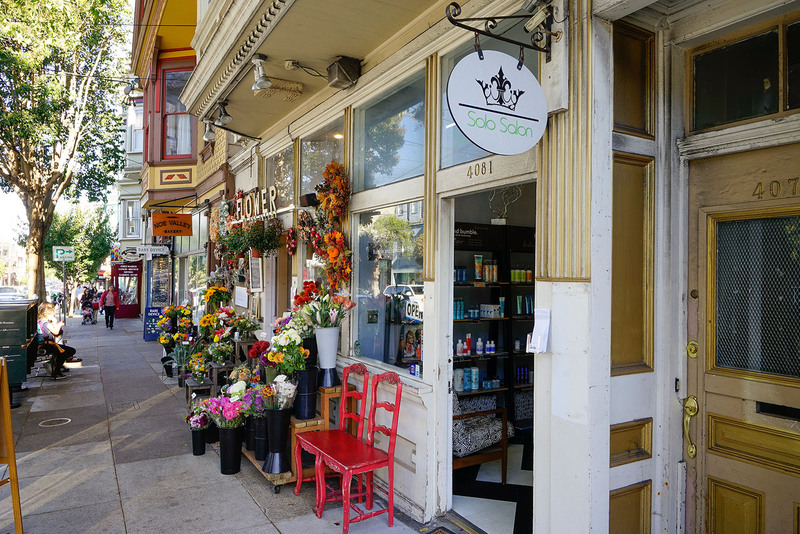 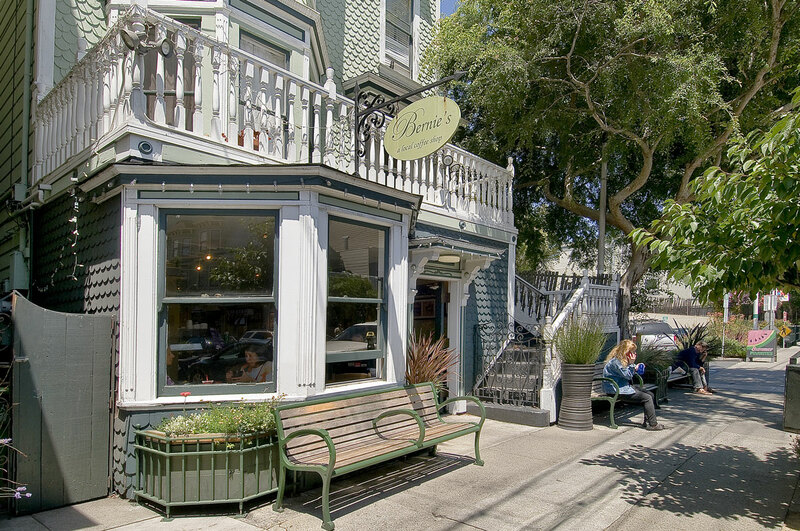 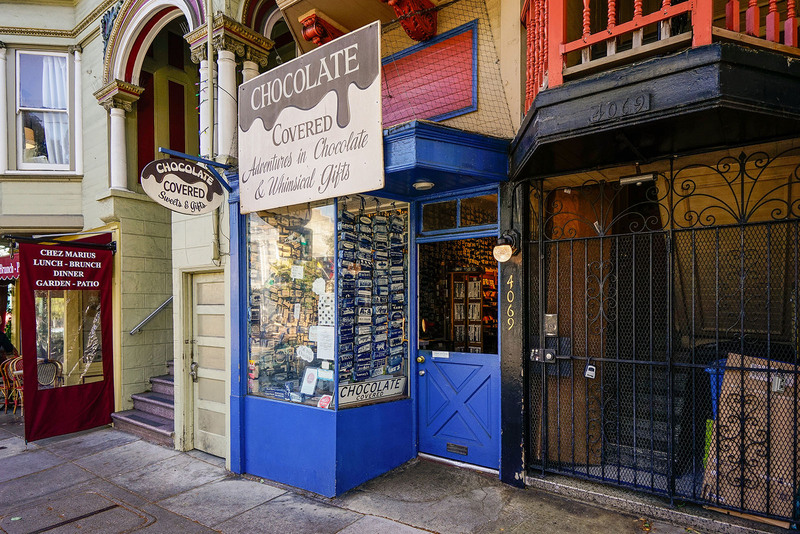 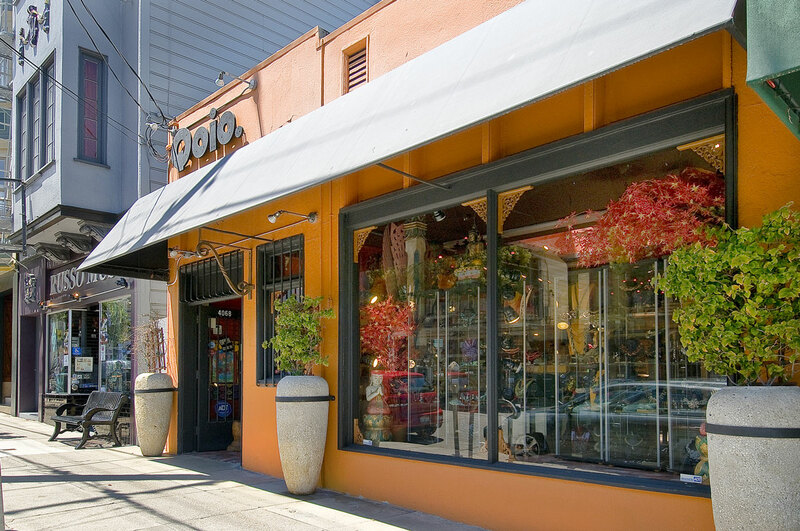 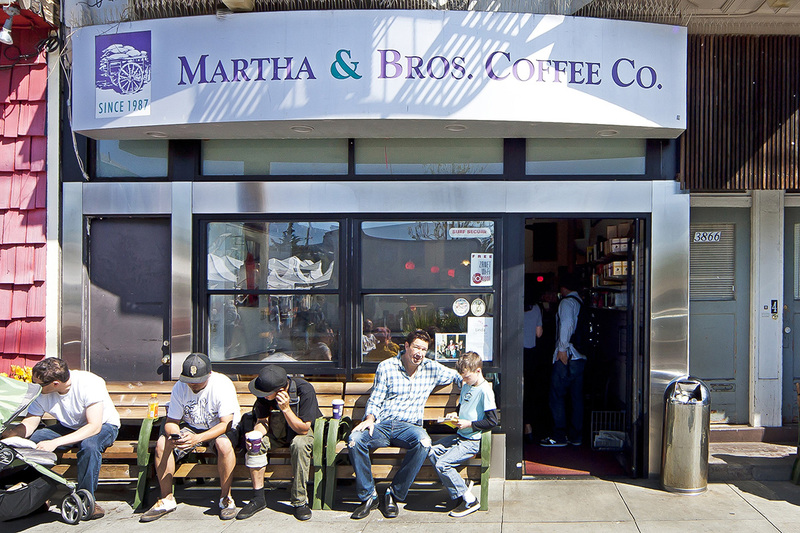 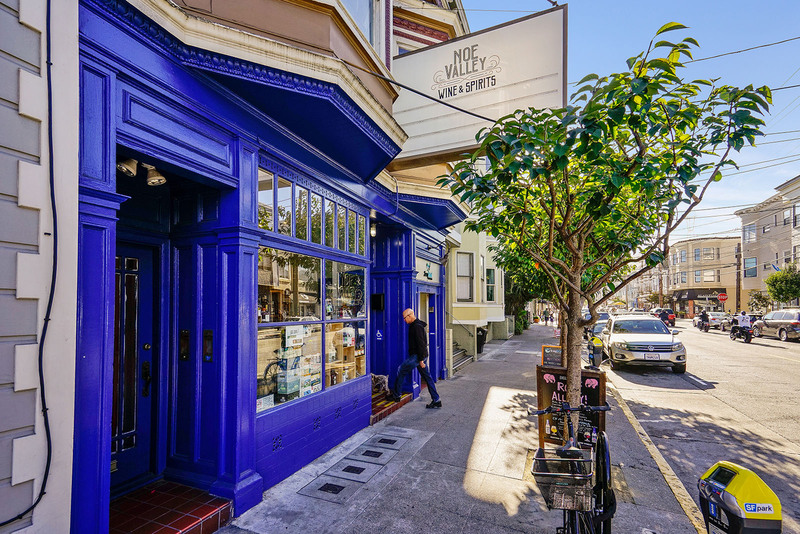 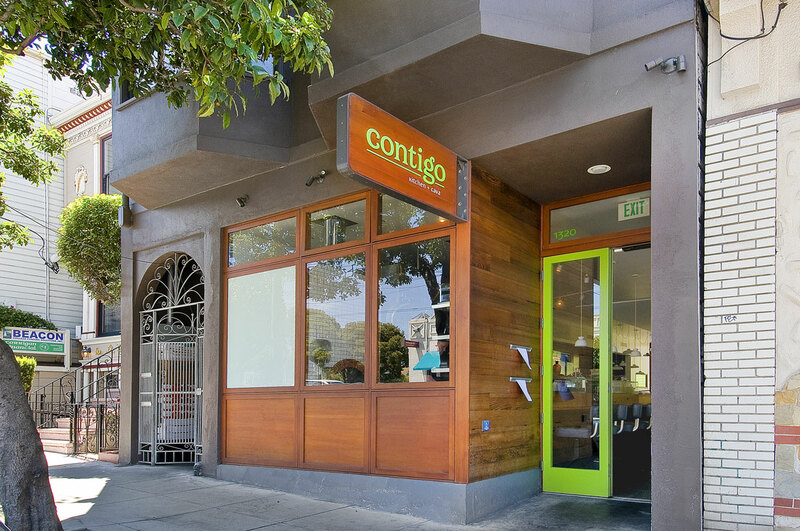 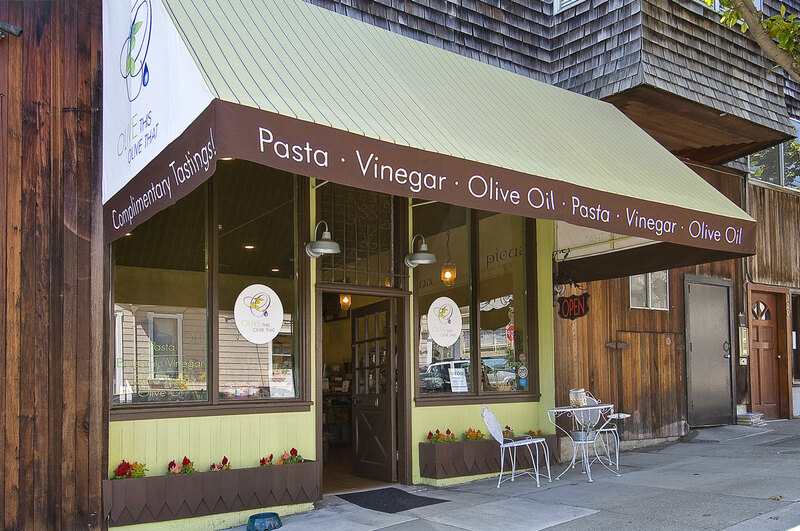 With bakeries like Noe Valley Baking Company and restaurants that have become beloved neighborhood institutions, like Firefly, Noe Valley is paradise for foodies. 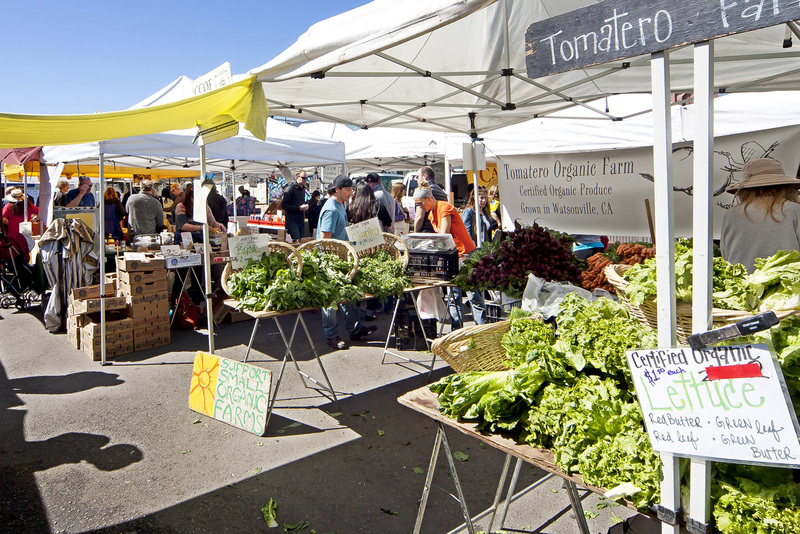 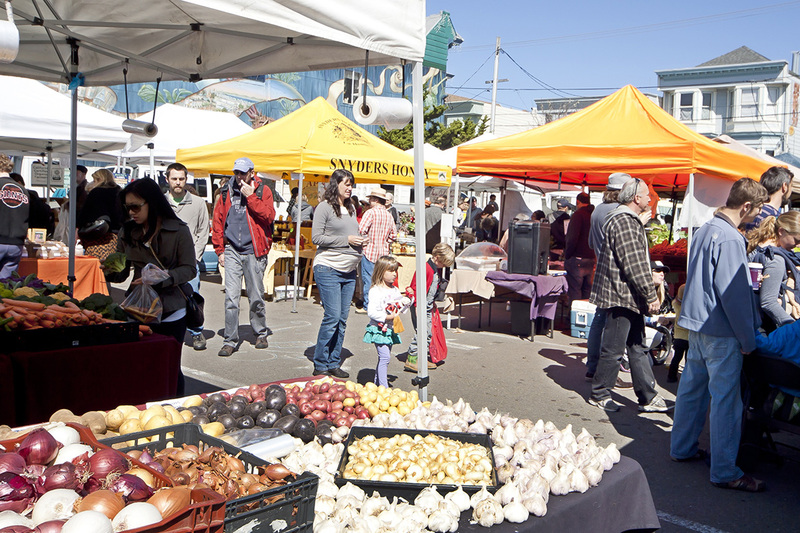 Thanks to the Noe Valley Farmers market, locals never have to leave the neighborhood to get their fix of fresh organic vegetables, fruit and honey. 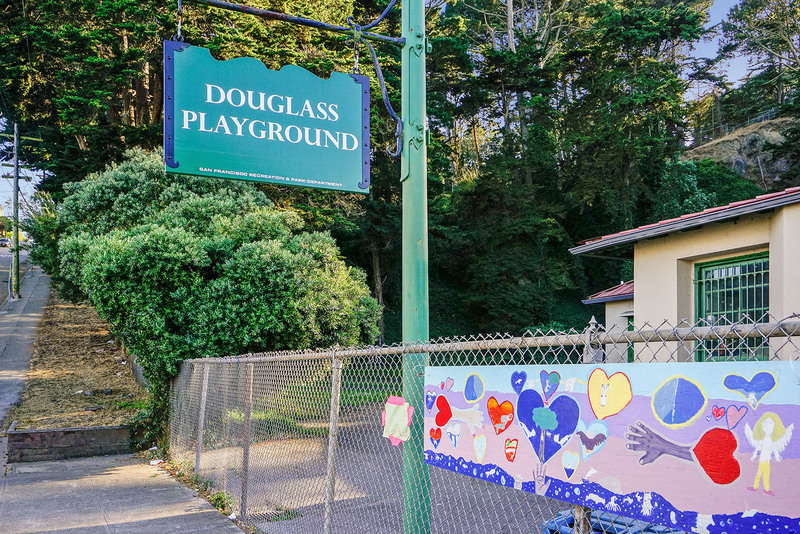 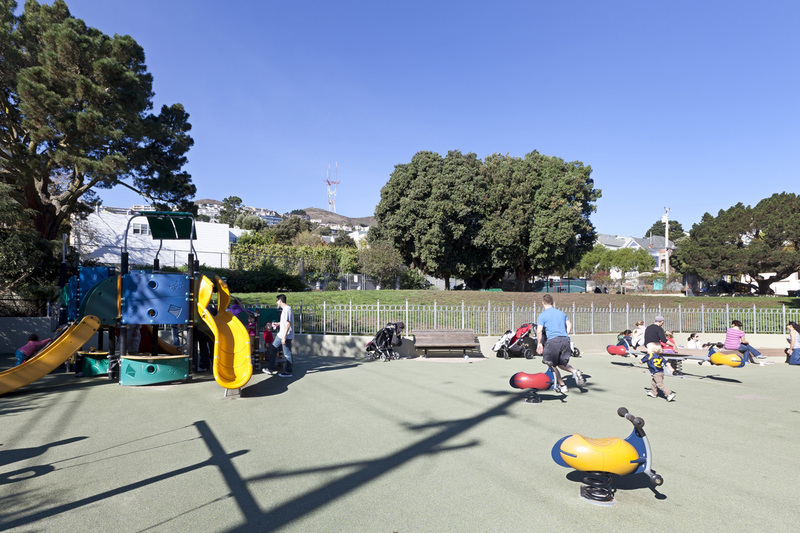 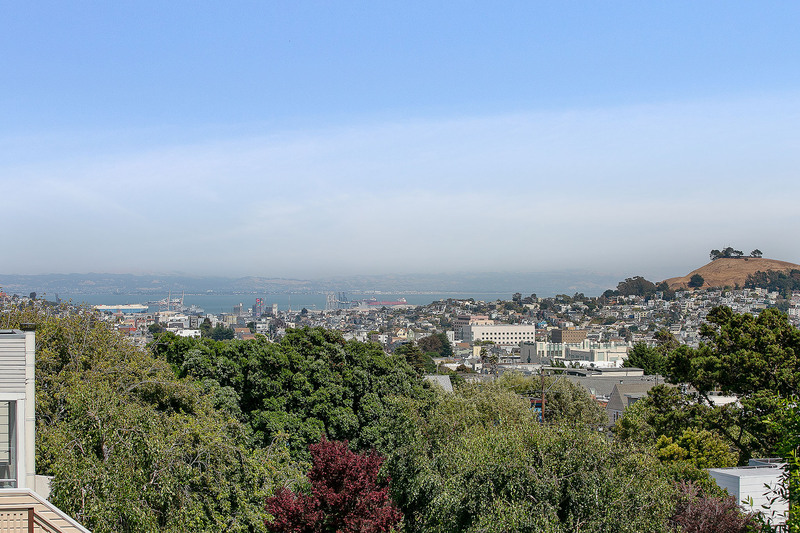 Some of the best public schools in the city are here in Noe Valley. 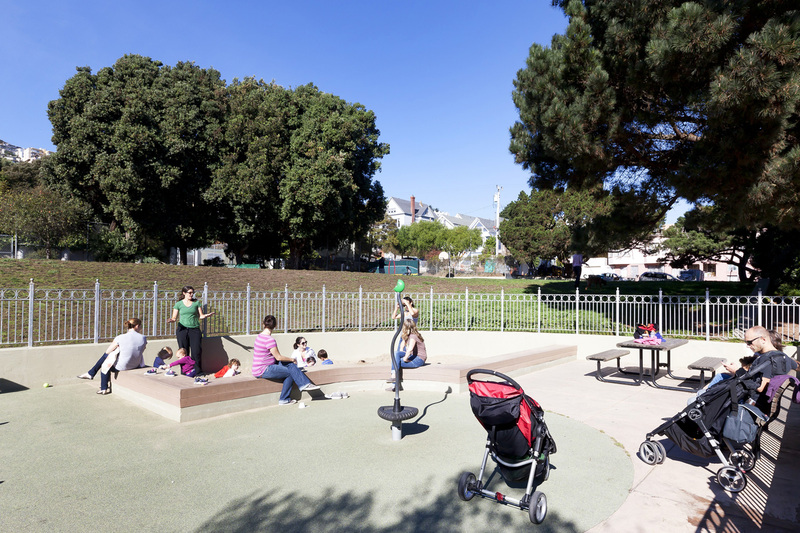 Fairmount Elementary School and Alvarado Elementary School are both notable for their levels of family involvement. 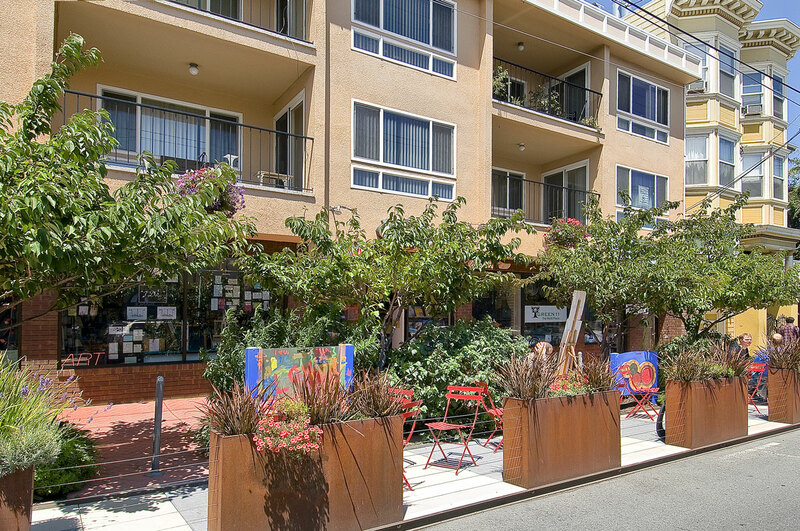 James Lick Middle School prepares students with language immersion programs, award winning art, music, and media programs. 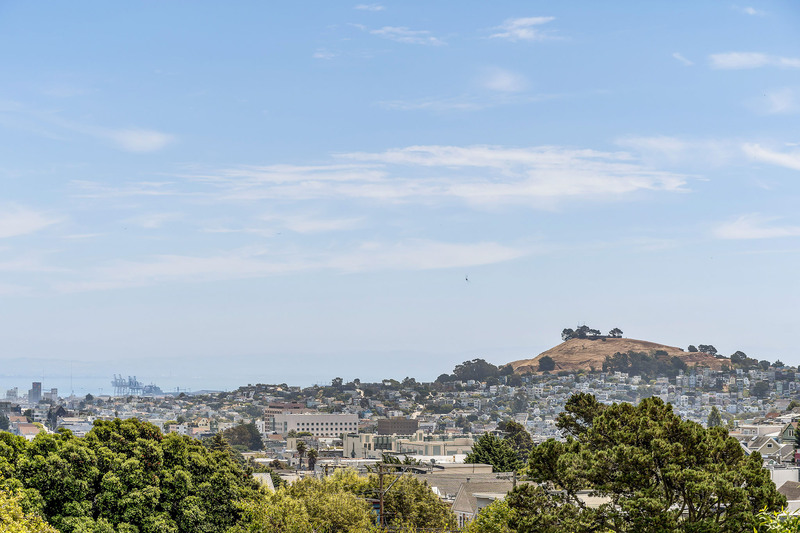 And the test scores are above 600 on the California Academic Performance Index (API). 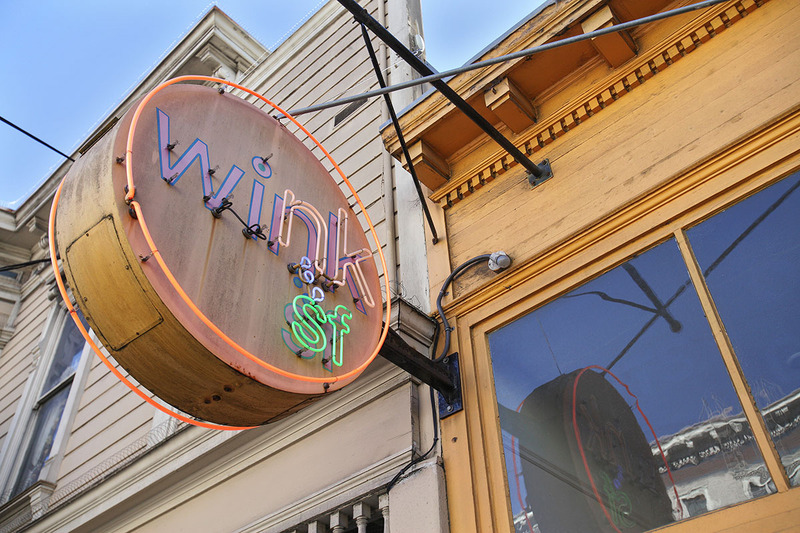 Nightlife? 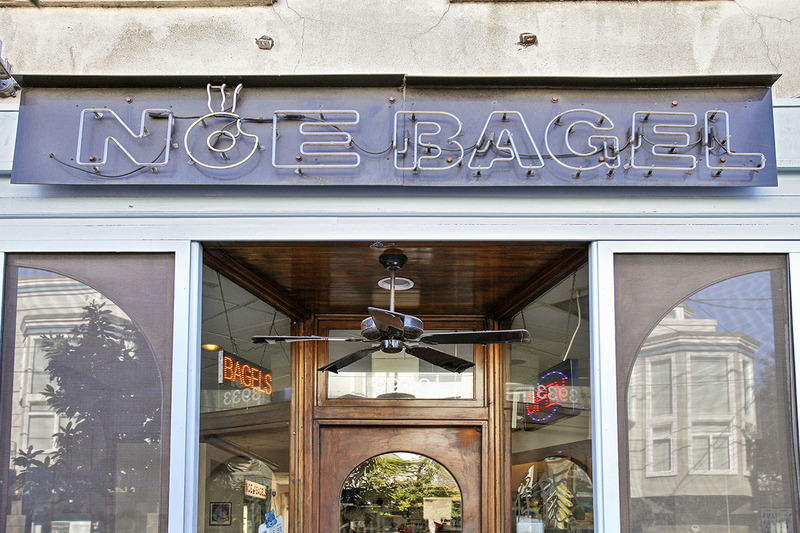 Got it. 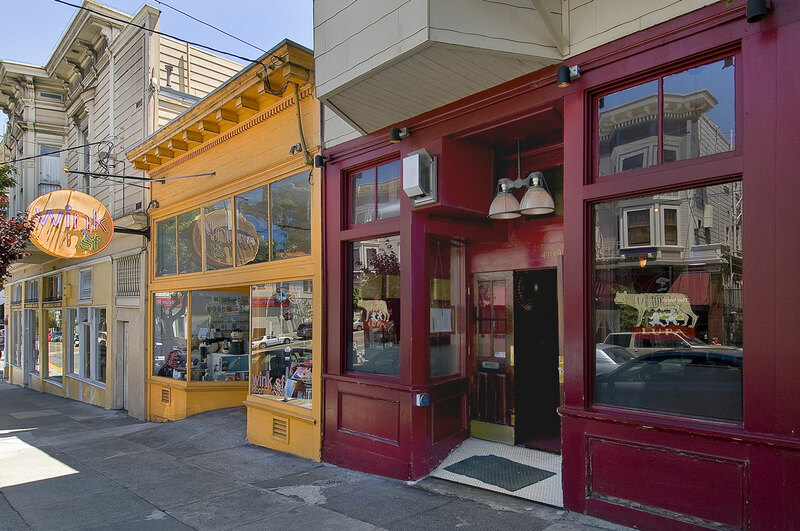 From the divey Valley Tavern to the awesome selection of imported beers at The Dubliner, Noe Valley is increasingly known for its nightlife. 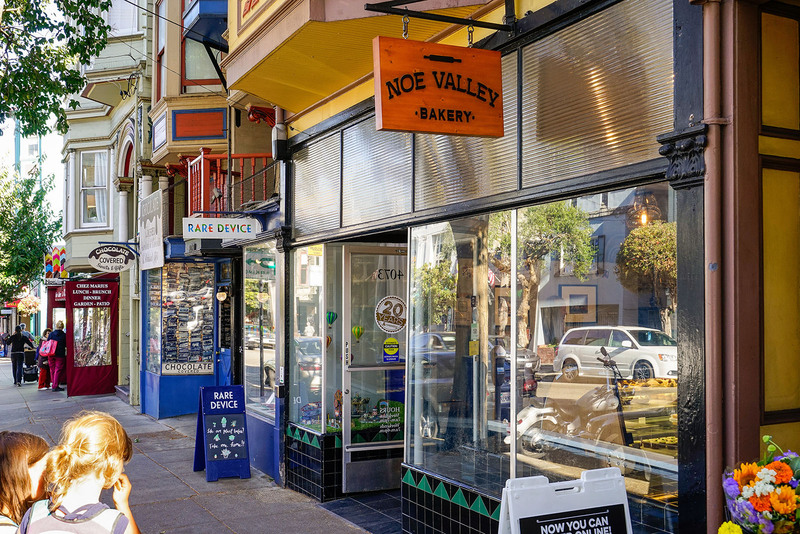 For live music check out Noe Valley Ministry, presenter of world class performers in folk, world music and the alt-rock scene. 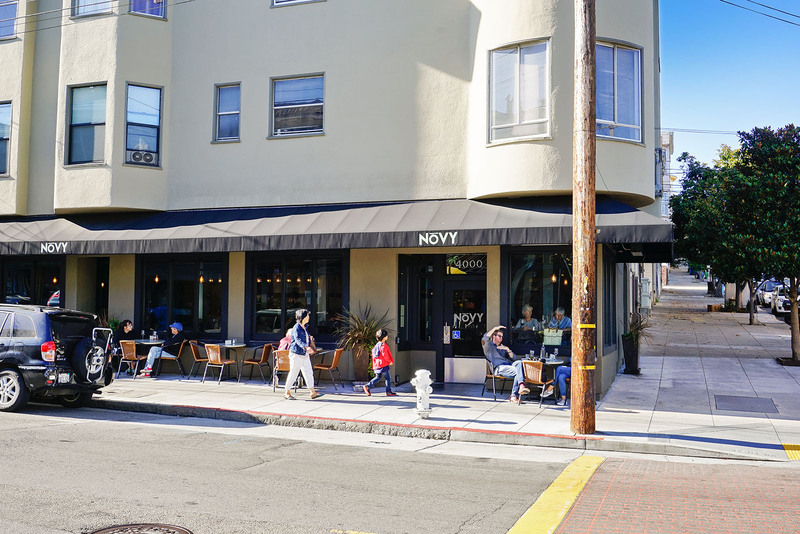 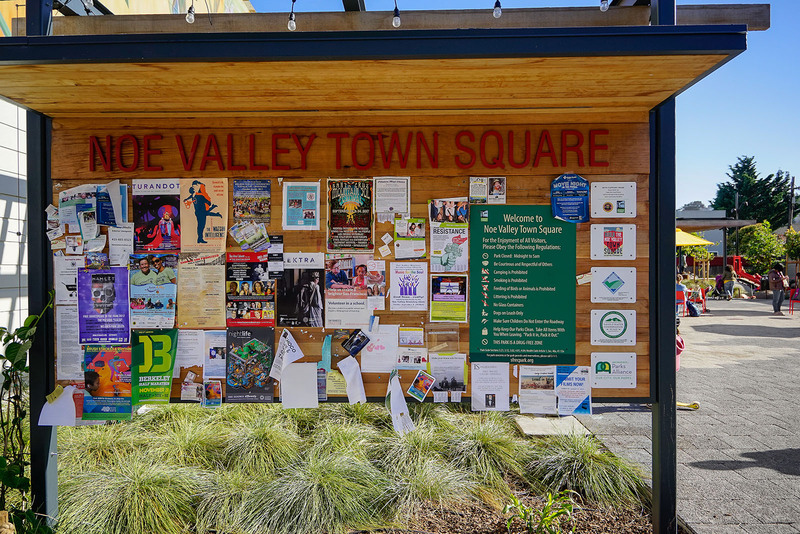 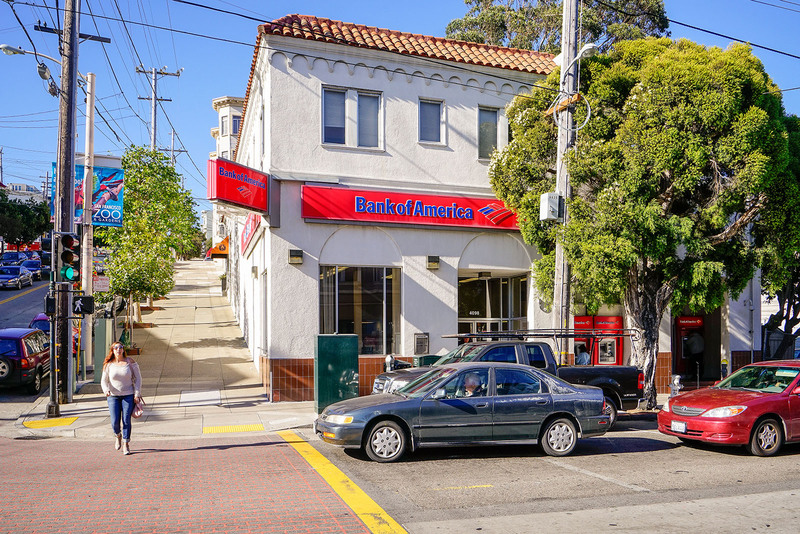 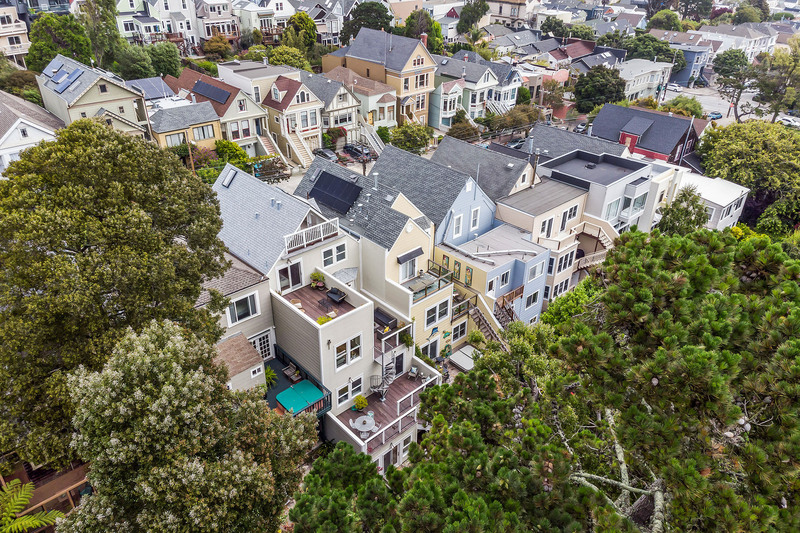 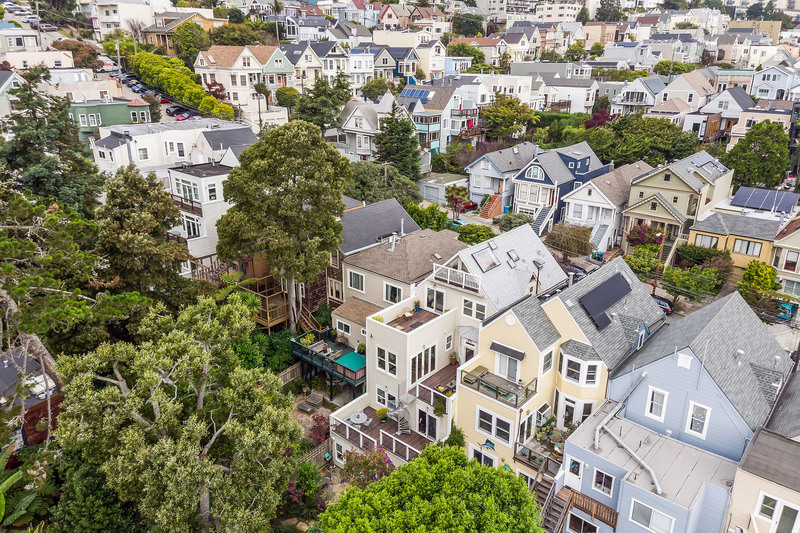 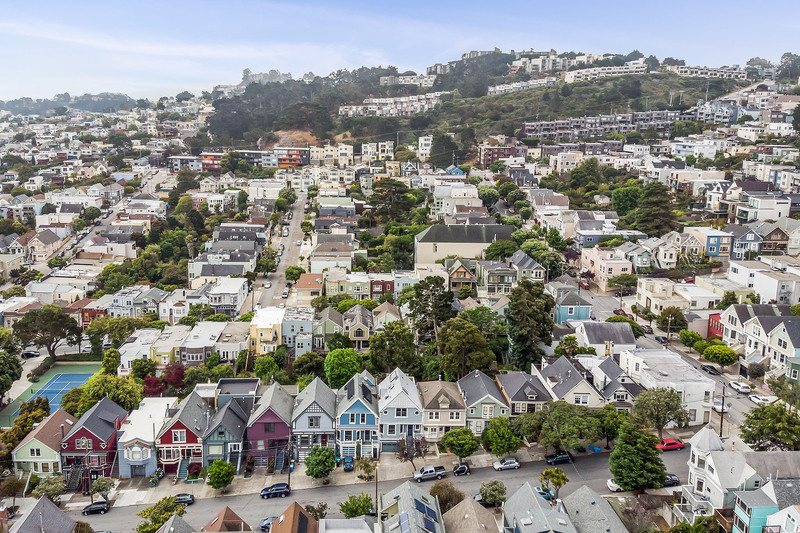 Noe Valley is that prized thing in San Francisco: a place where families can put down roots, straight through the sidewalks of 24th Street.